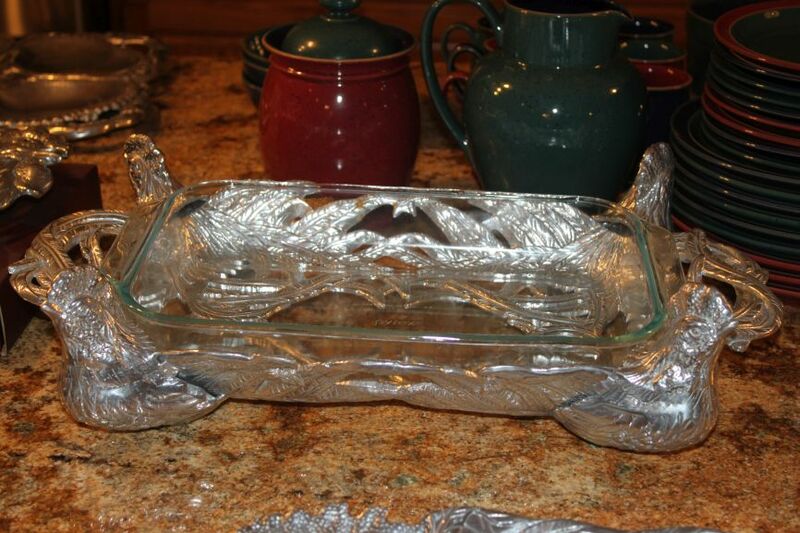 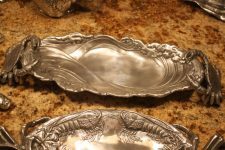 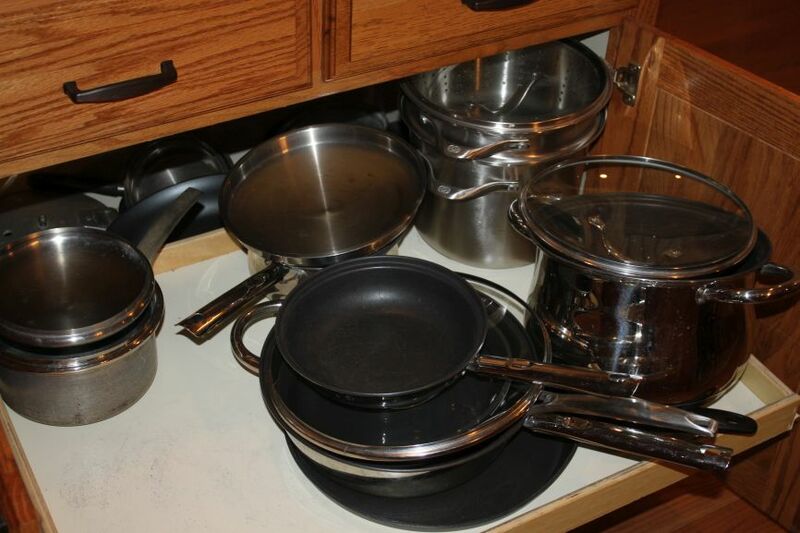 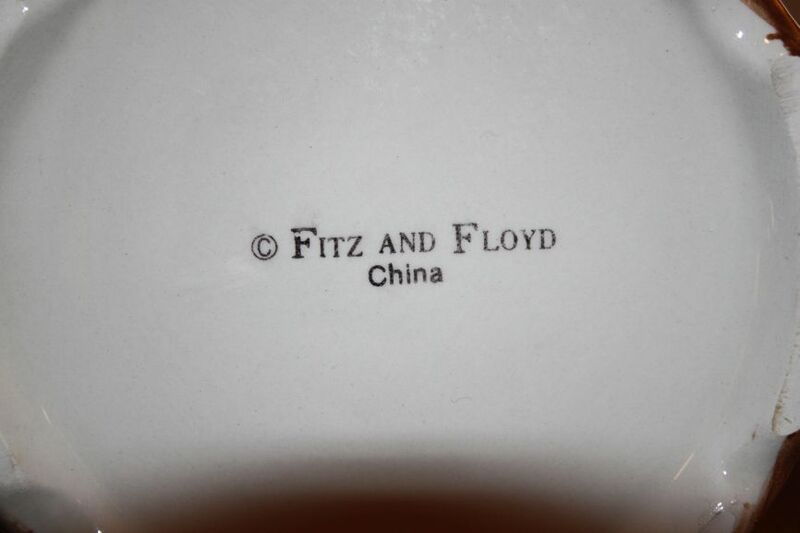 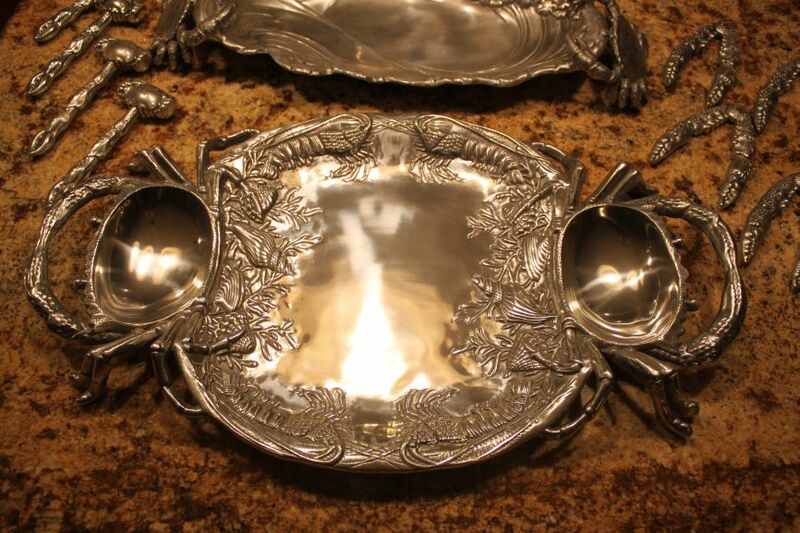 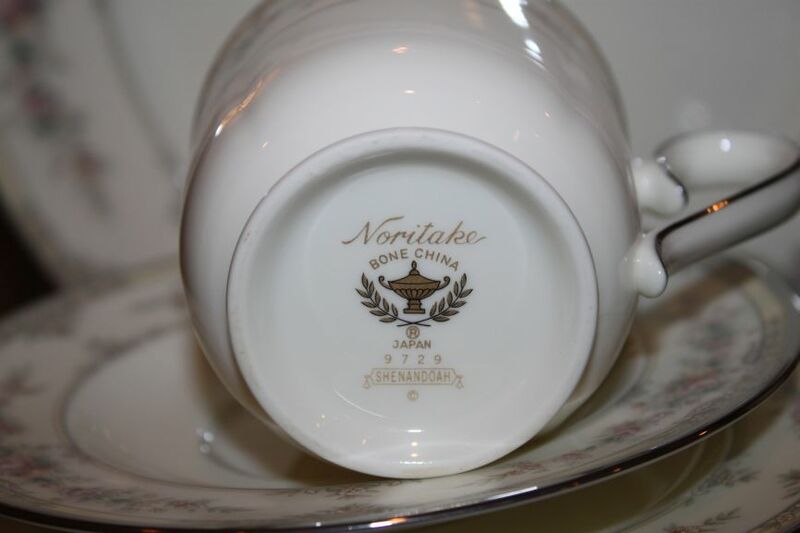 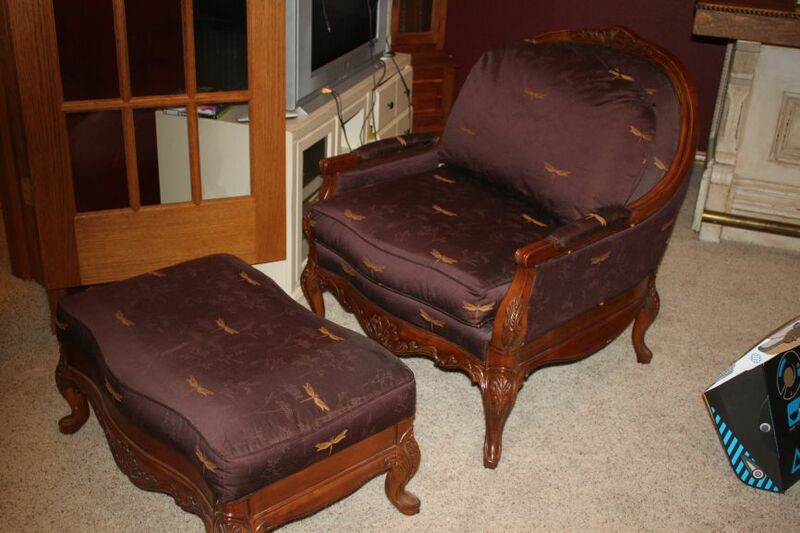 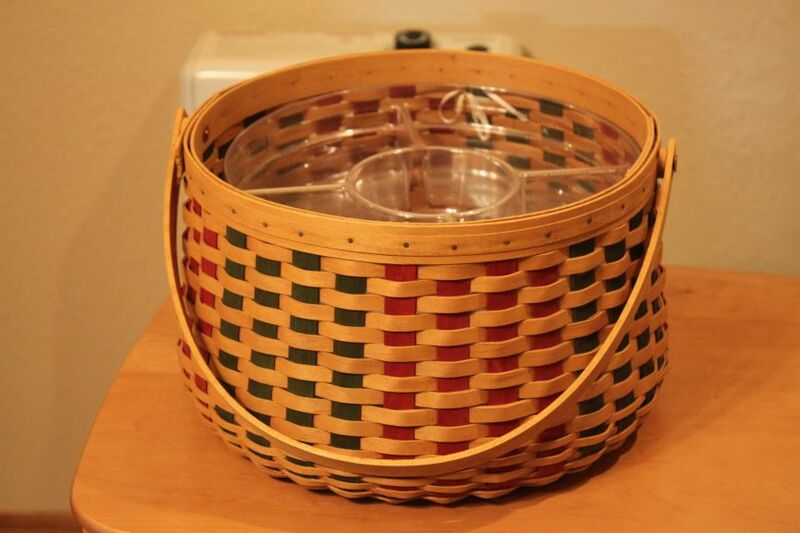 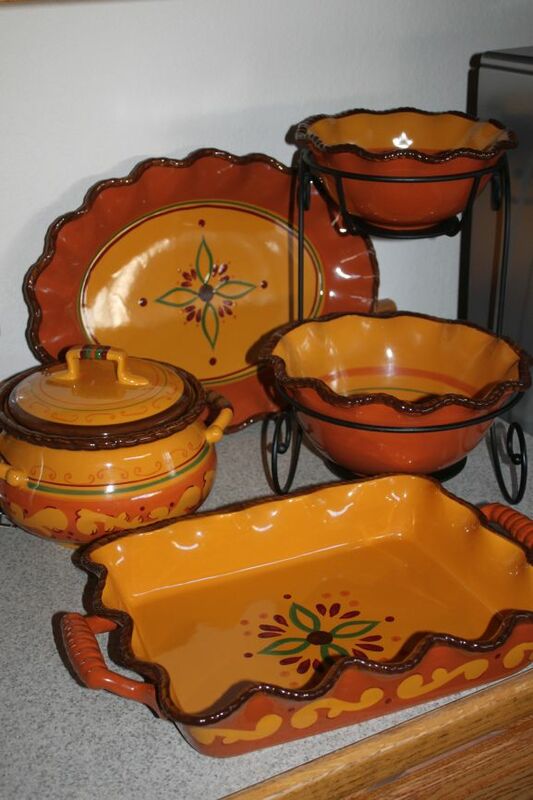 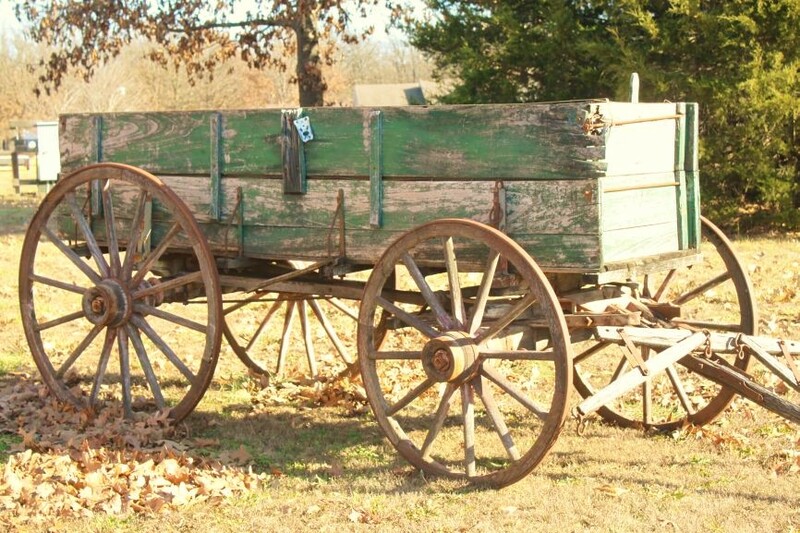 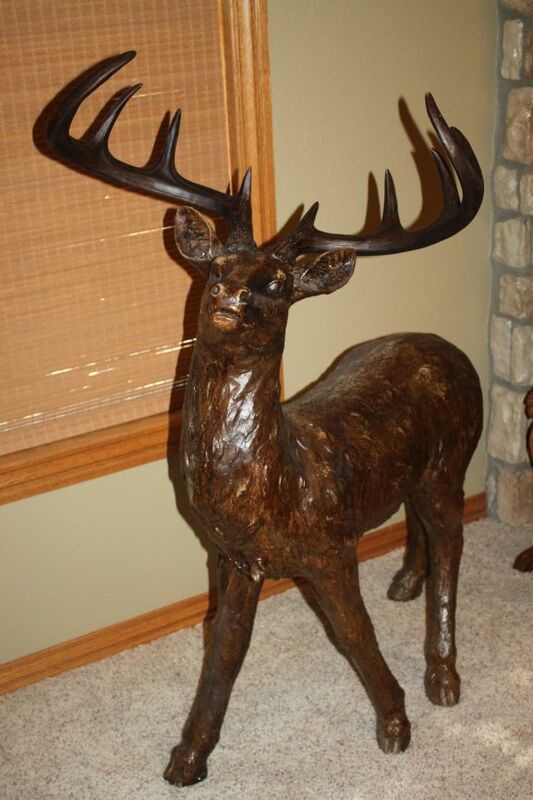 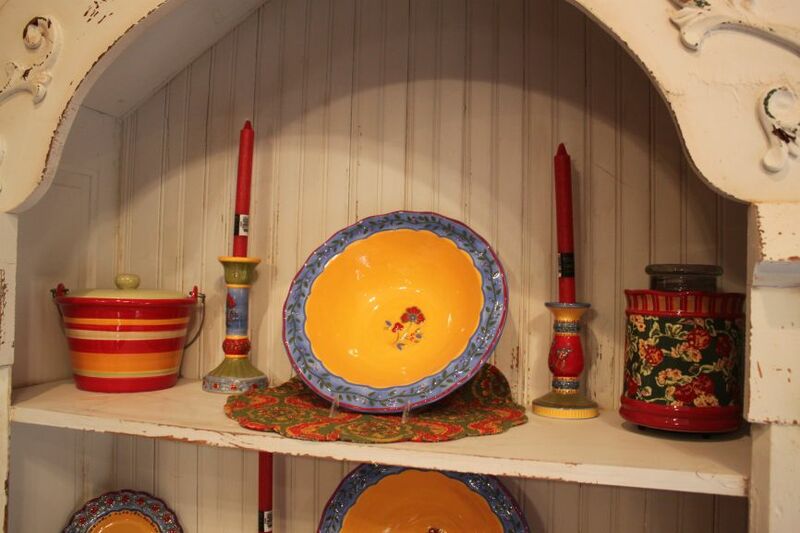 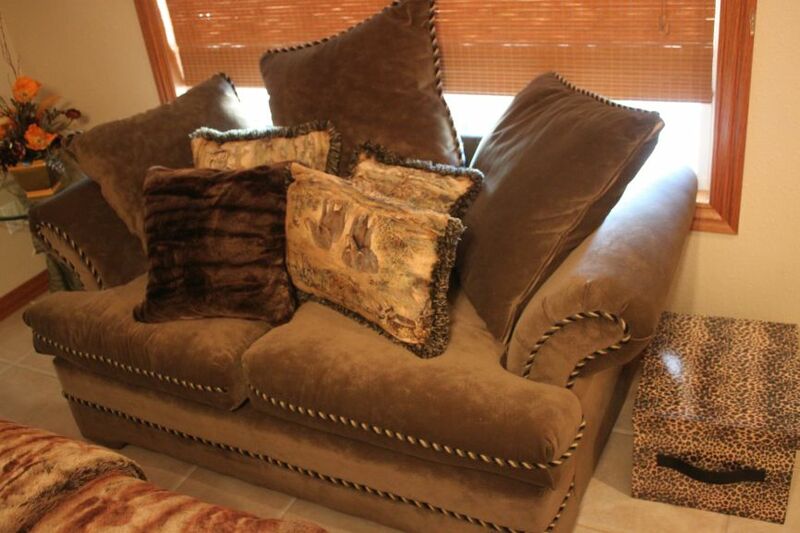 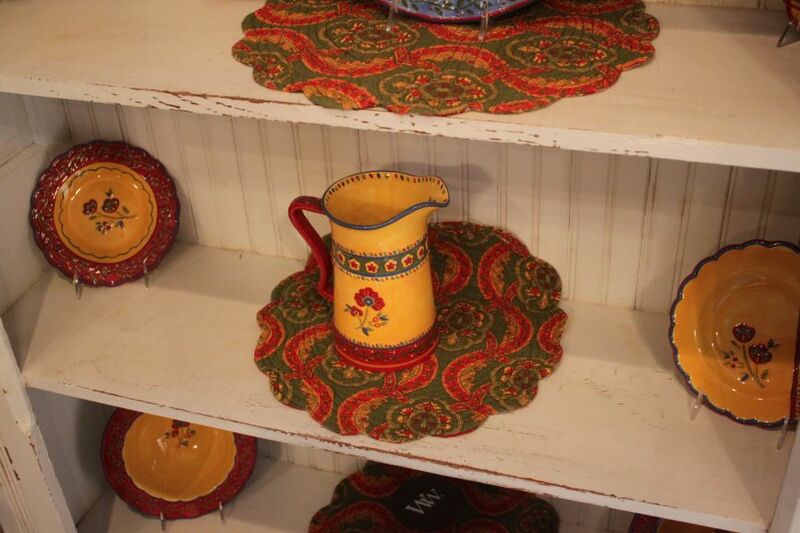 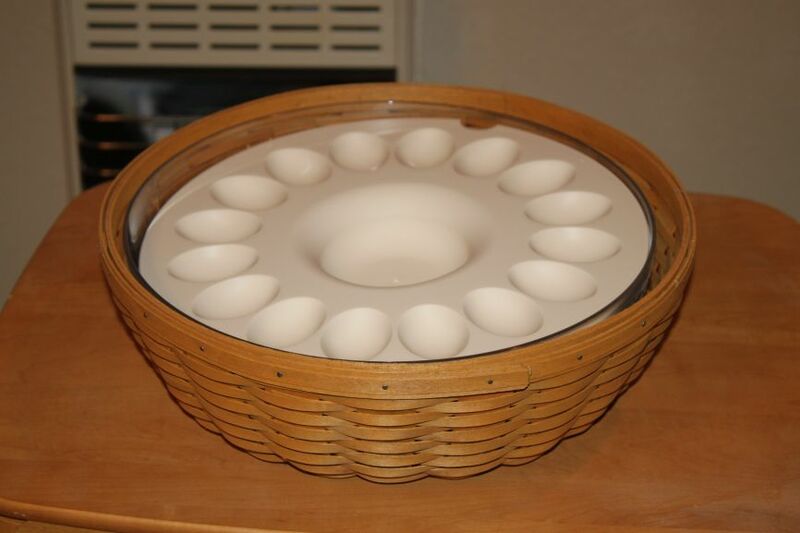 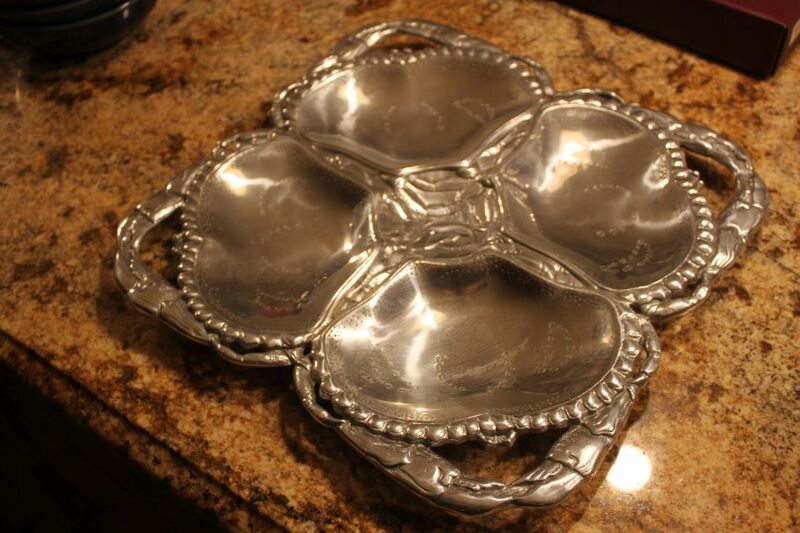 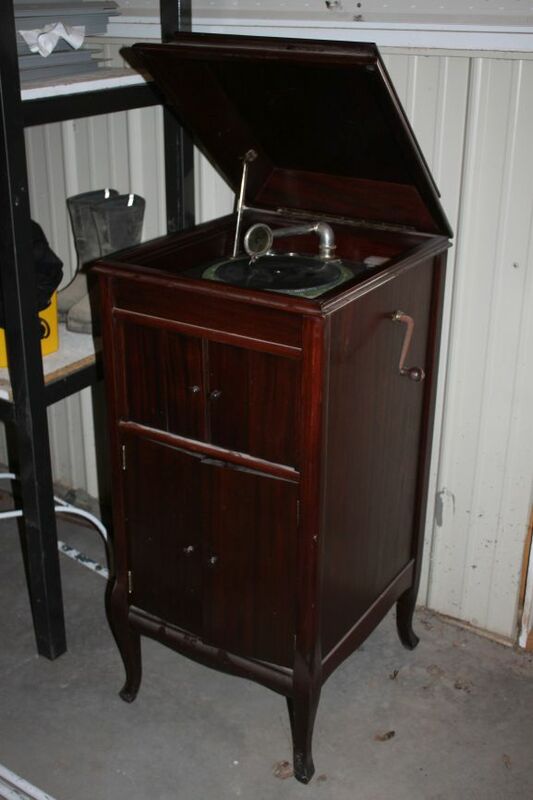 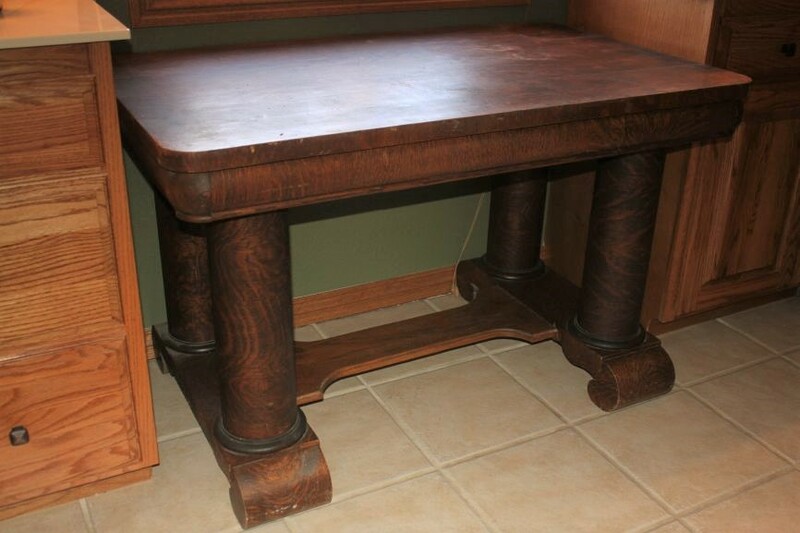 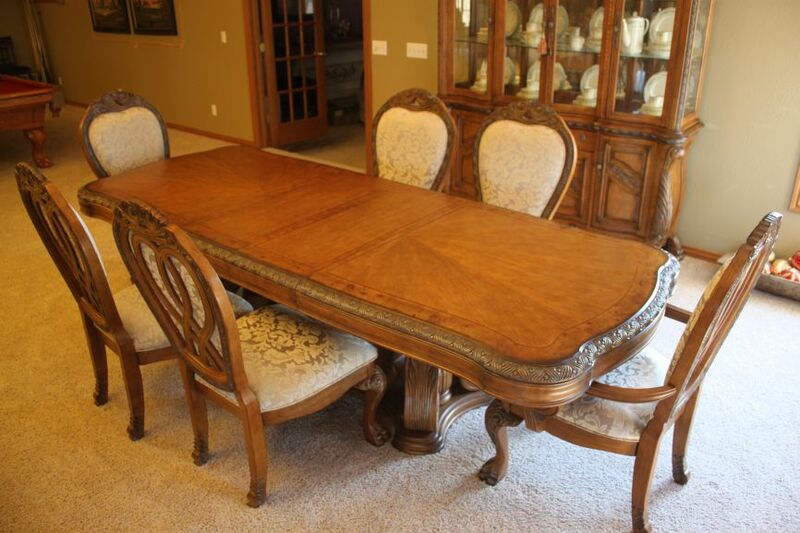 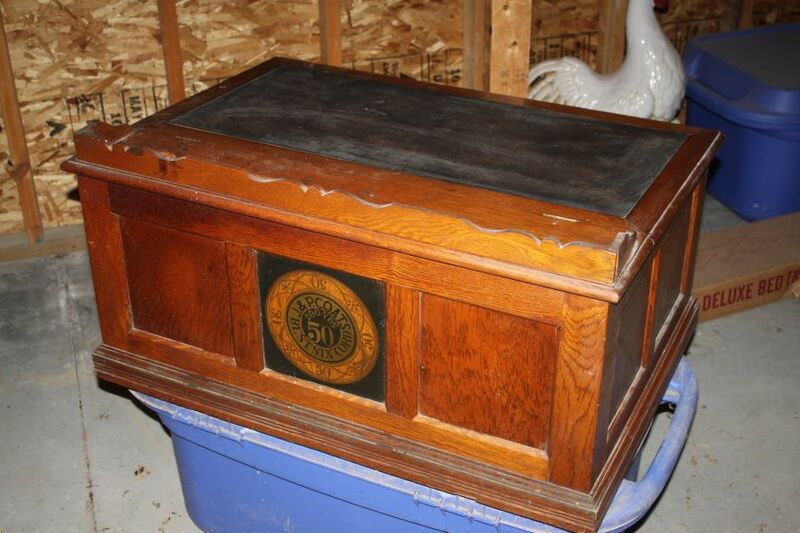 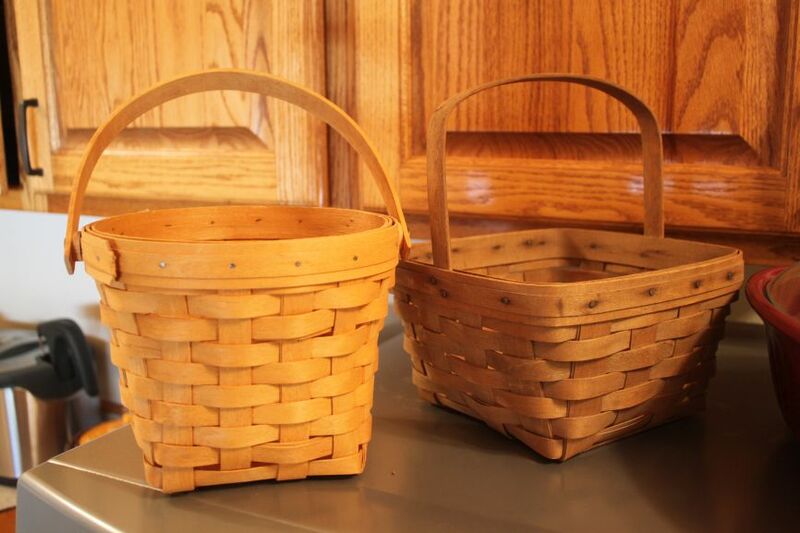 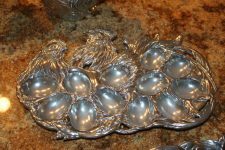 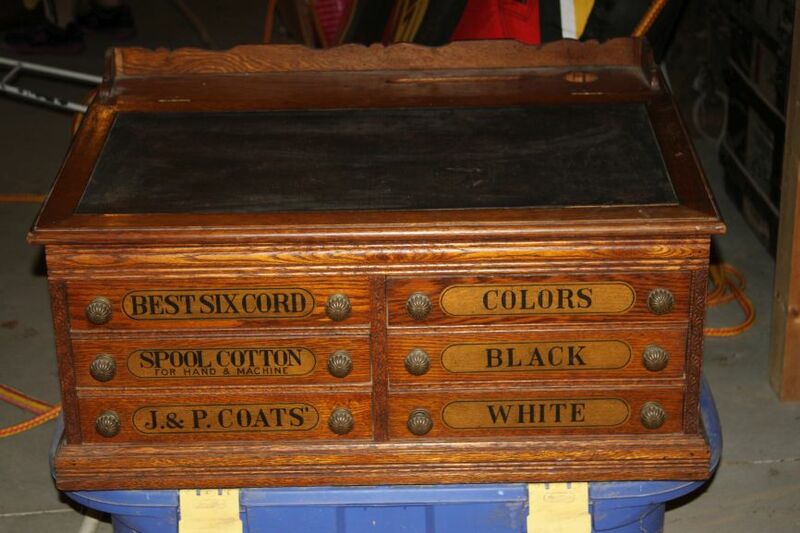 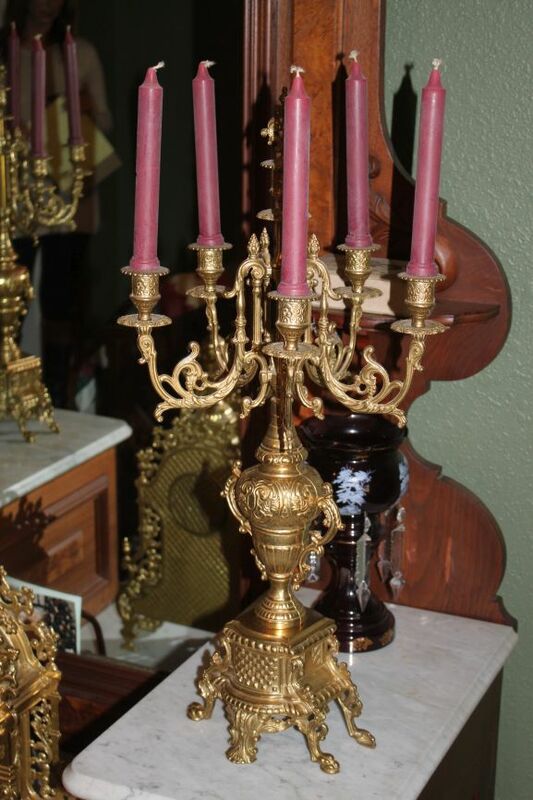 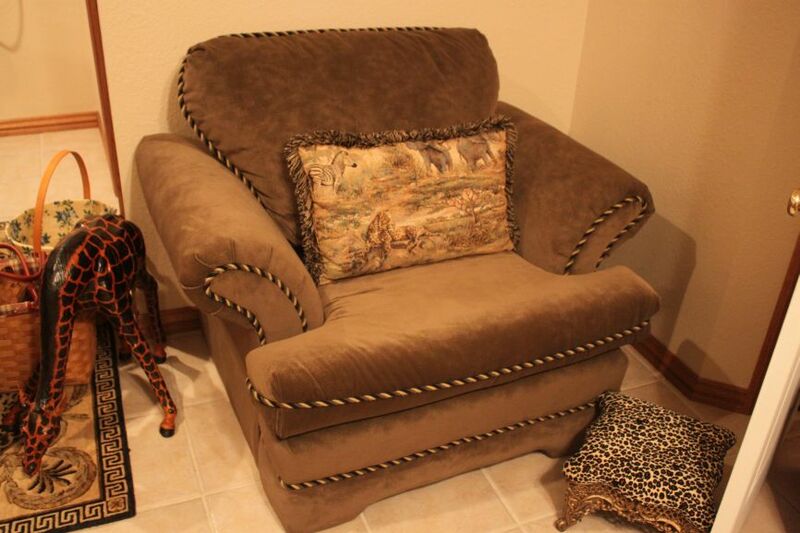 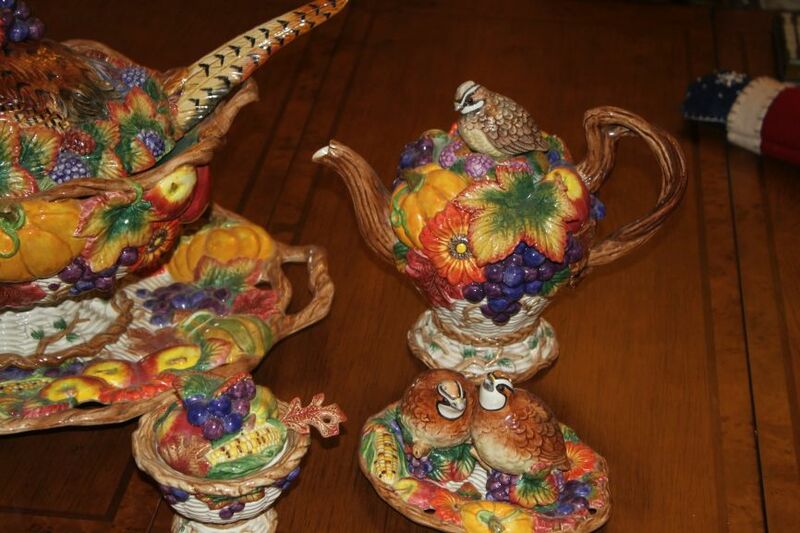 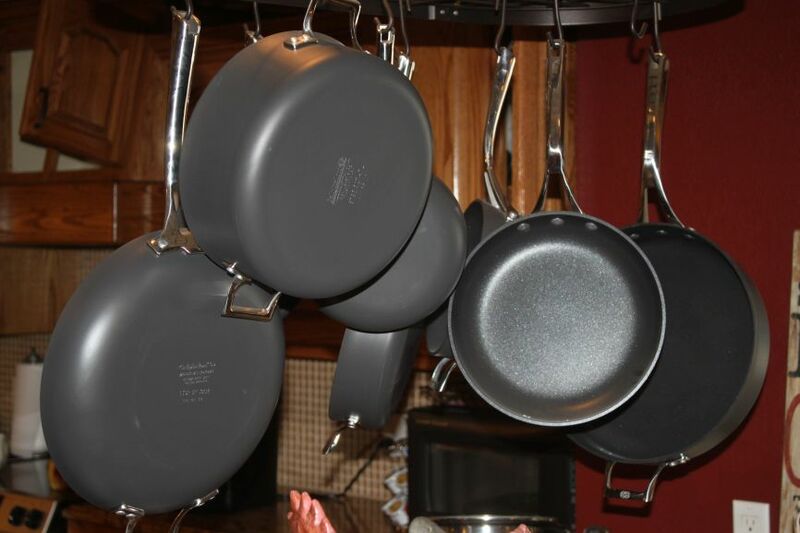 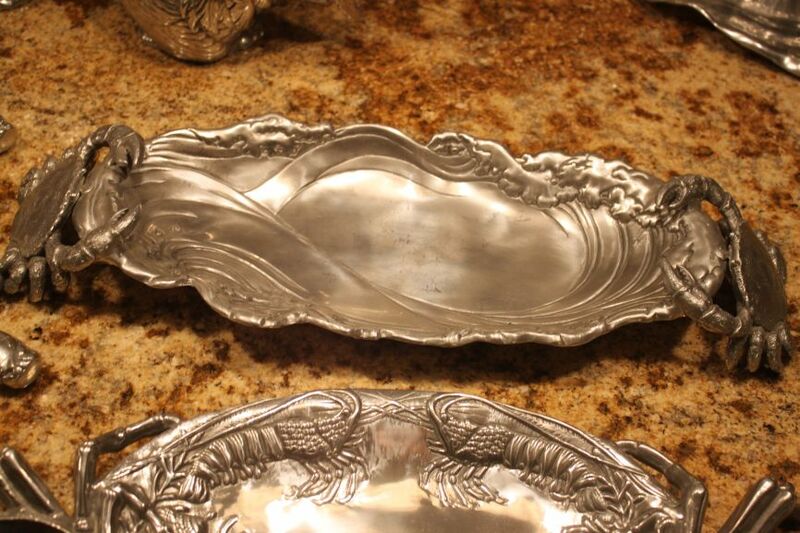 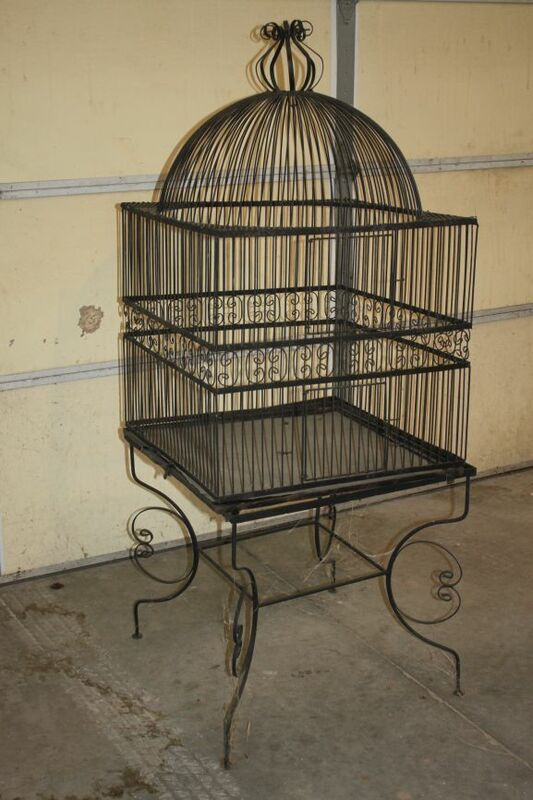 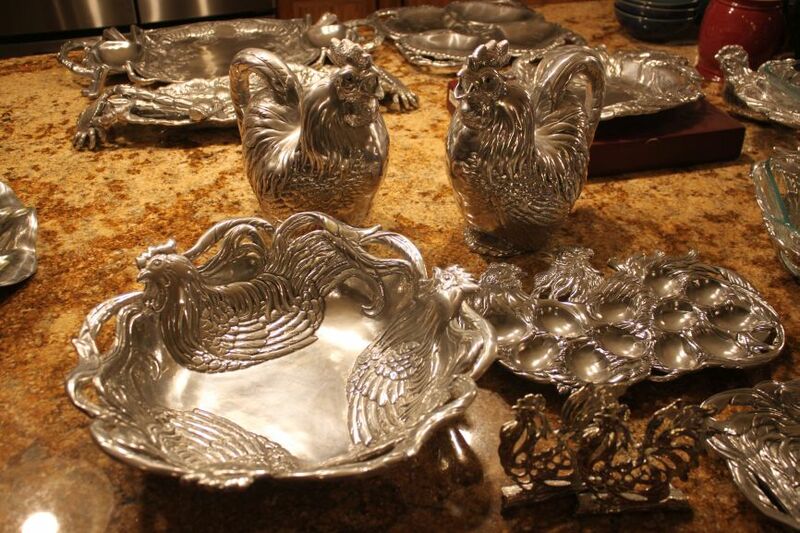 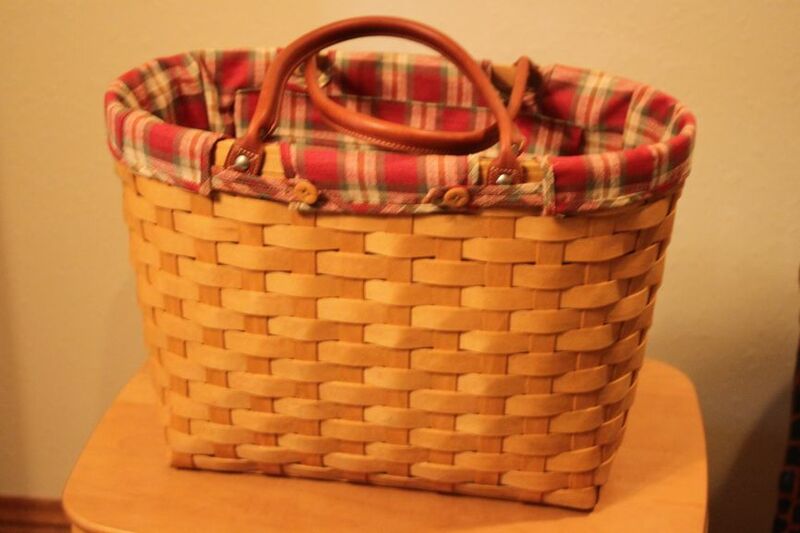 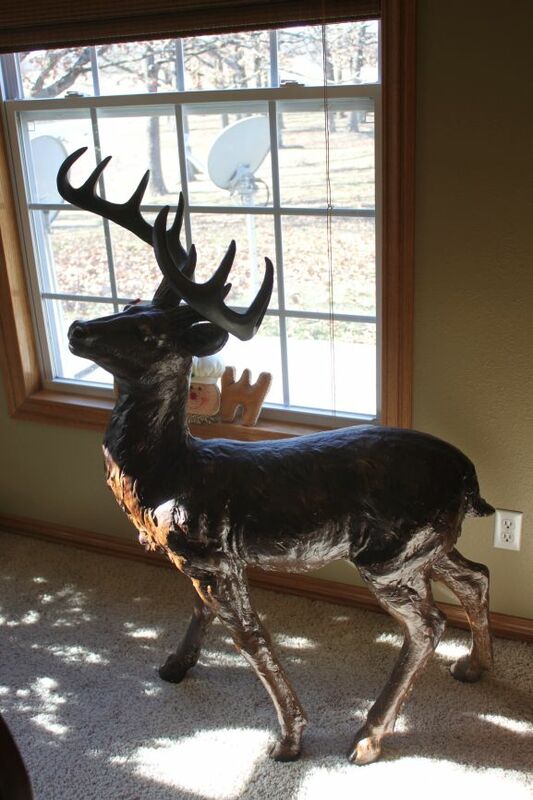 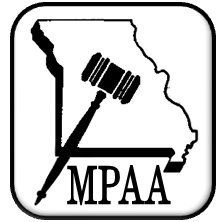 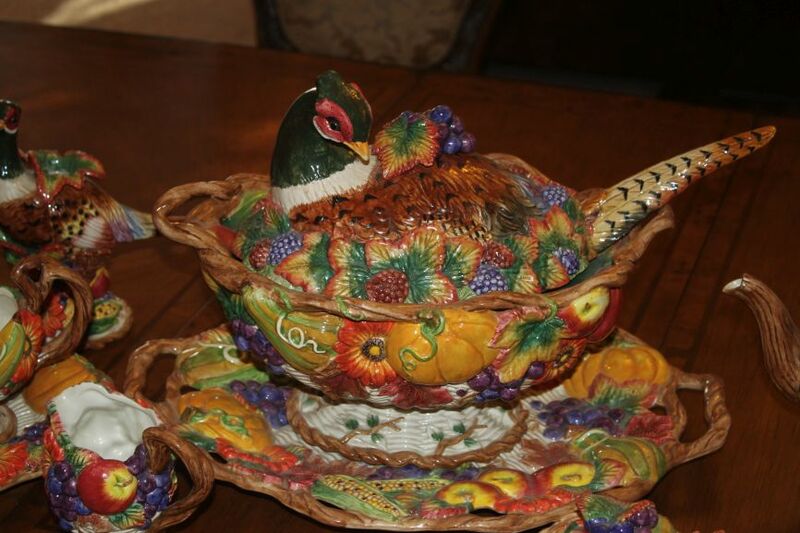 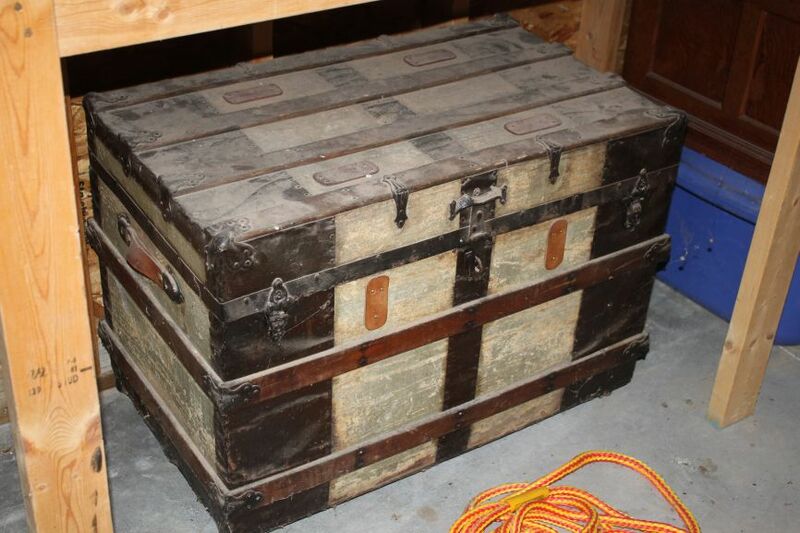 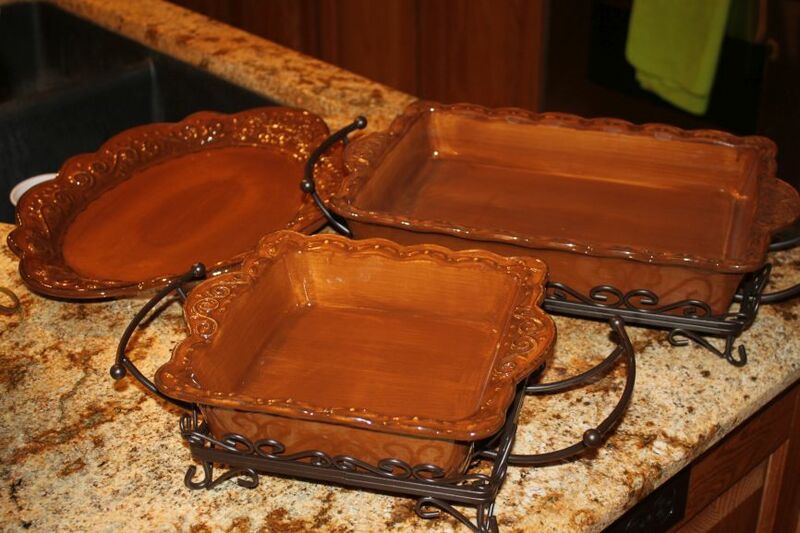 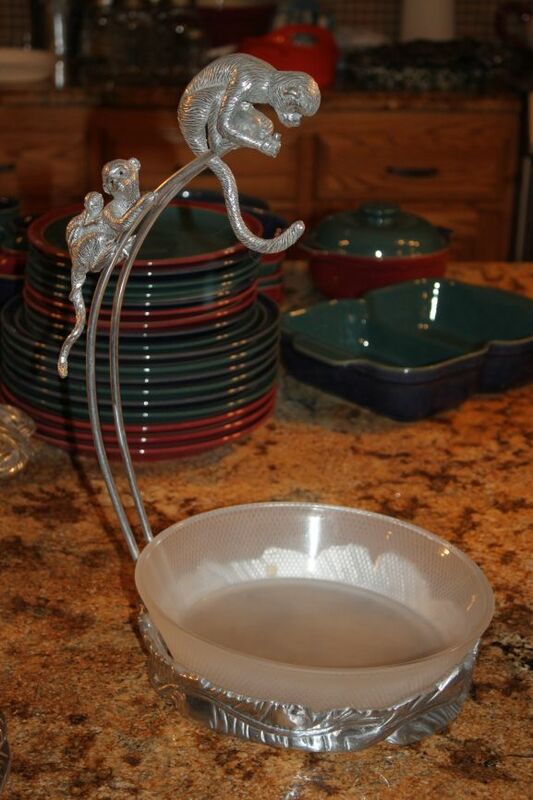 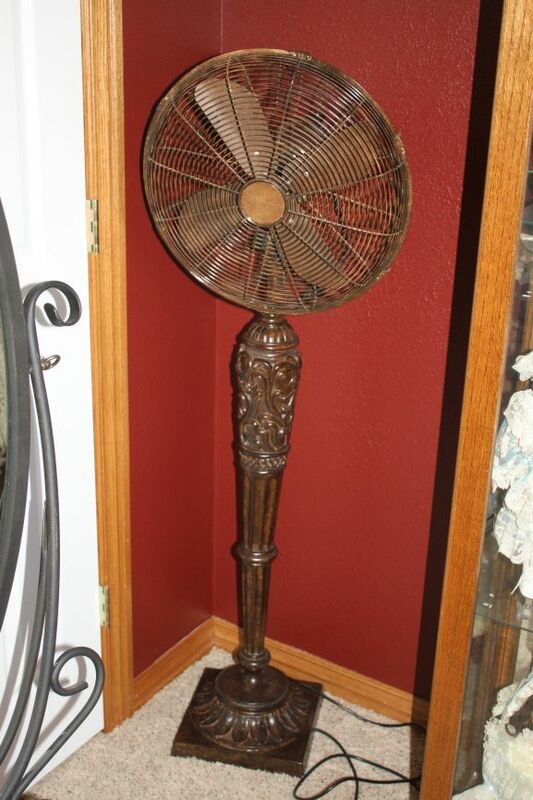 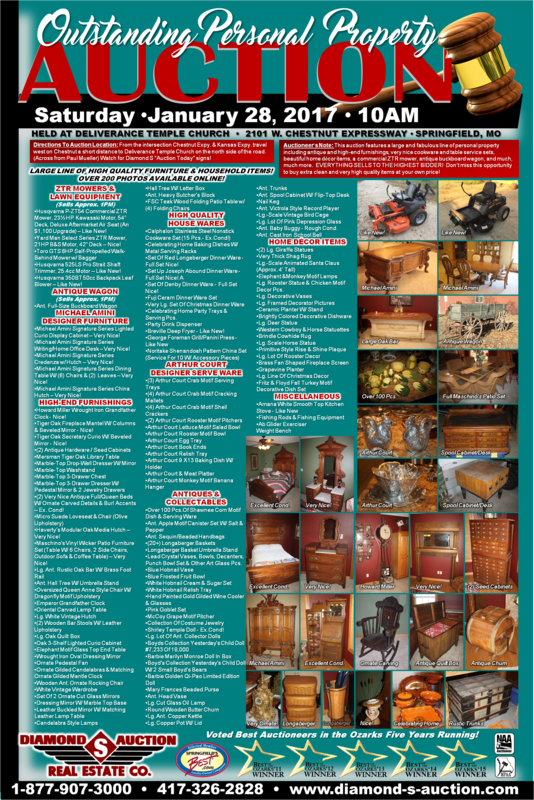 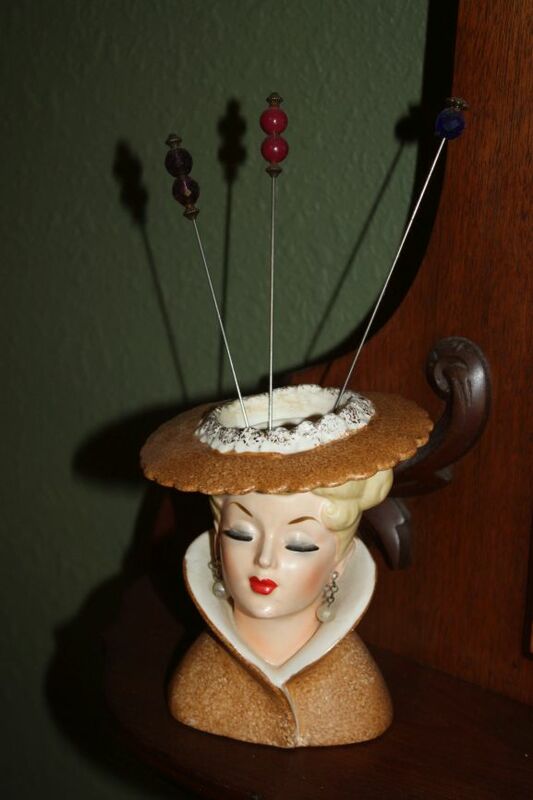 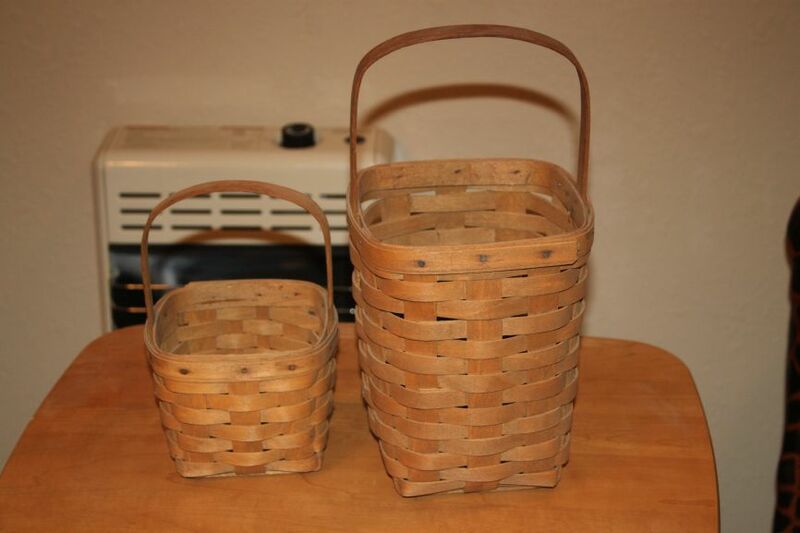 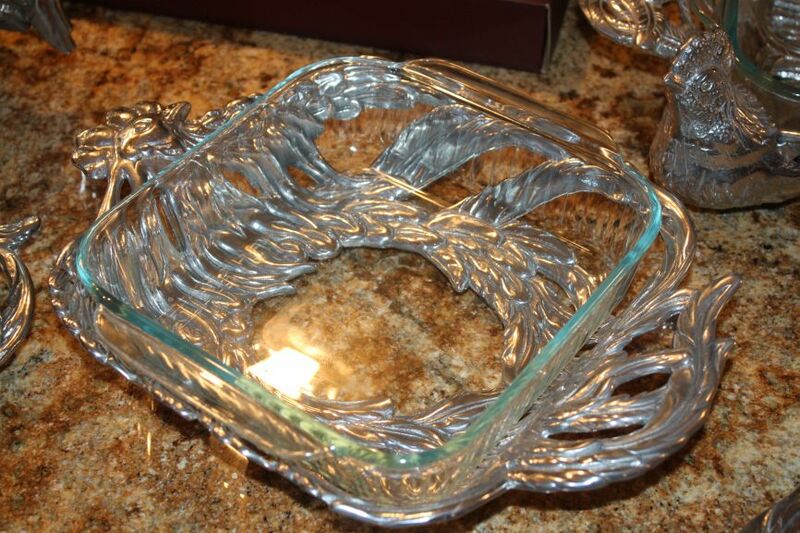 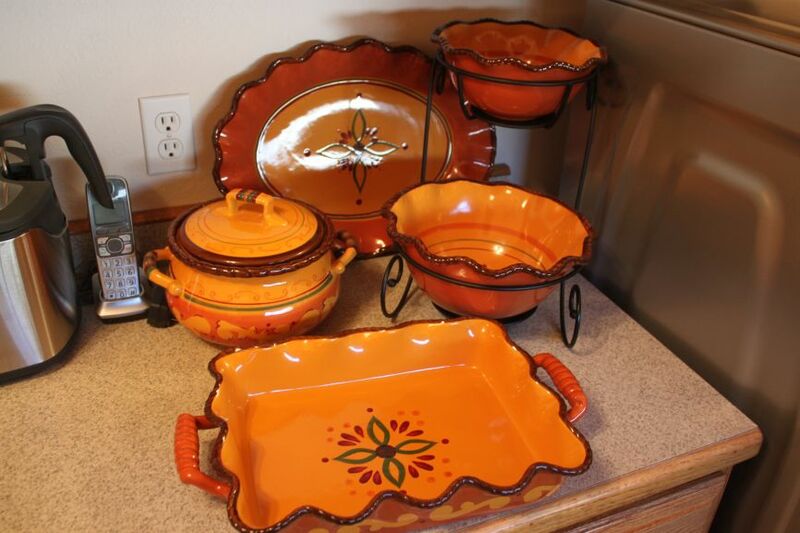 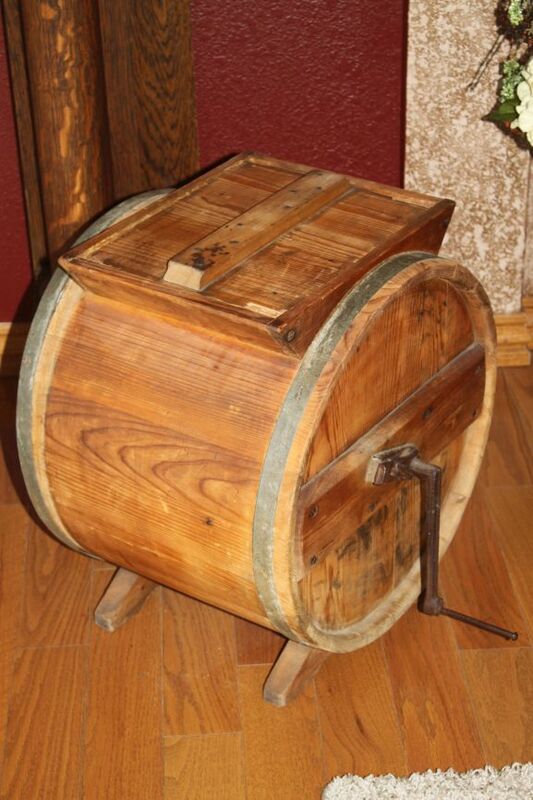 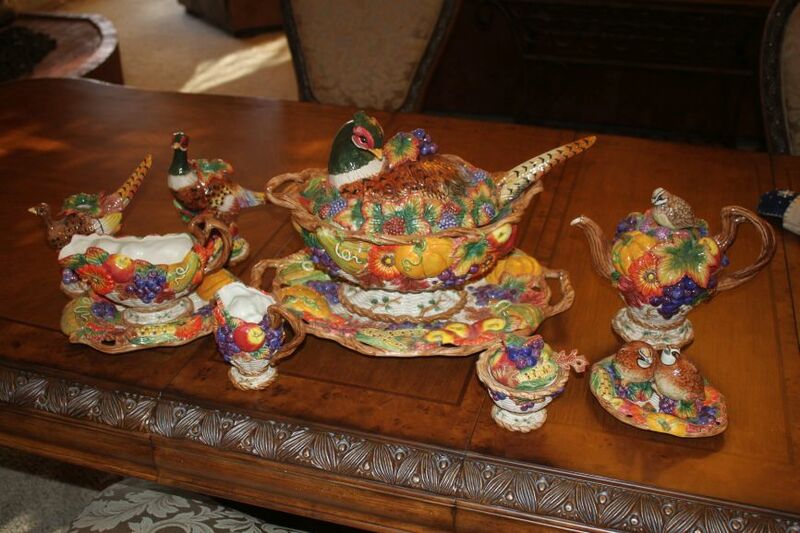 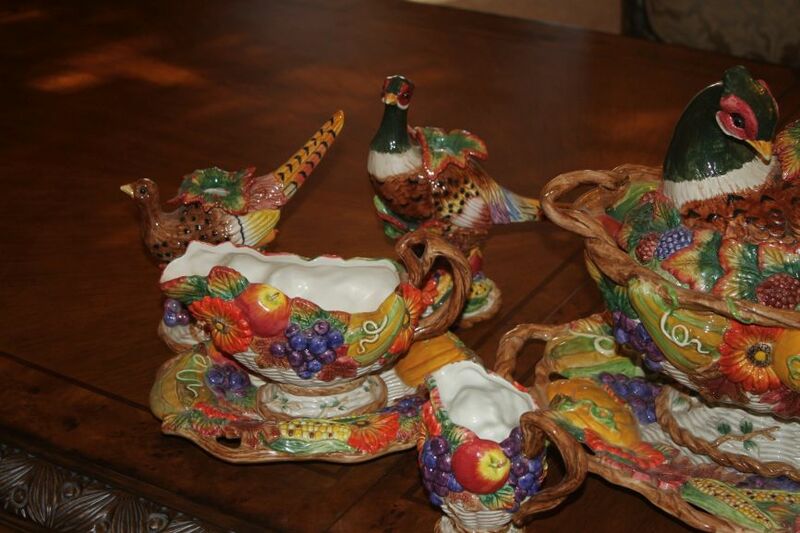 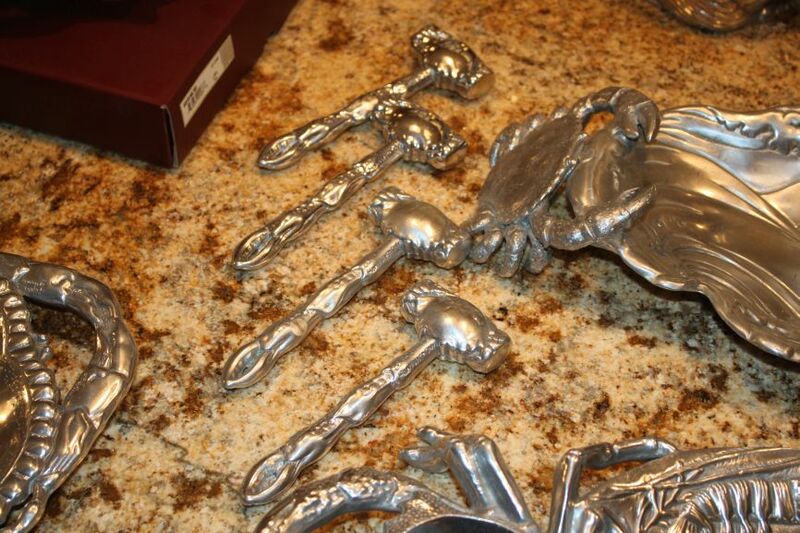 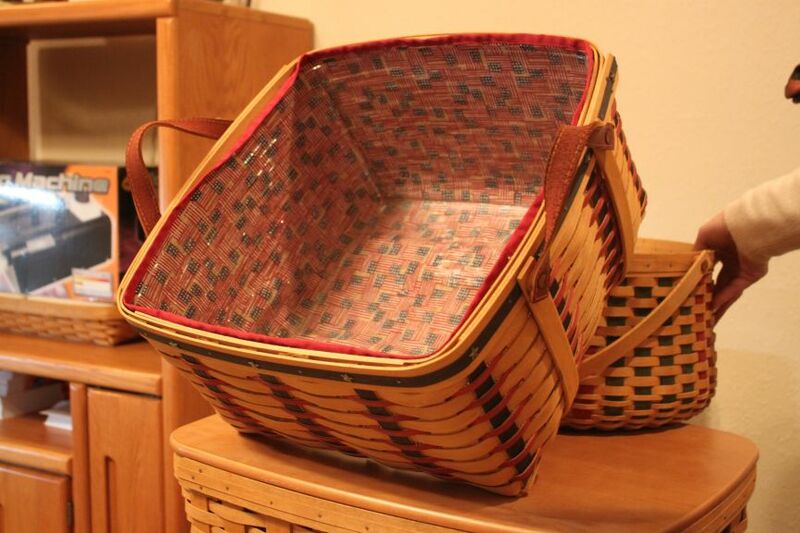 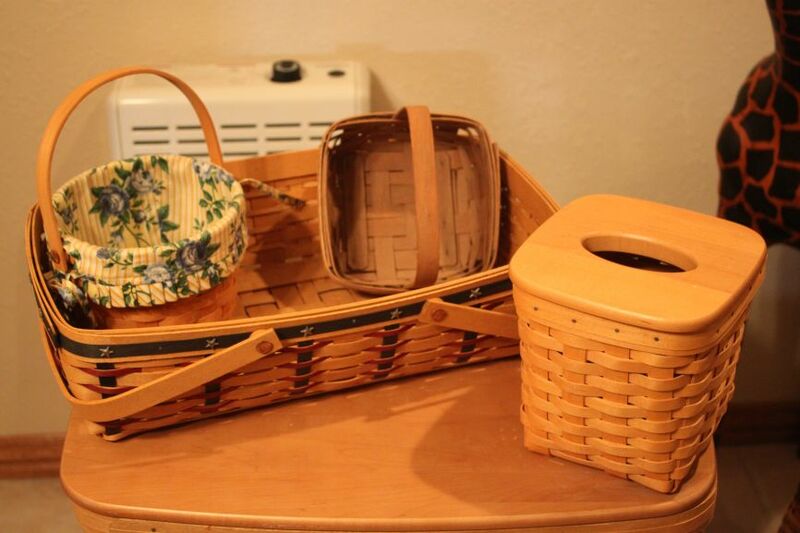 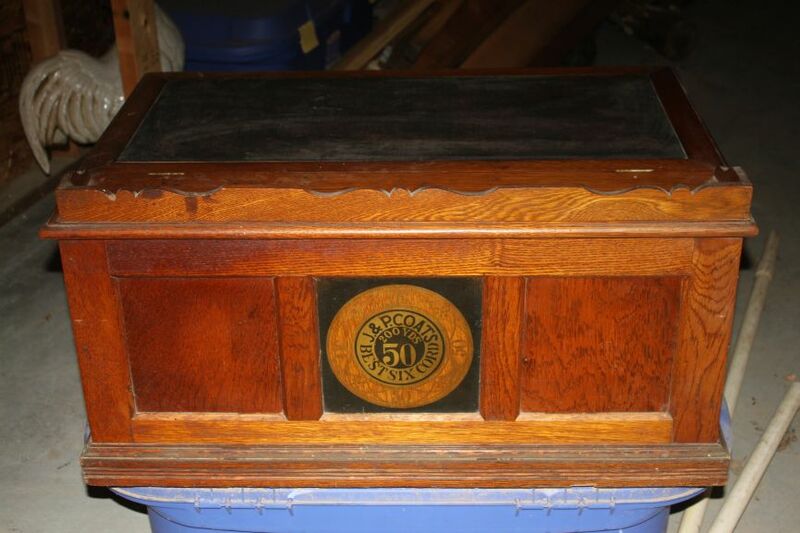 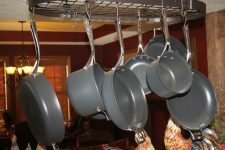 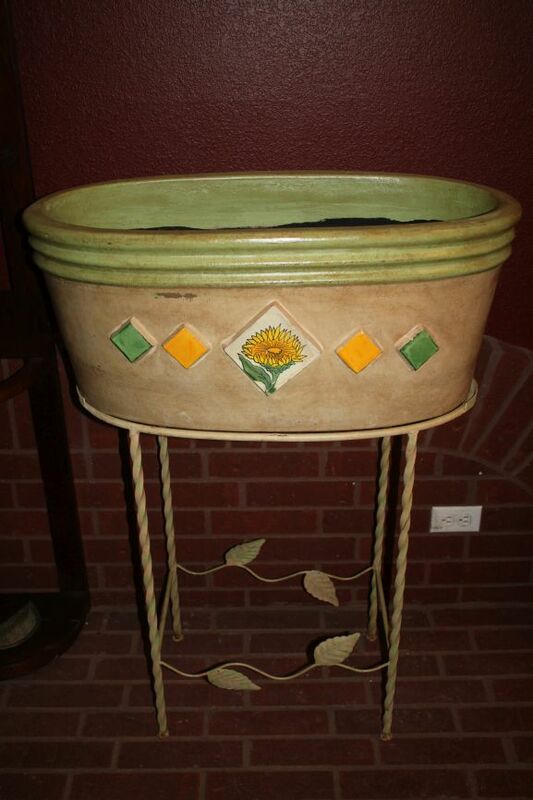 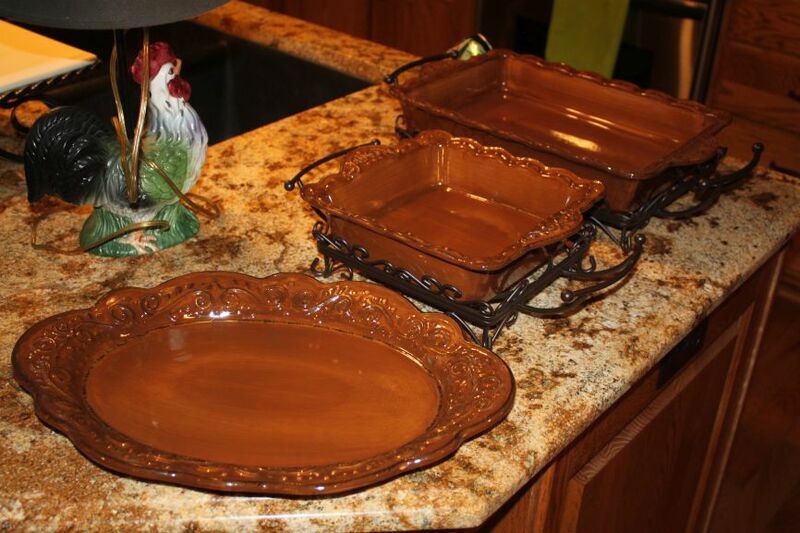 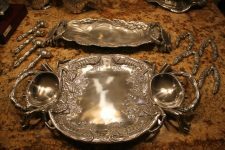 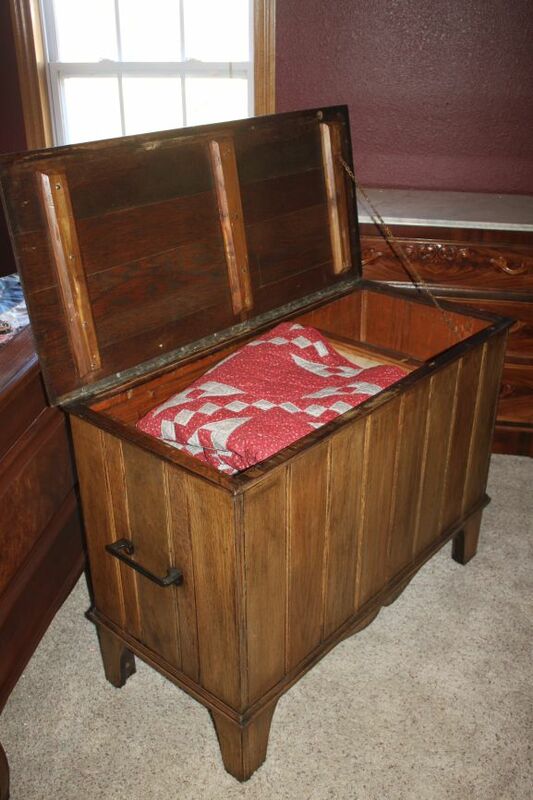 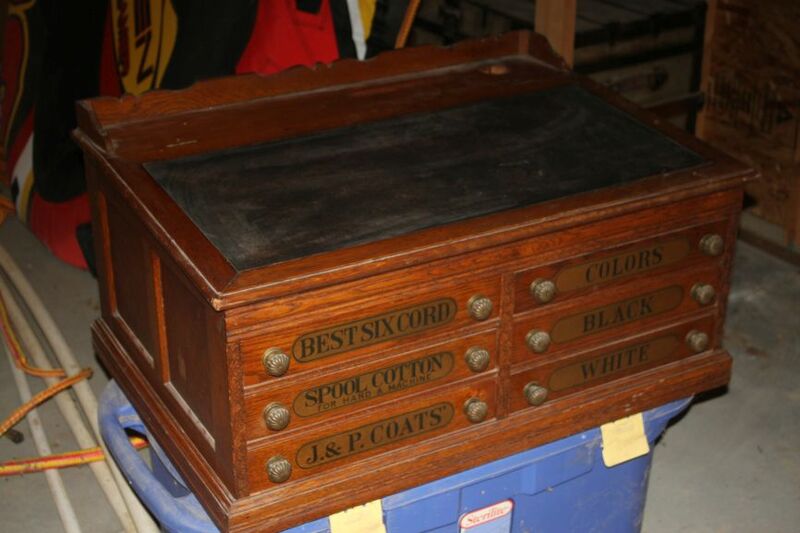 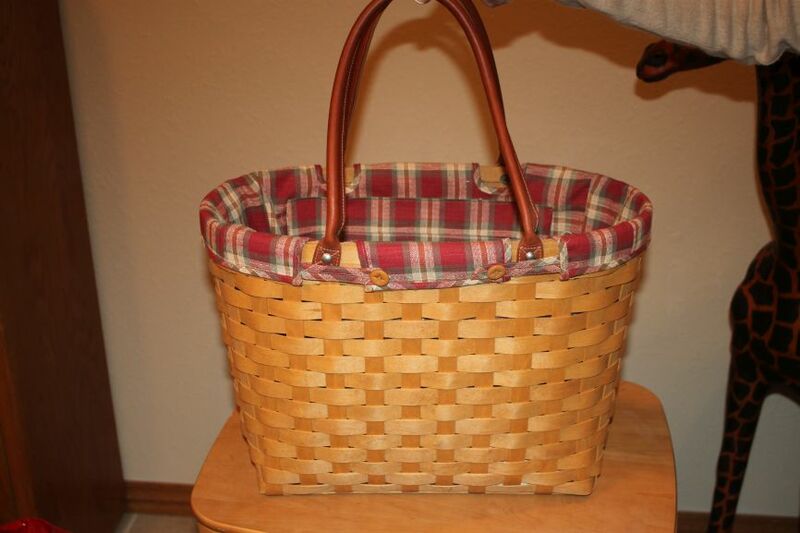 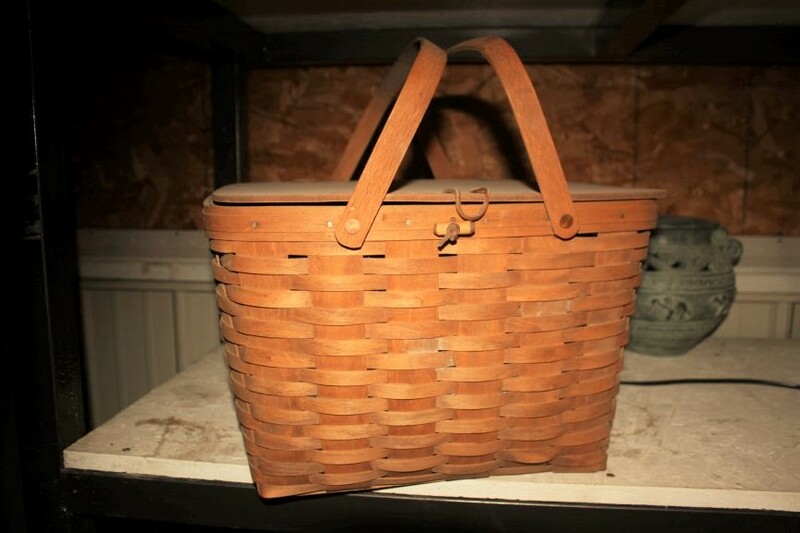 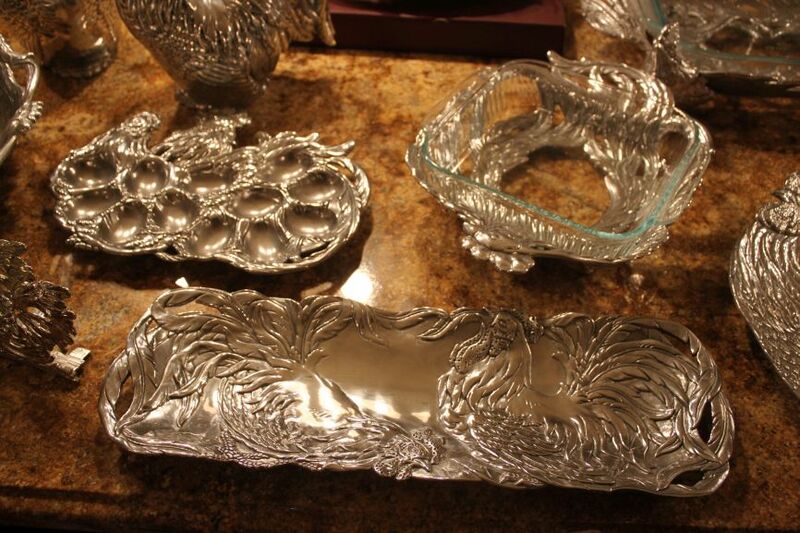 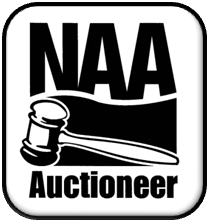 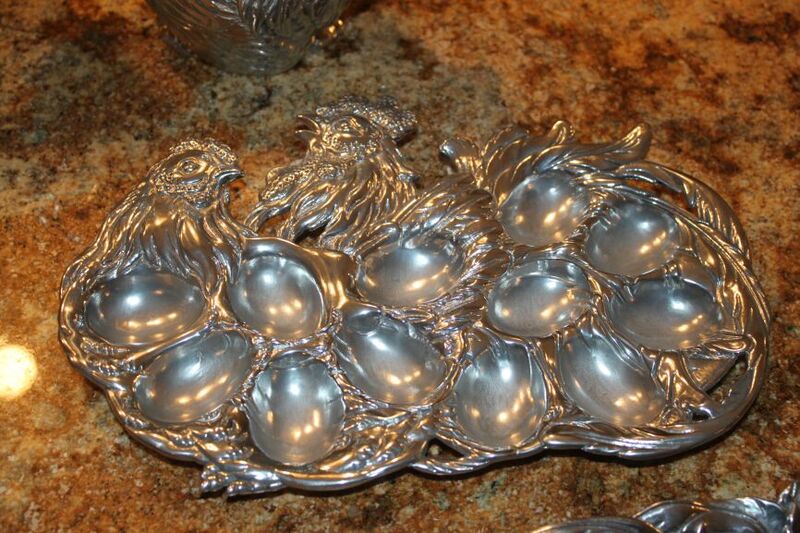 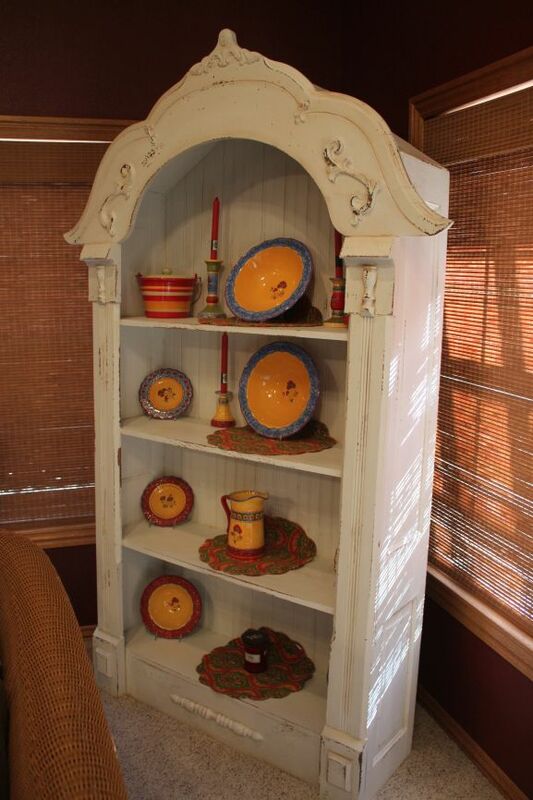 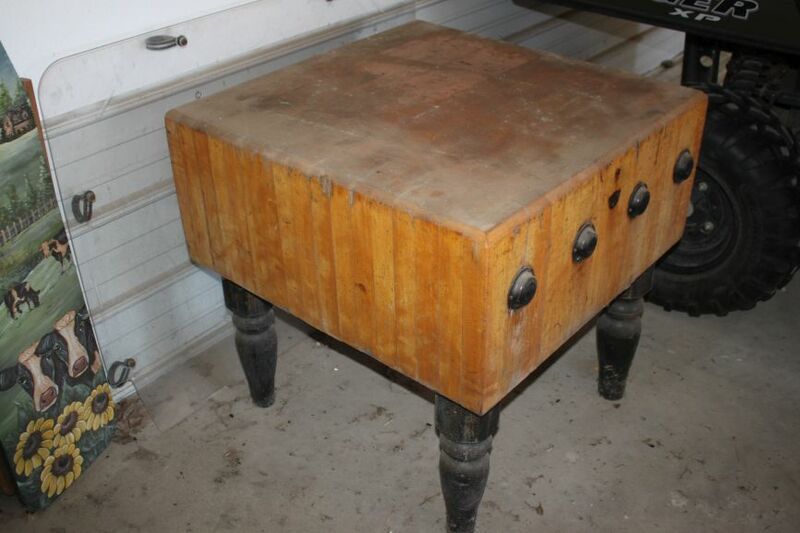 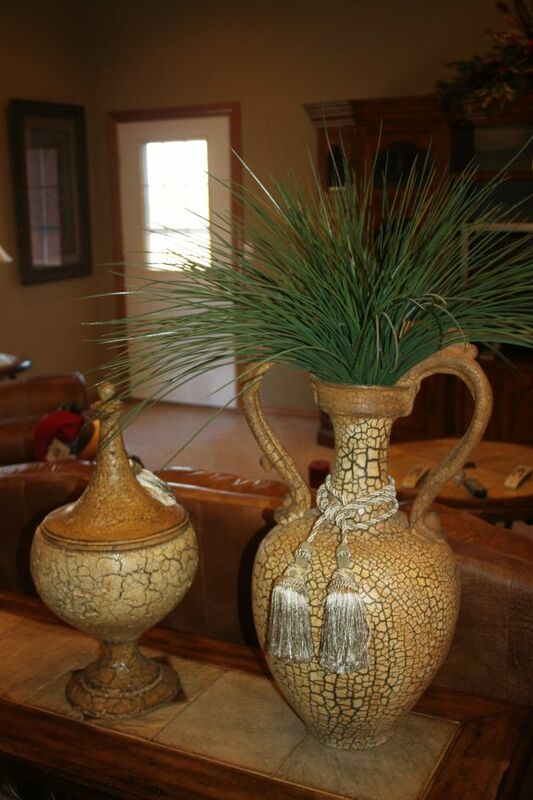 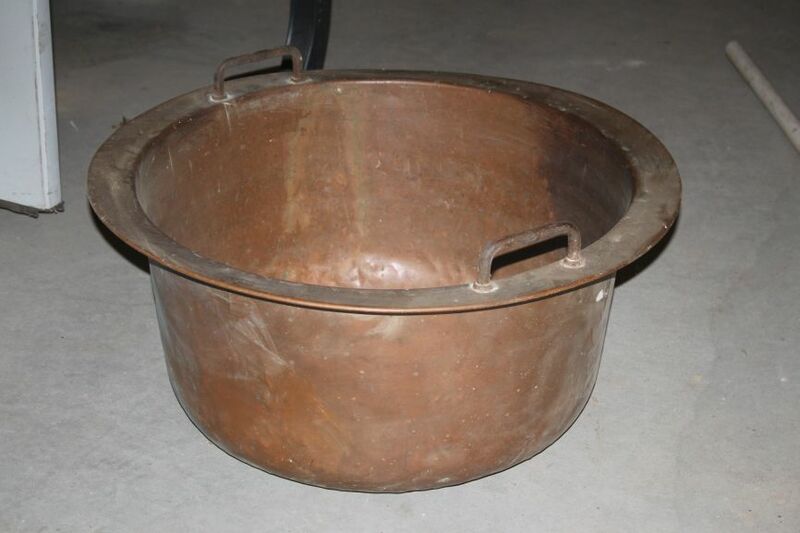 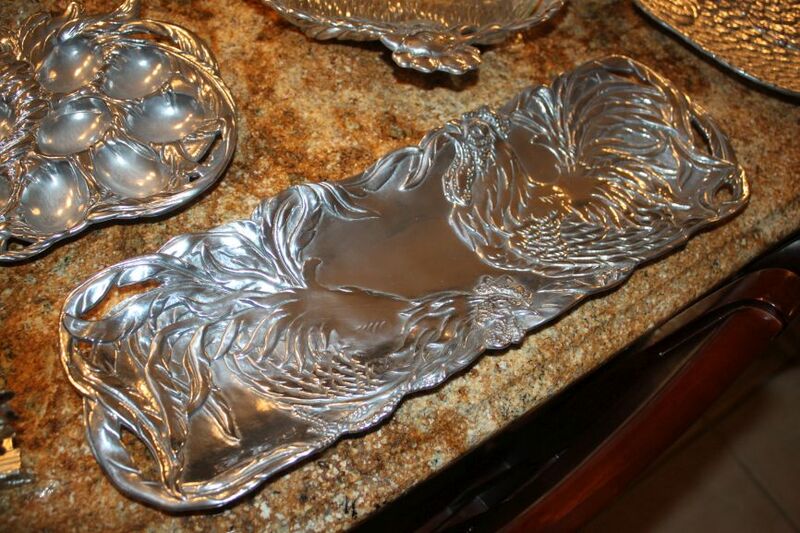 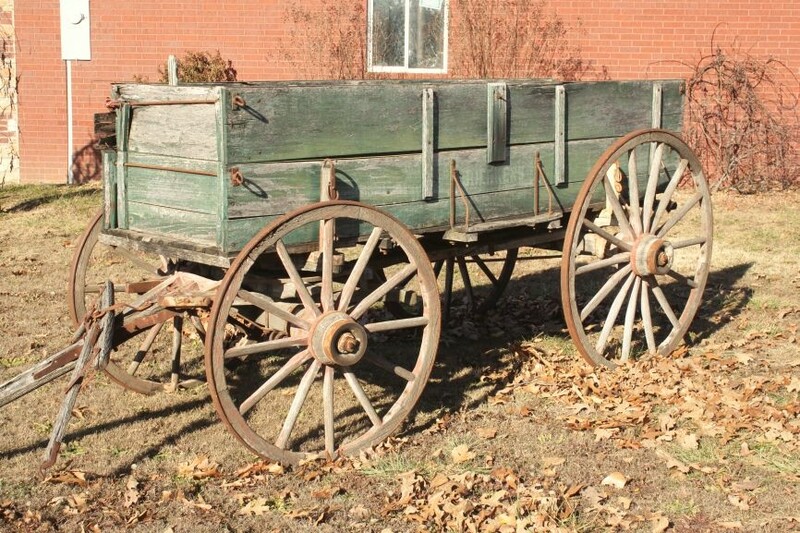 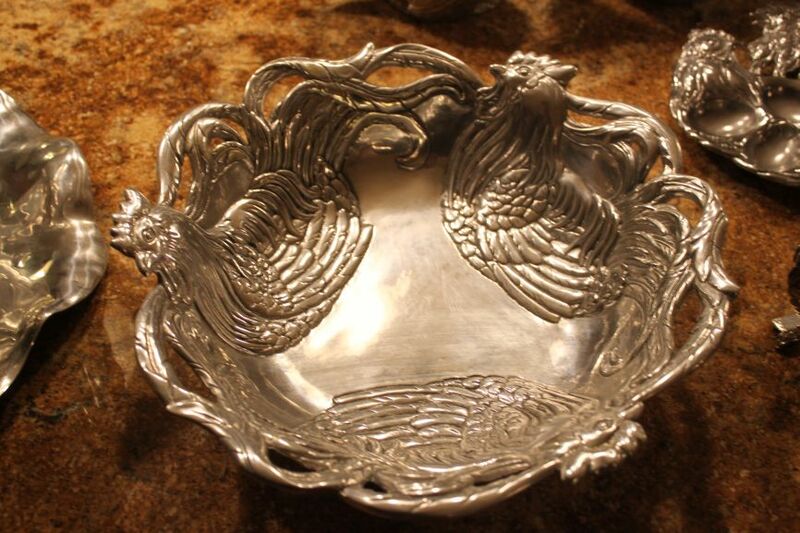 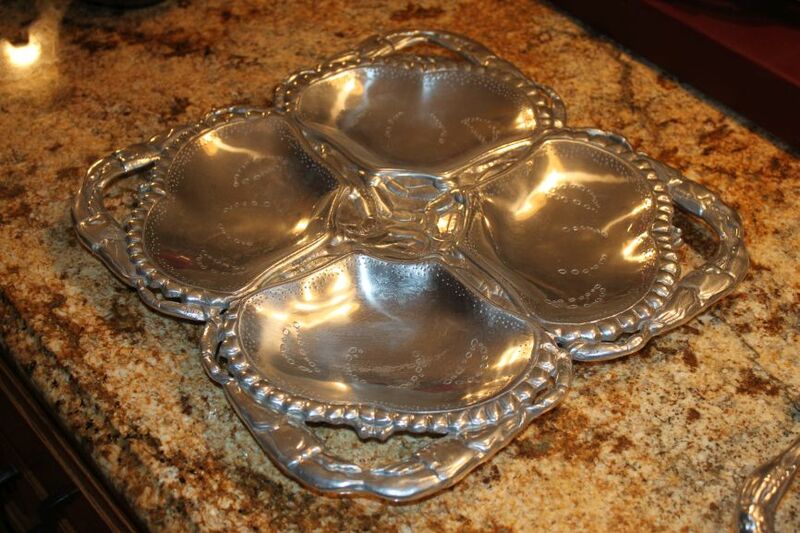 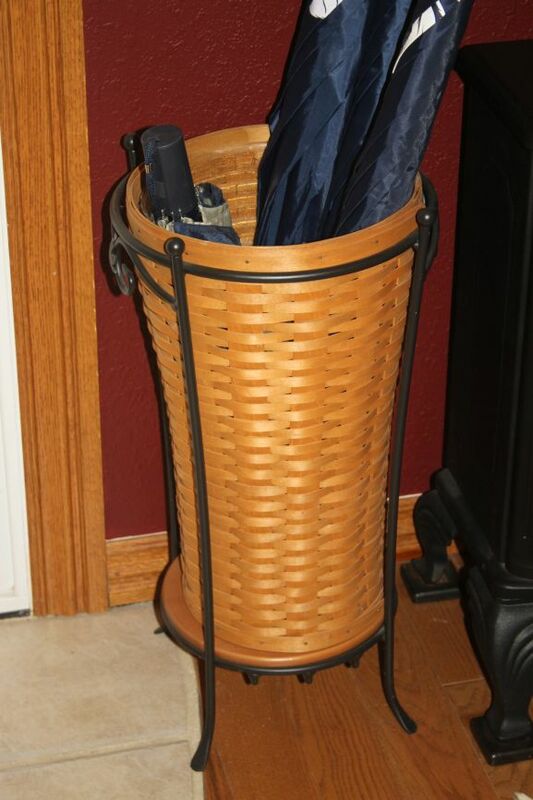 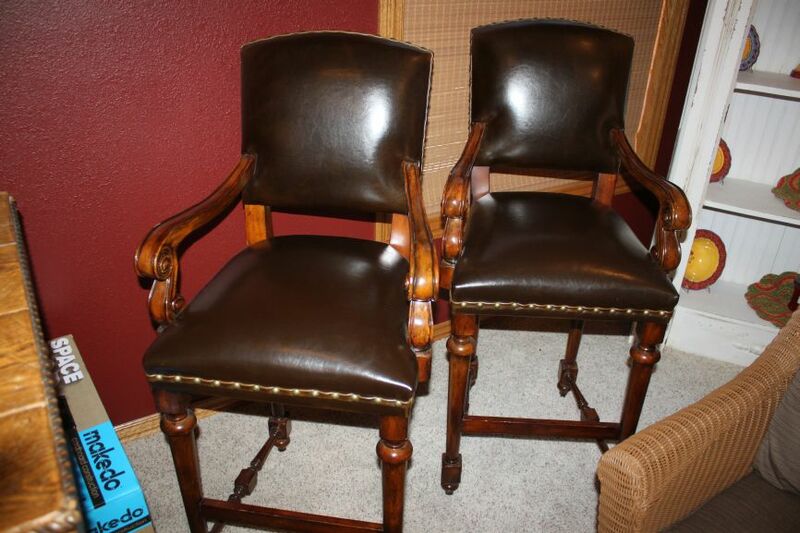 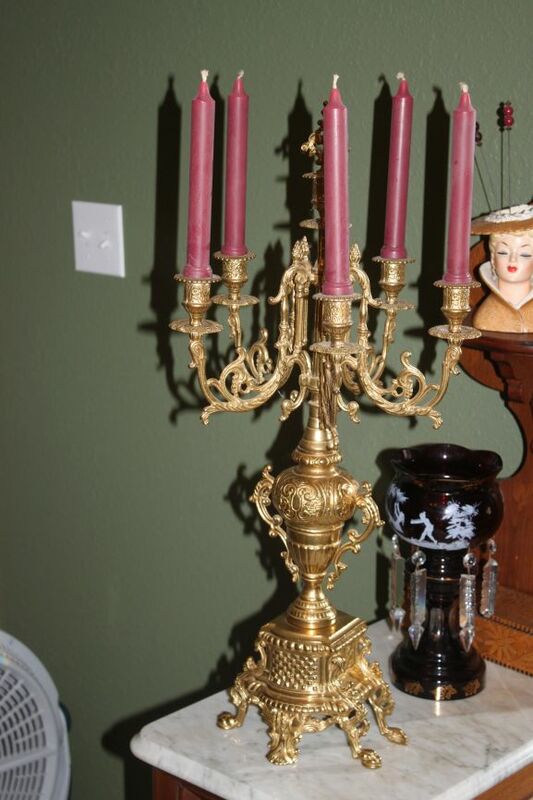 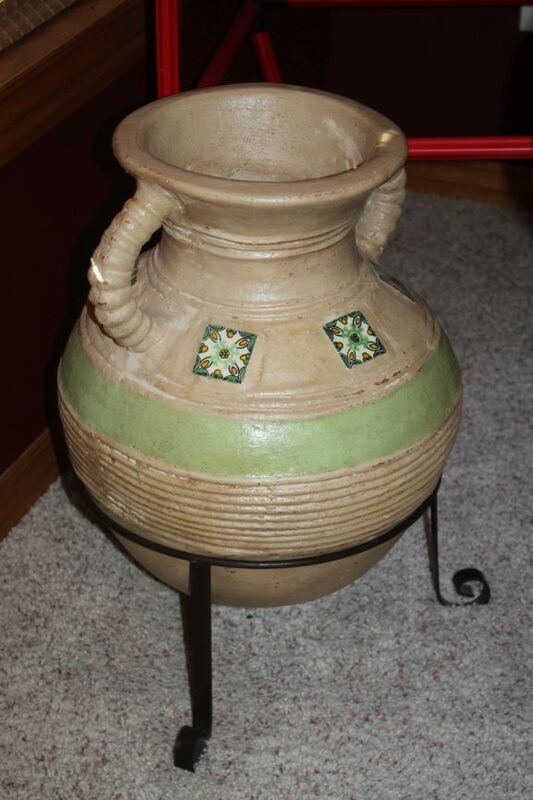 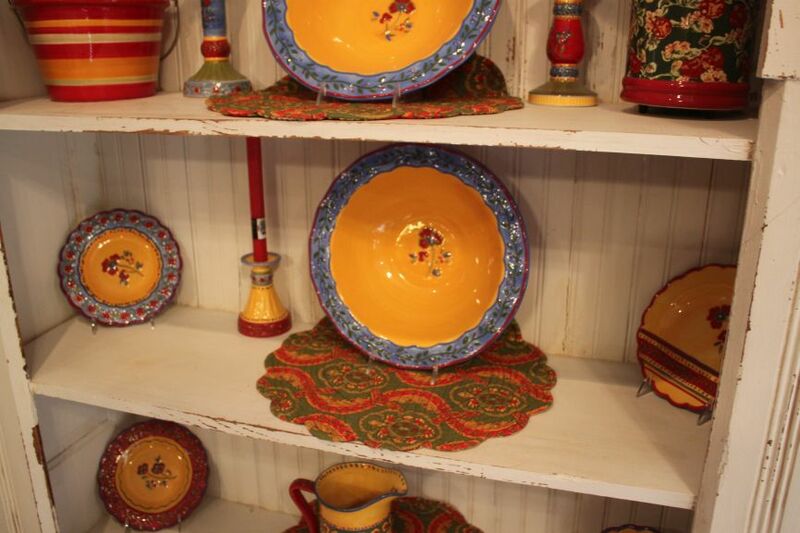 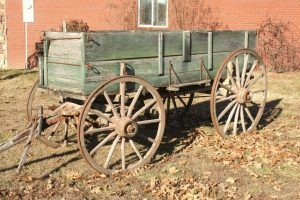 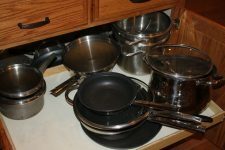 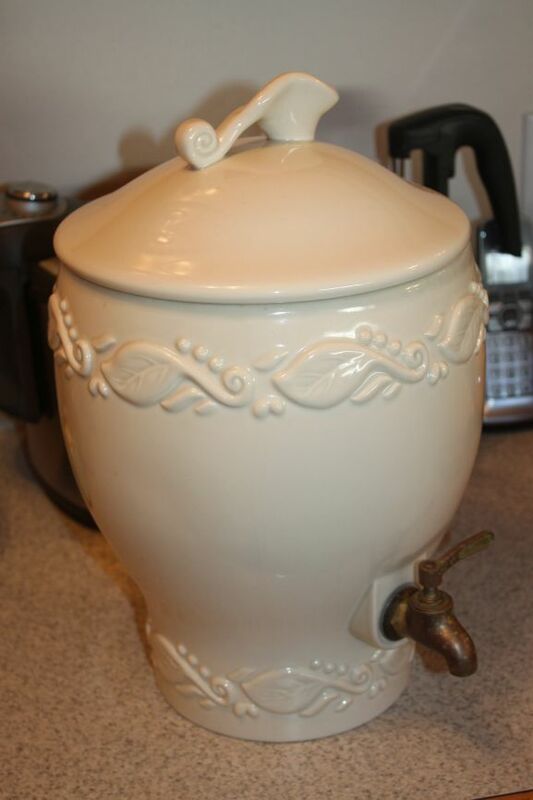 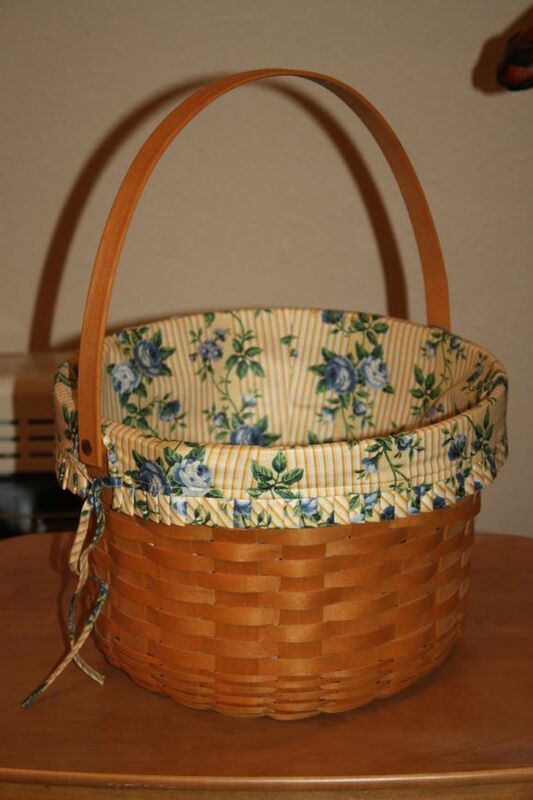 Auctioneer’s Note: This auction features a large and fabulous line of personal property including antique and high-end furnishings, very nice cookware and table service sets, beautiful home décor items, a commercial ZTR mower, antique buckboard wagon, and much, much more. 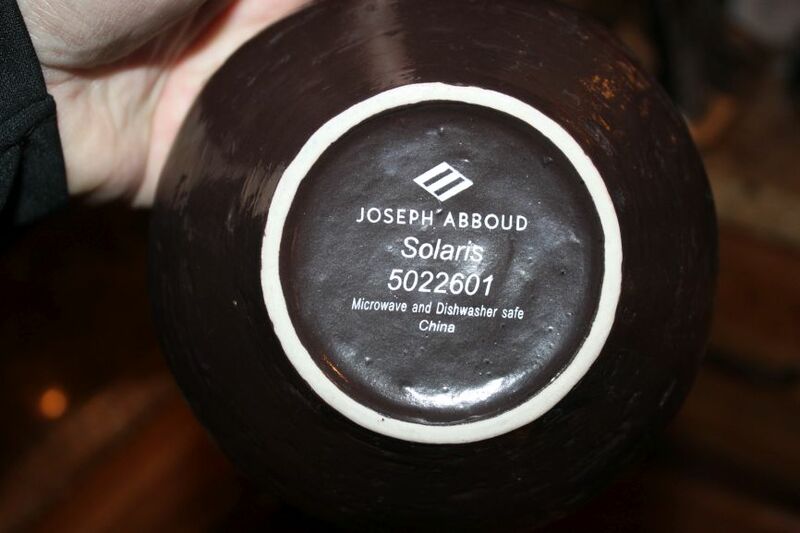 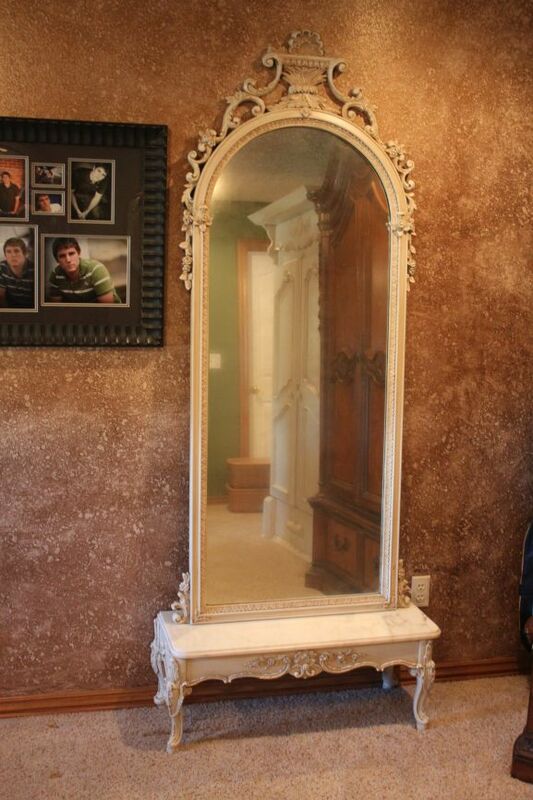 EVERYTHING SELLS TO THE HIGHEST BIDDER! 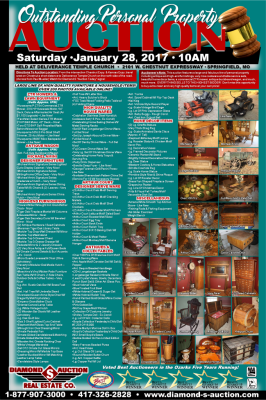 Don’t miss this opportunity to buy extra clean and very high quality items at you own price! 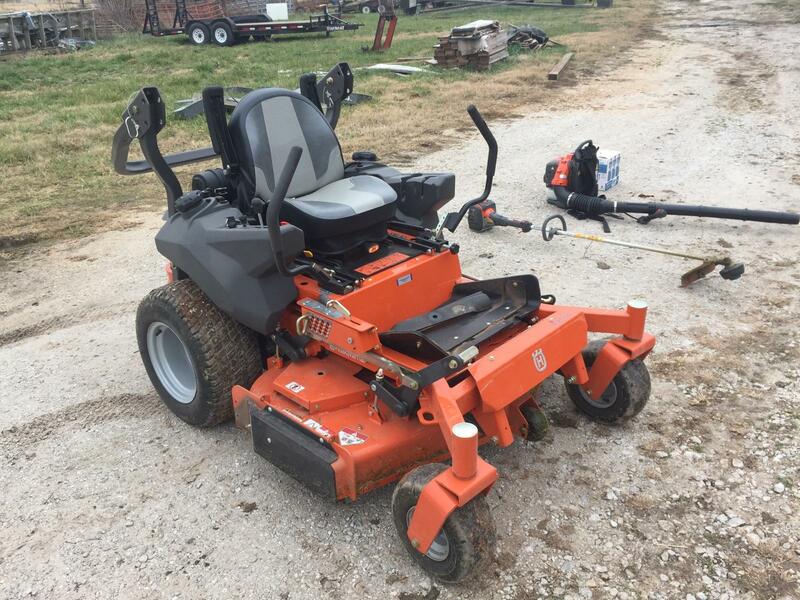 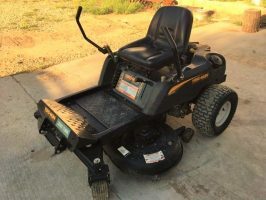 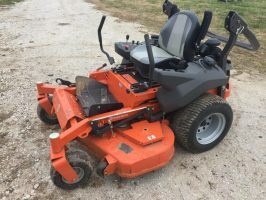 Husqvarna P-ZT54 Commercial ZTR Mower, 23½ HP Kawasaki Motor, 54” Deck, Deluxe Aftermarket Air Seat (An $1,100 Upgrade) – Like New! Yard Man Select Series ZTR Mower, 21HP B&S Motor, 42” Deck – Nice! 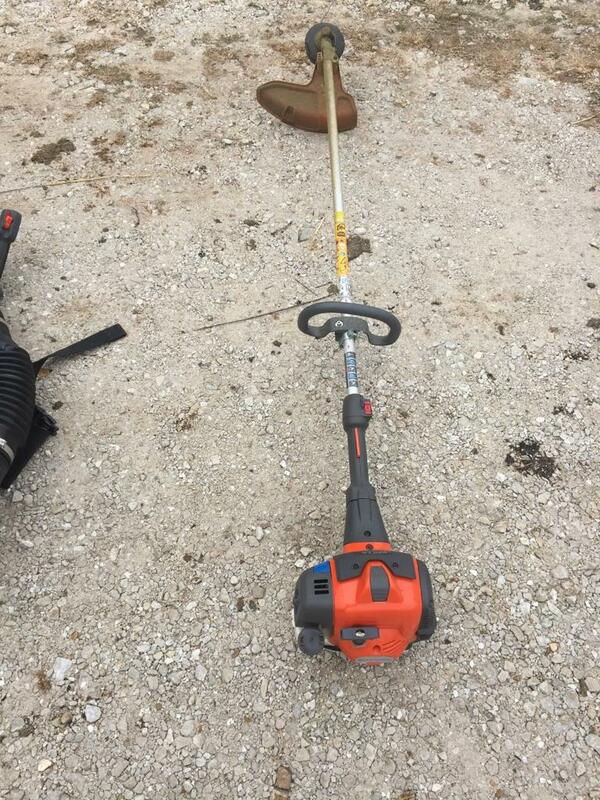 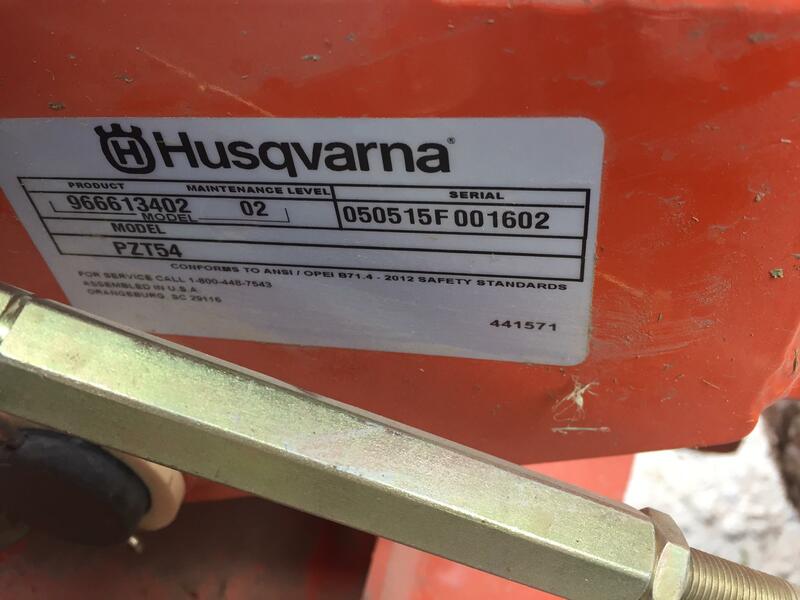 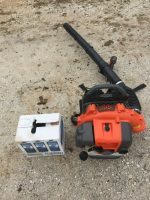 Husqvarna 525LS Pro Strait Shaft Trimmer, 25.4cc Motor – Like New! Husqvarna 350BT 50cc Backpack Leaf Blower – Like New! 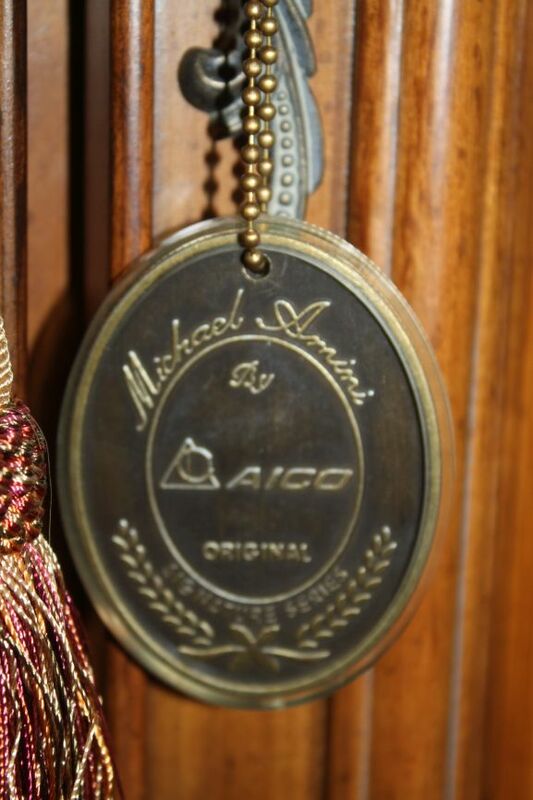 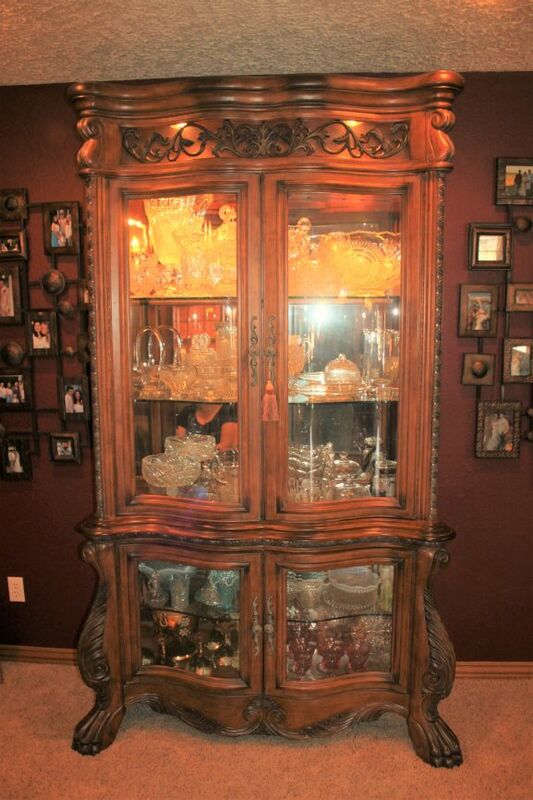 Michael Amini Signature Series Lighted Curio Display Cabinet – Very Nice! 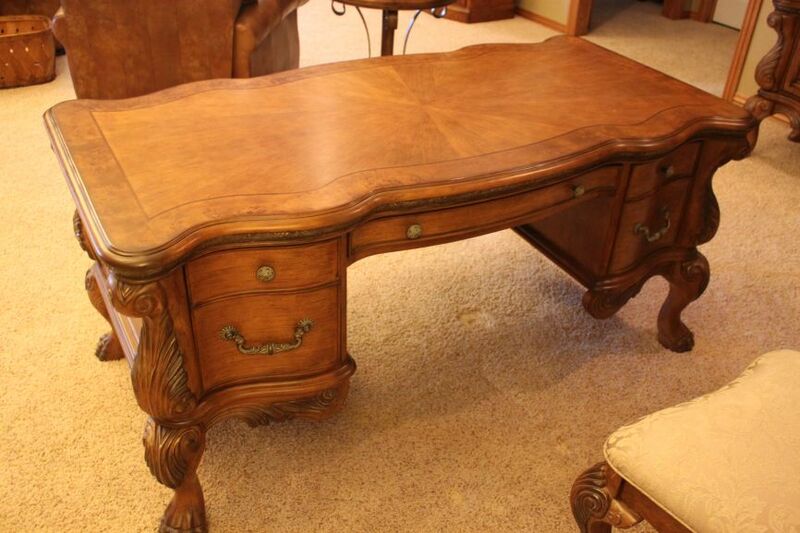 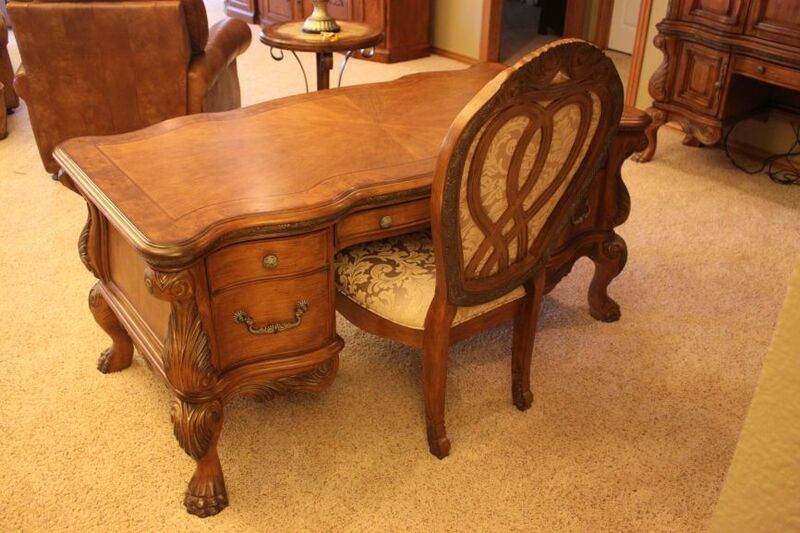 Michael Amini Signature Series Writing/Home Office Desk – Very Nice! 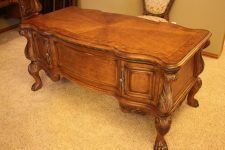 Michael Amini Signature Series Credenza w/ Hutch – Very Nice! 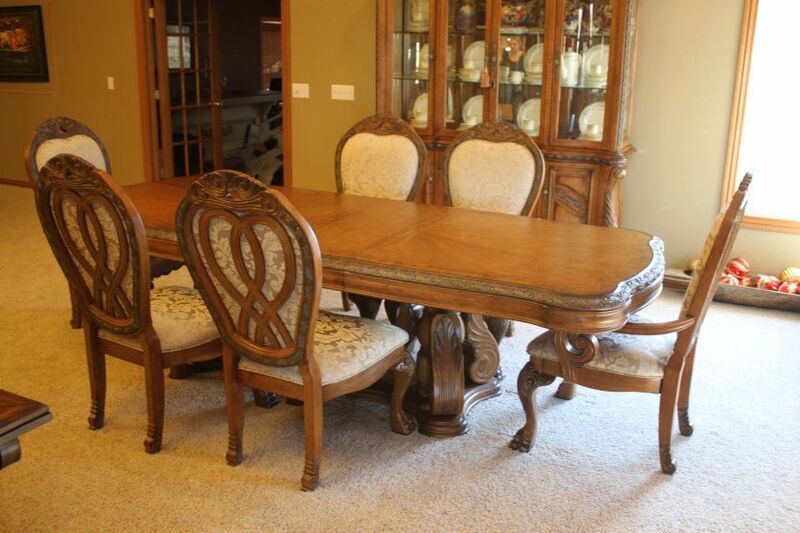 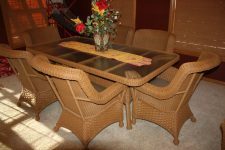 Michael Amini Signature Series Dining Table W/ (6) Chairs & (2) Leaves – Very Nice! 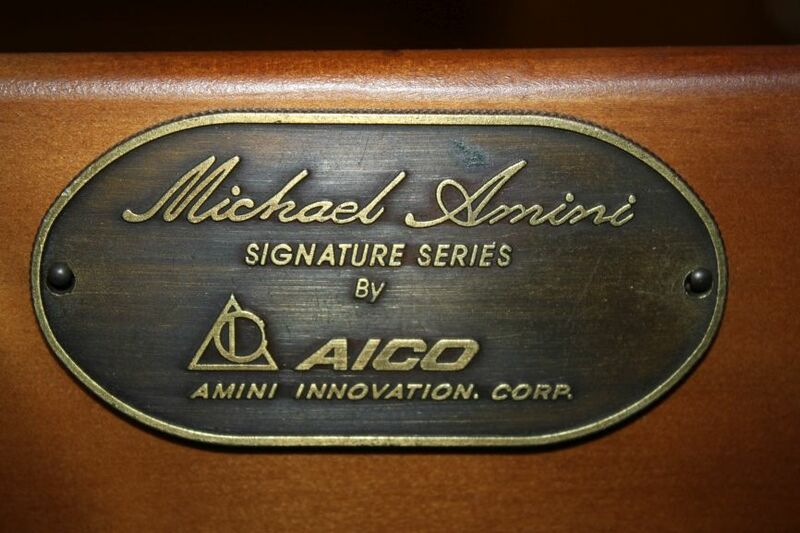 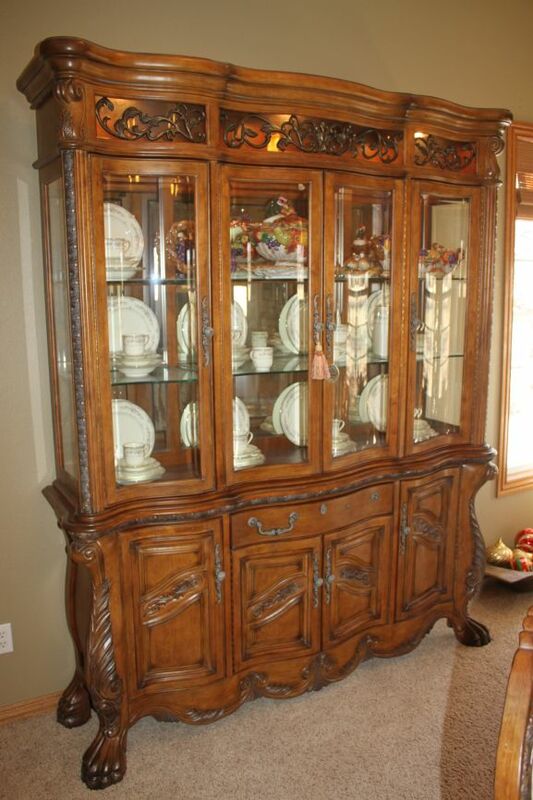 Michael Amini Signature Series China Hutch – Very Nice! 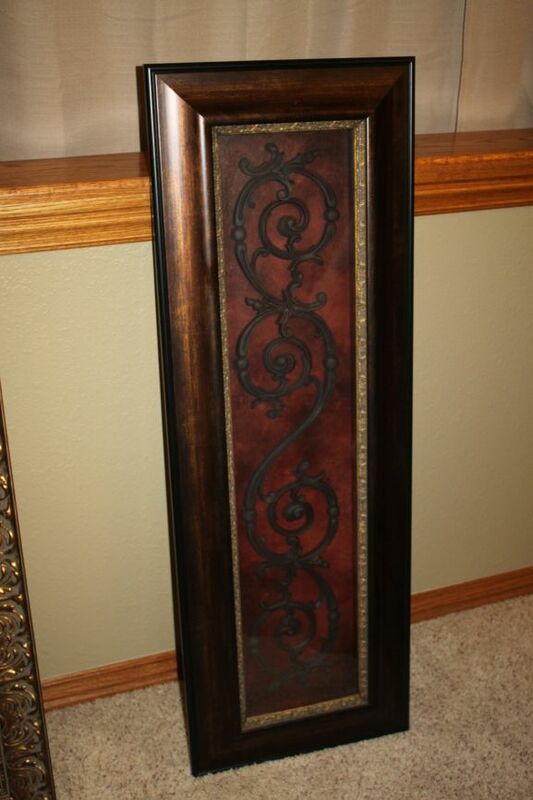 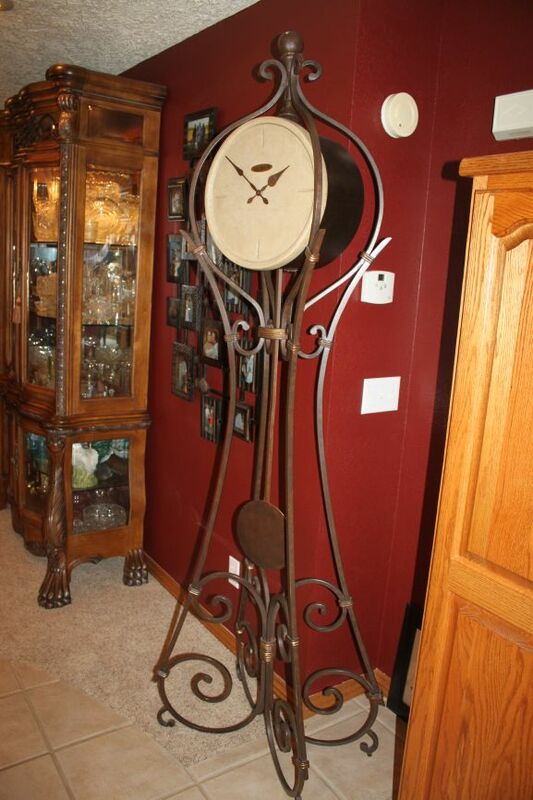 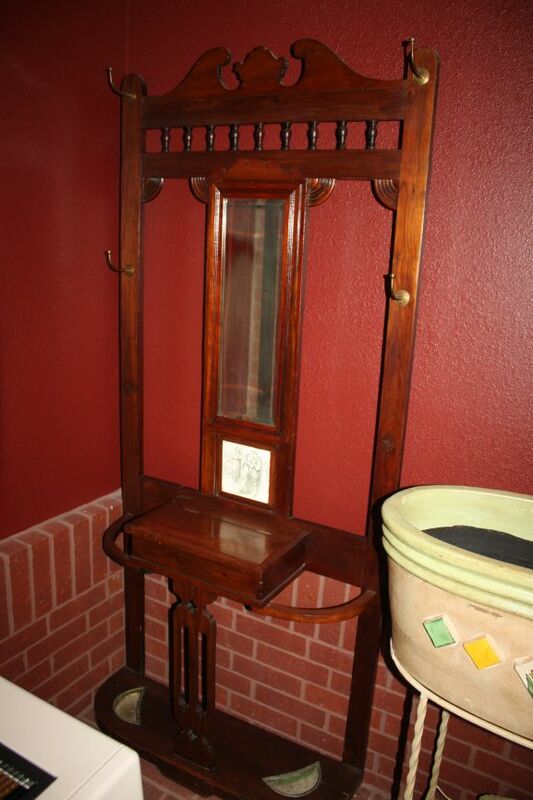 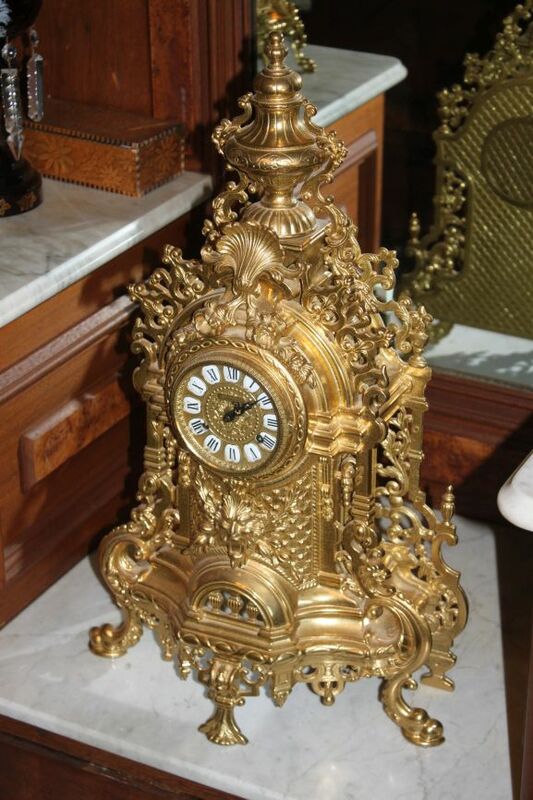 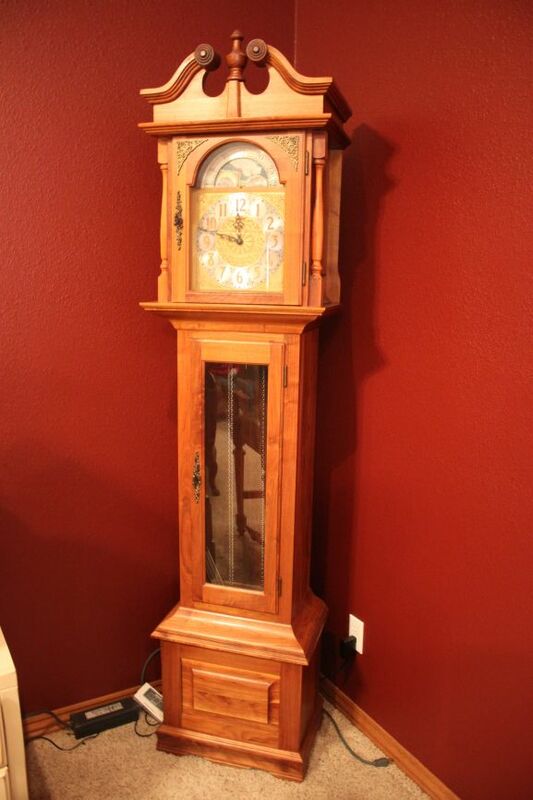 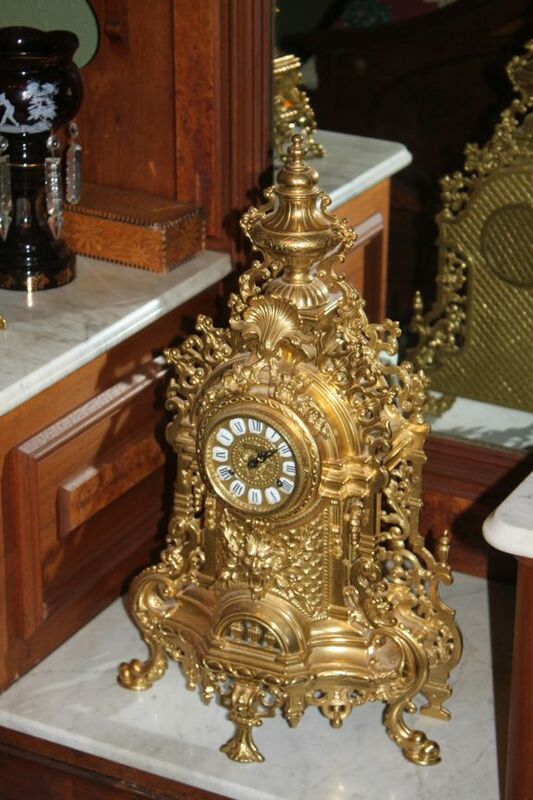 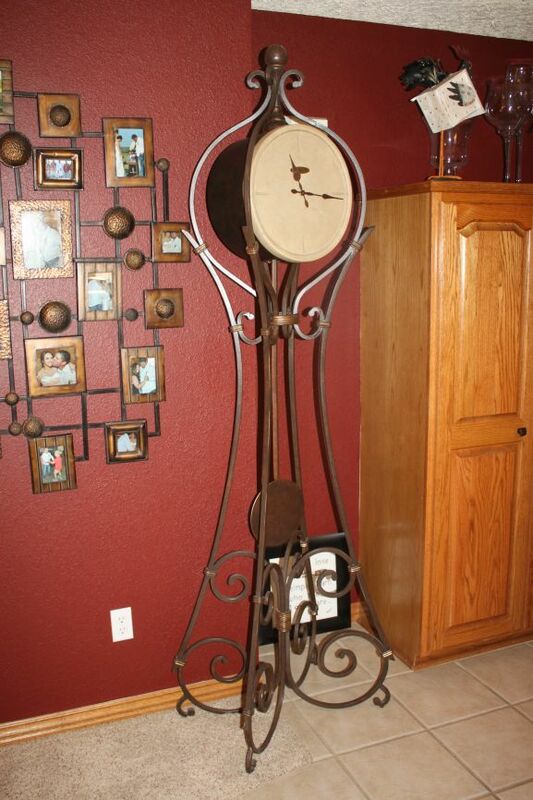 Howard Miller Wrought Iron Grandfather Clock – Nice! 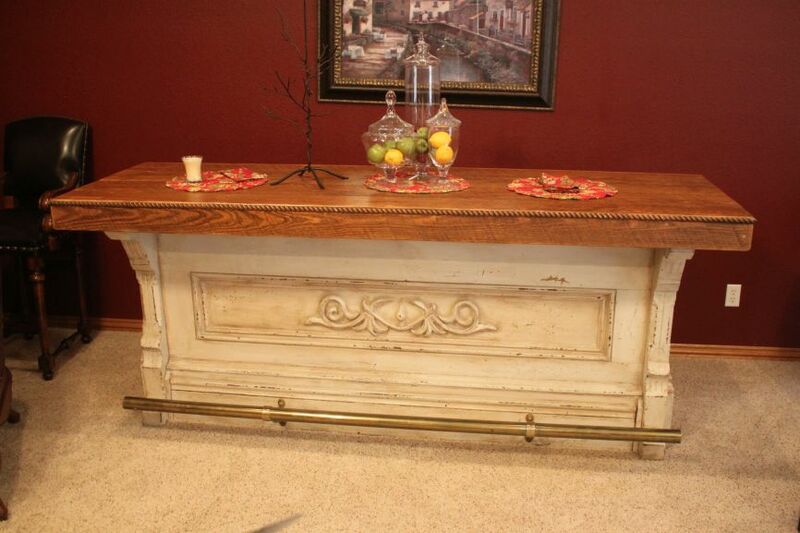 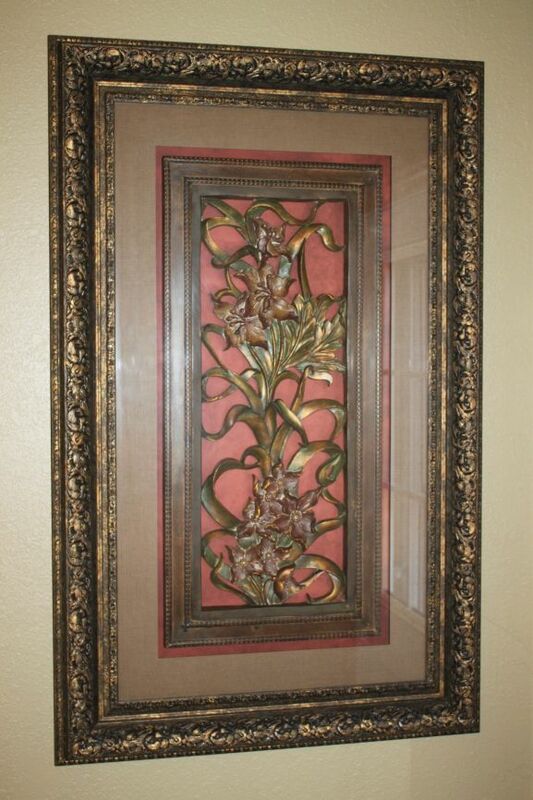 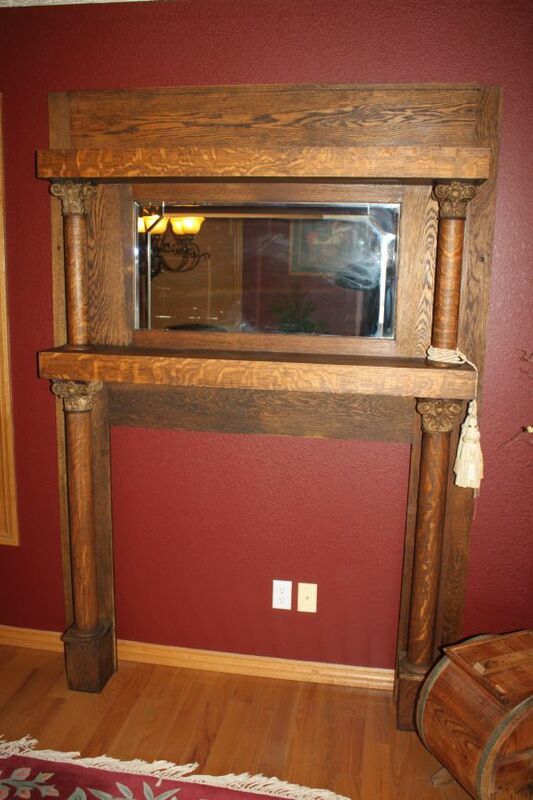 Tiger Oak Fireplace Mantel W/ Columns & Beveled Mirror – Nice! 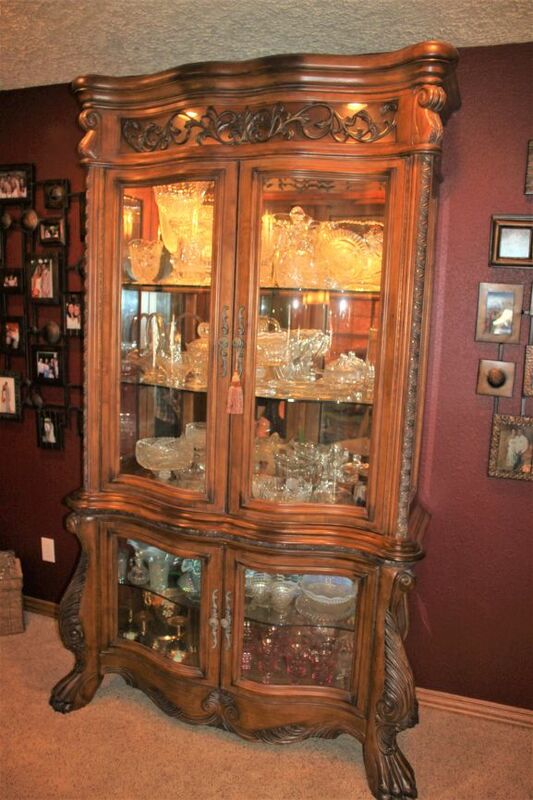 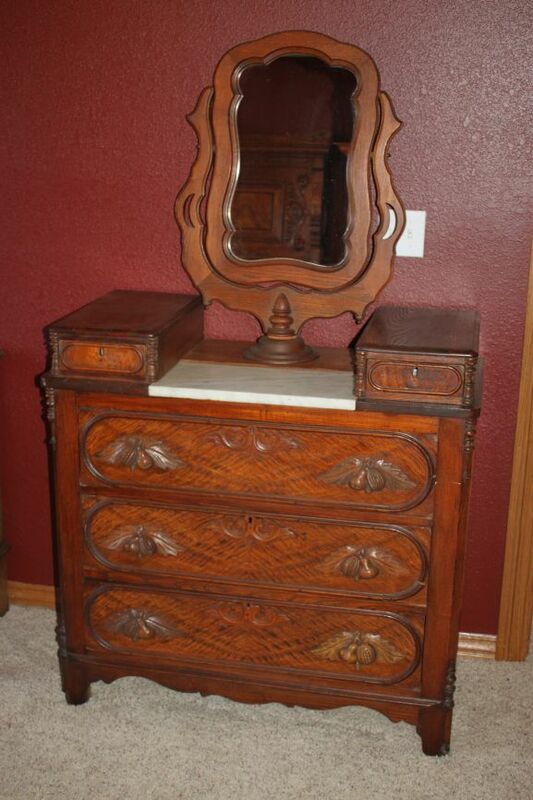 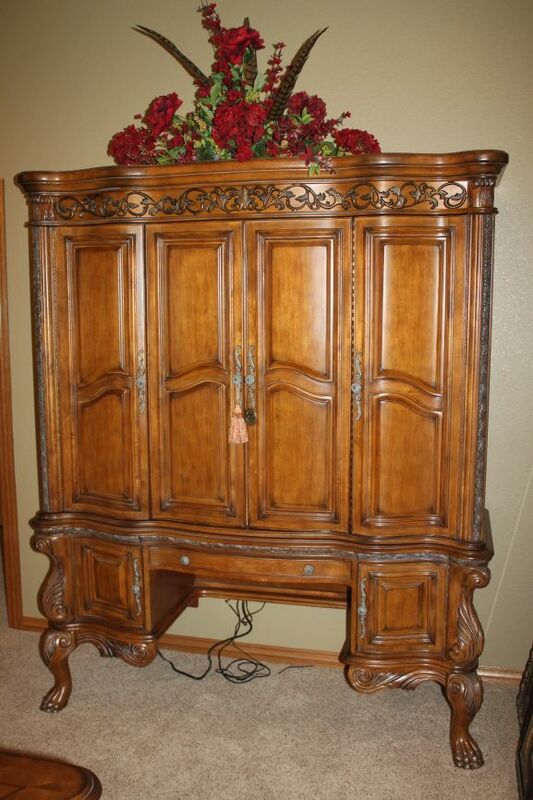 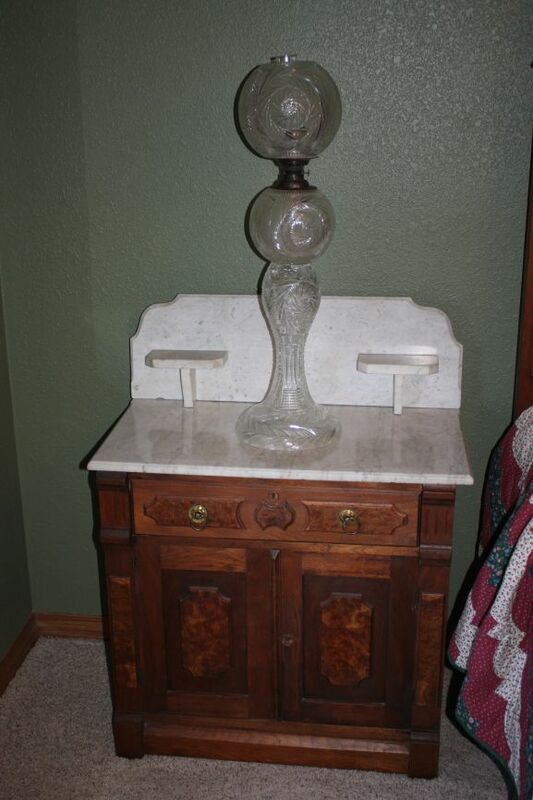 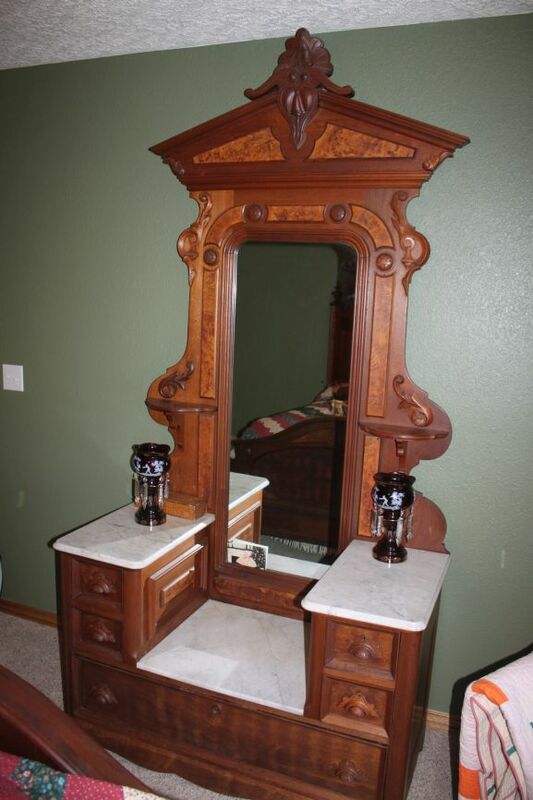 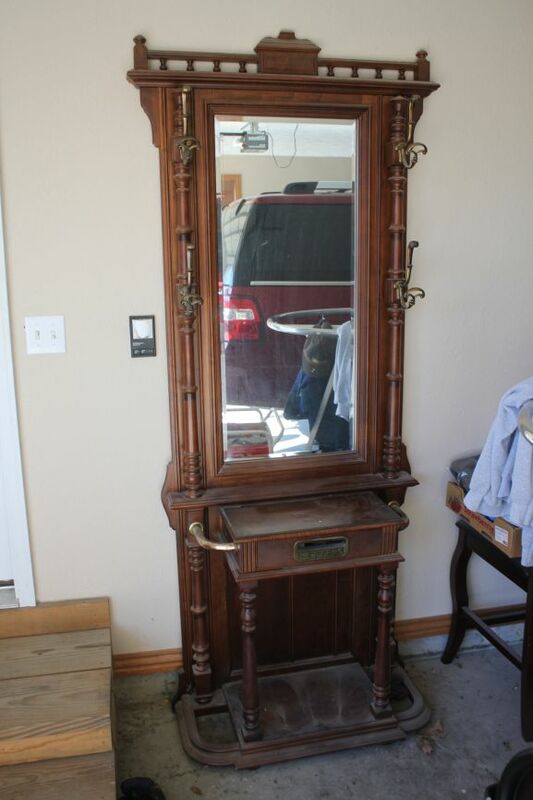 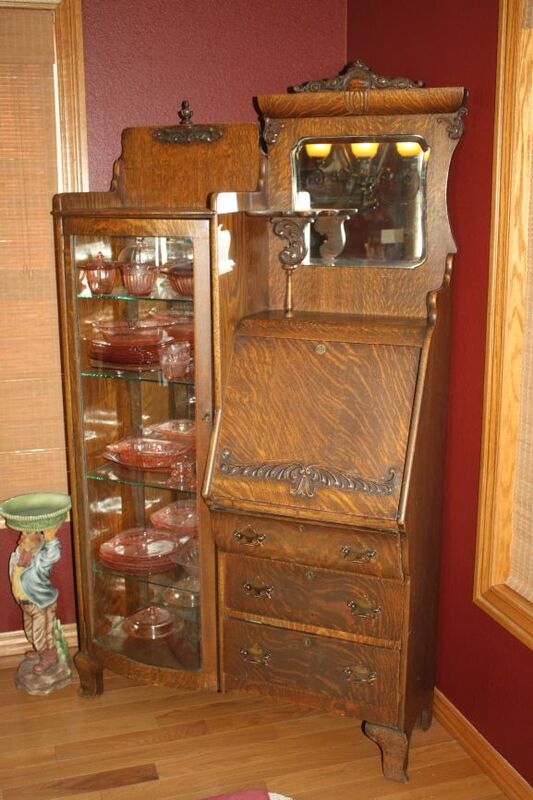 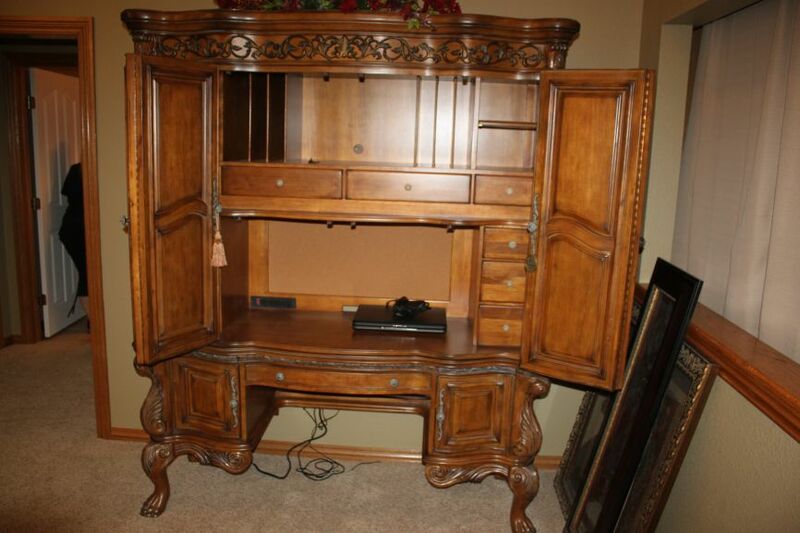 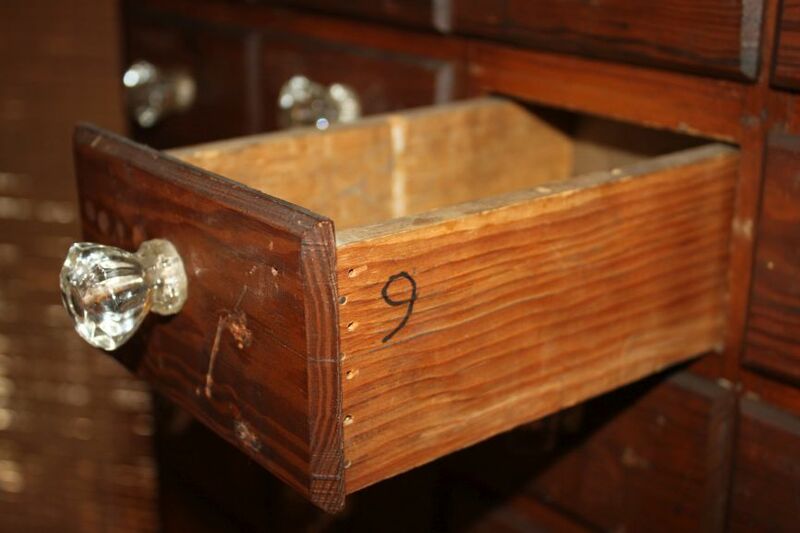 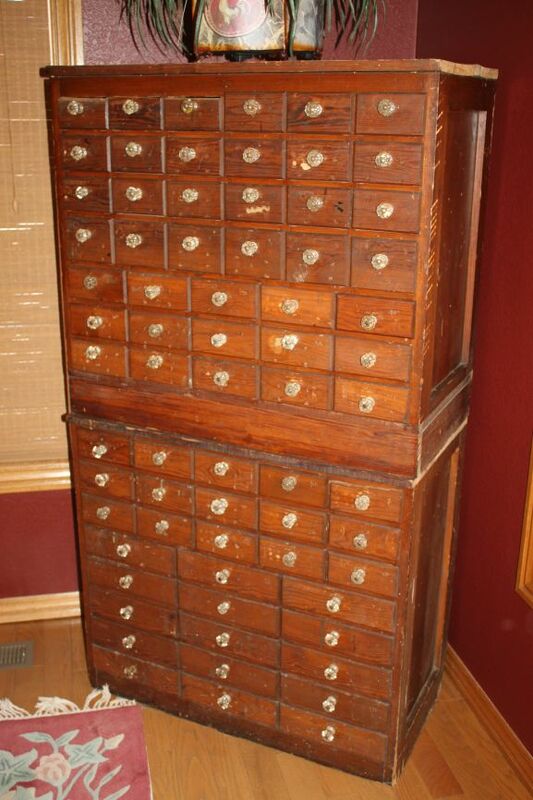 Tiger Oak Secretary Curio W/ Beveled Mirror – Nice! 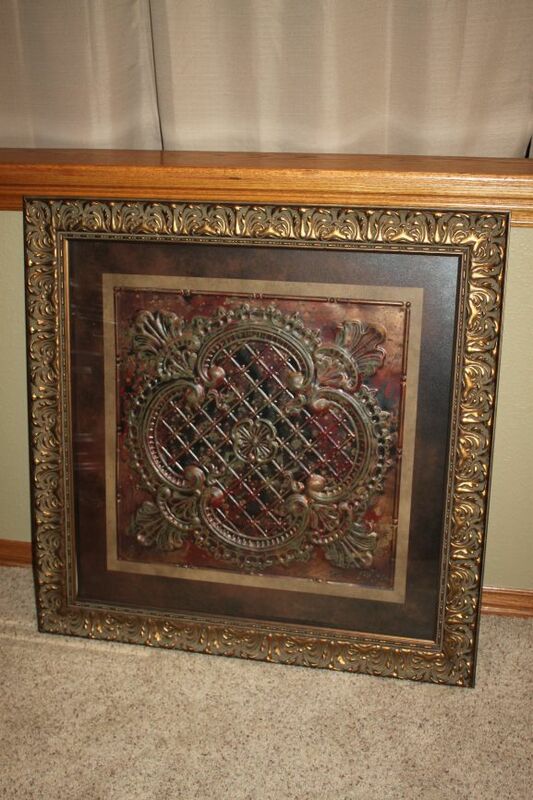 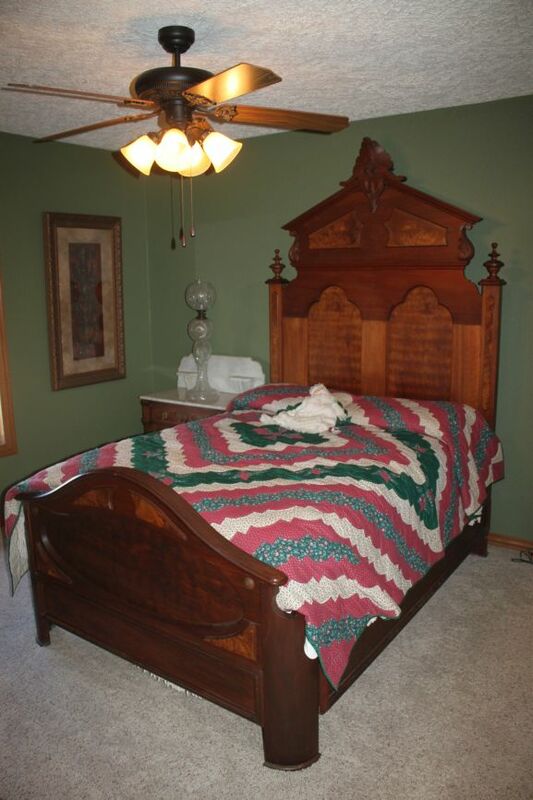 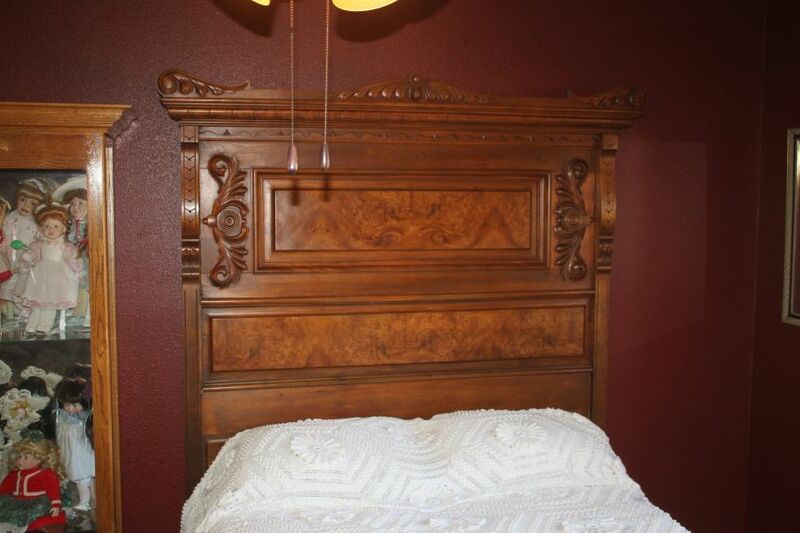 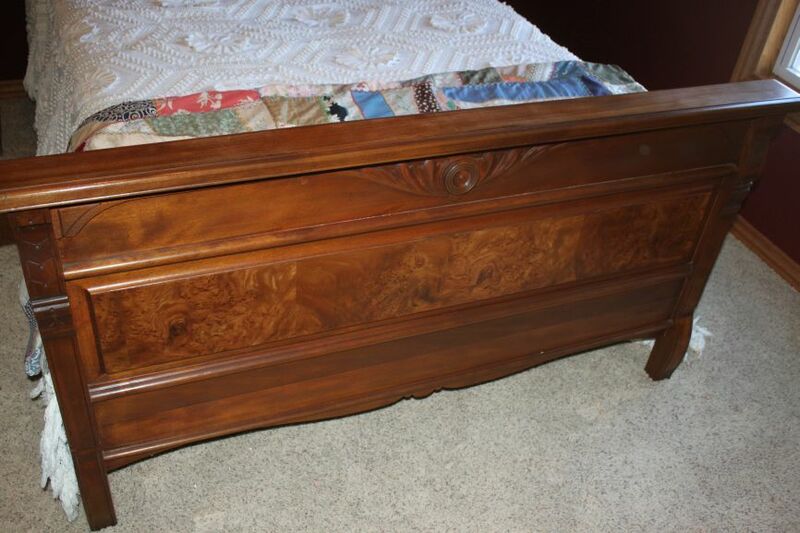 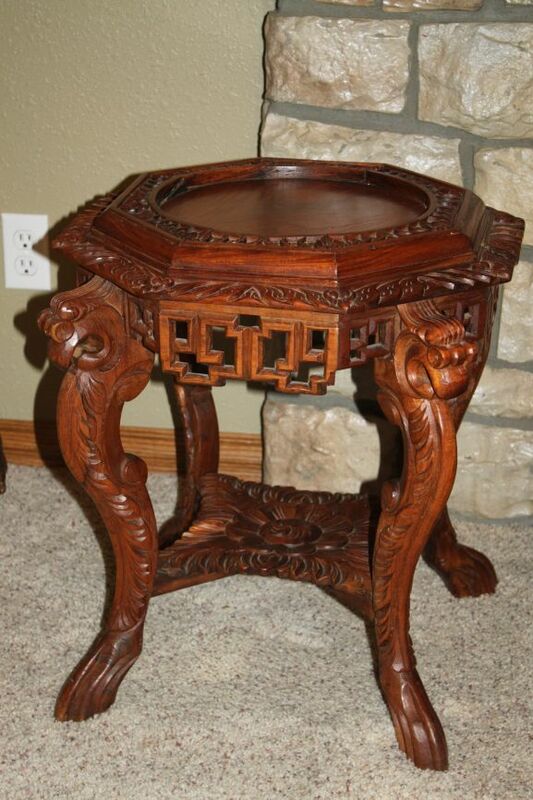 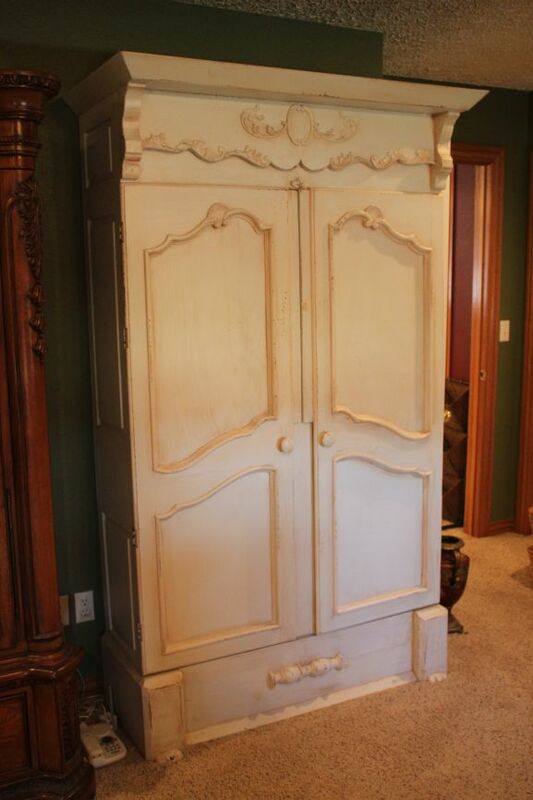 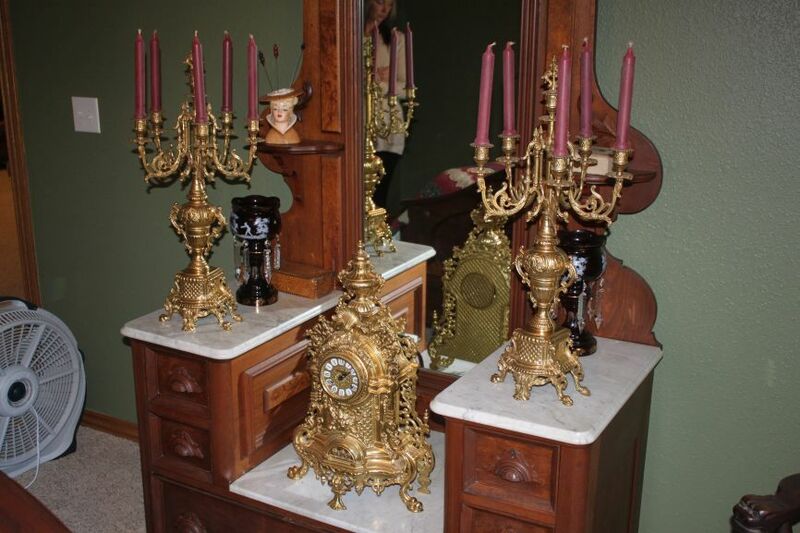 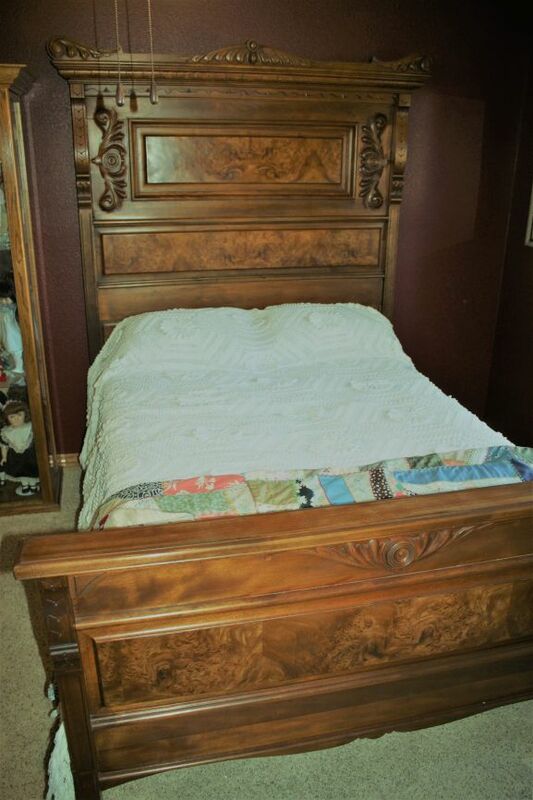 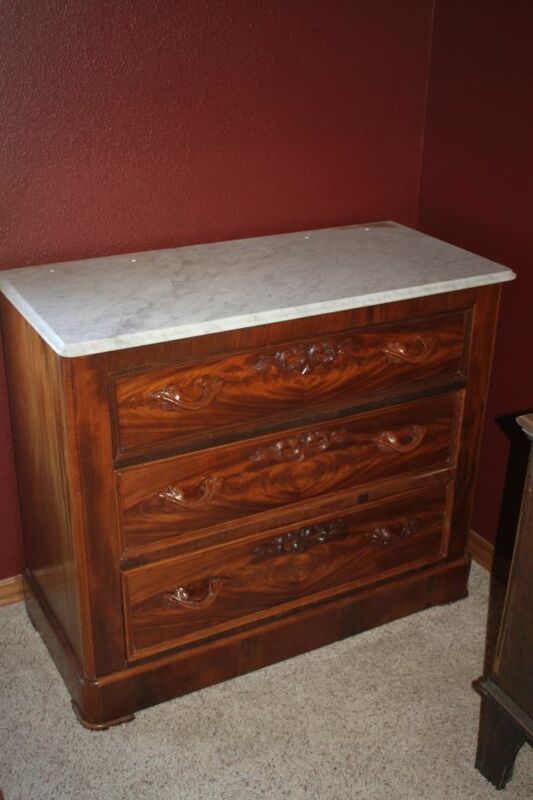 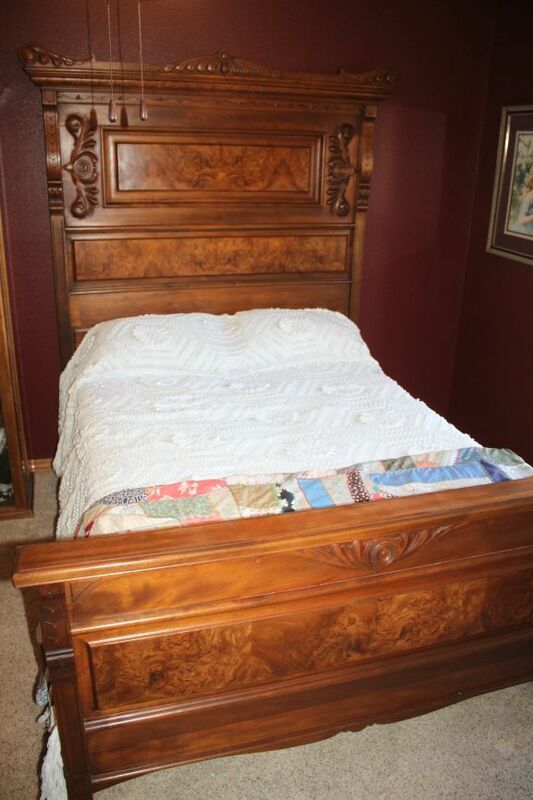 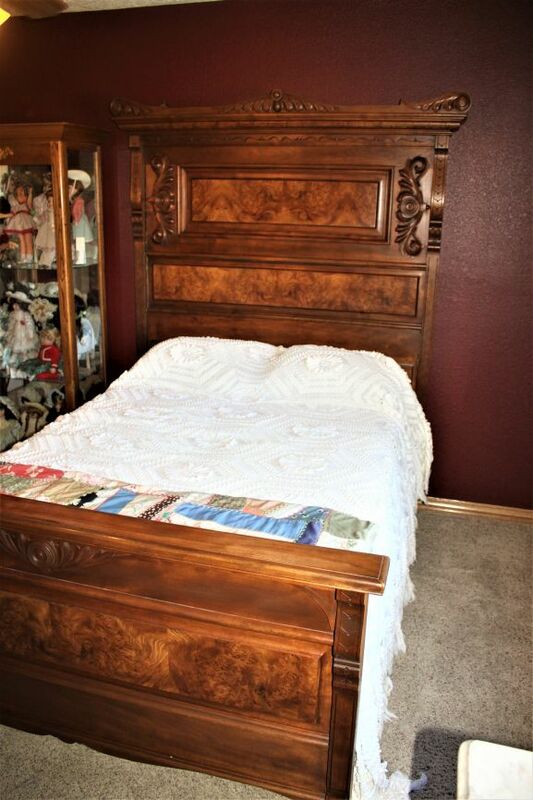 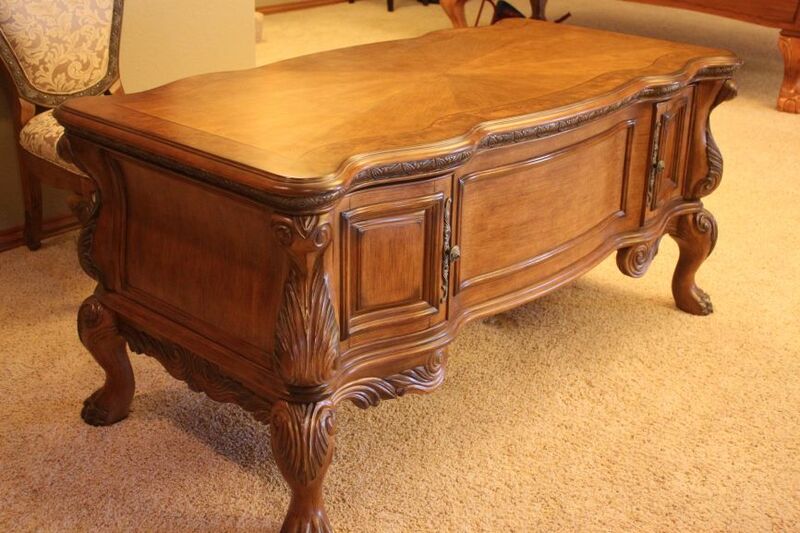 (2) Very Nice Antique Full/Queen Beds W/ Ornate Carved Details & Burl Accents – Ex. 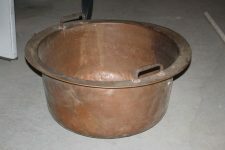 Cond! 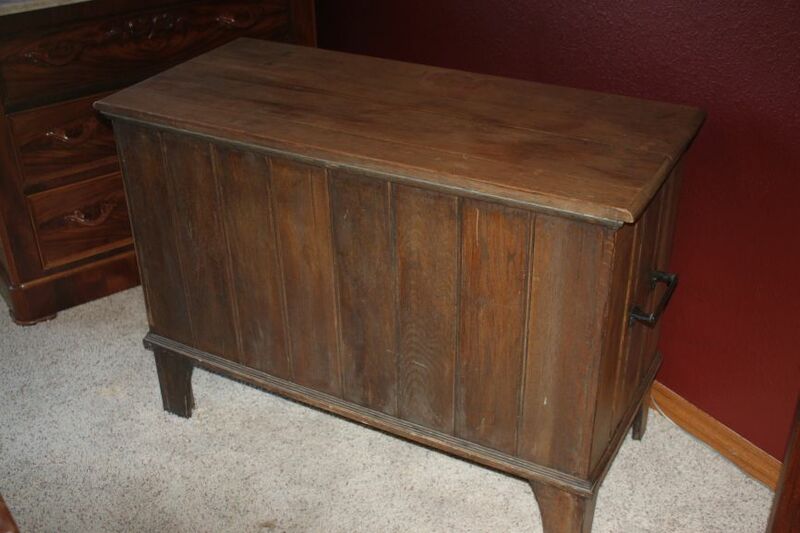 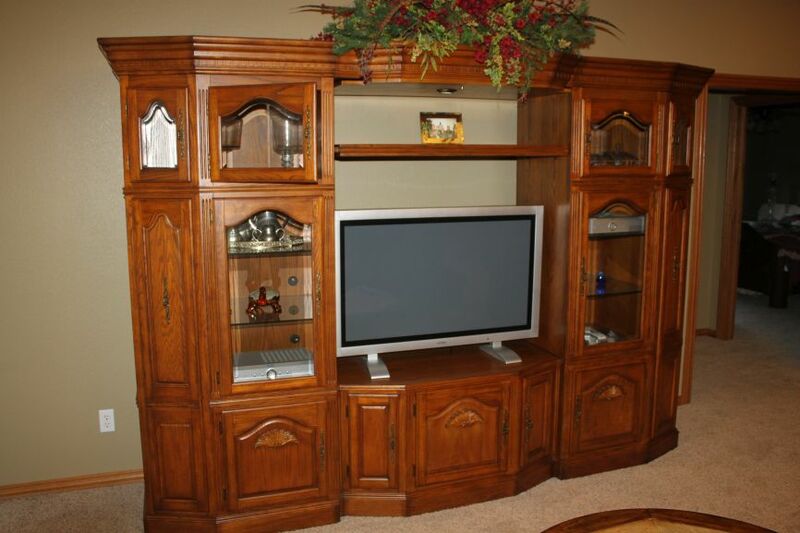 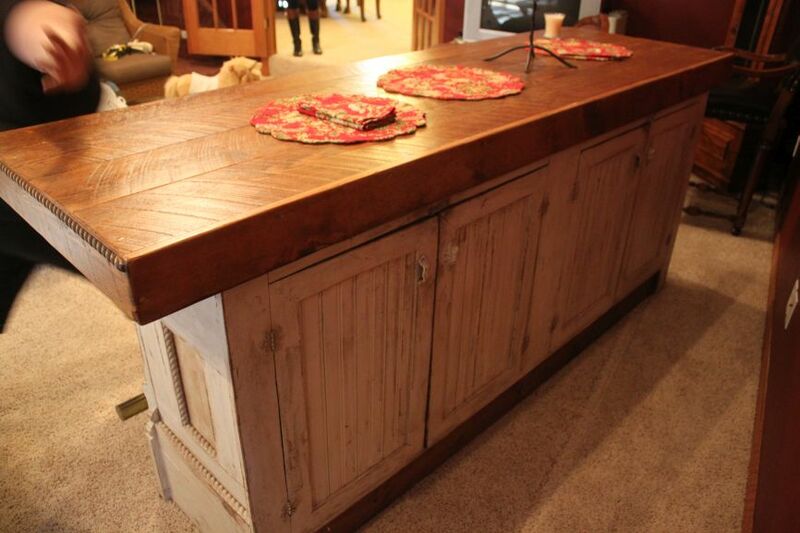 Haverty’s Modular Oak Media Hutch – Very Nice! 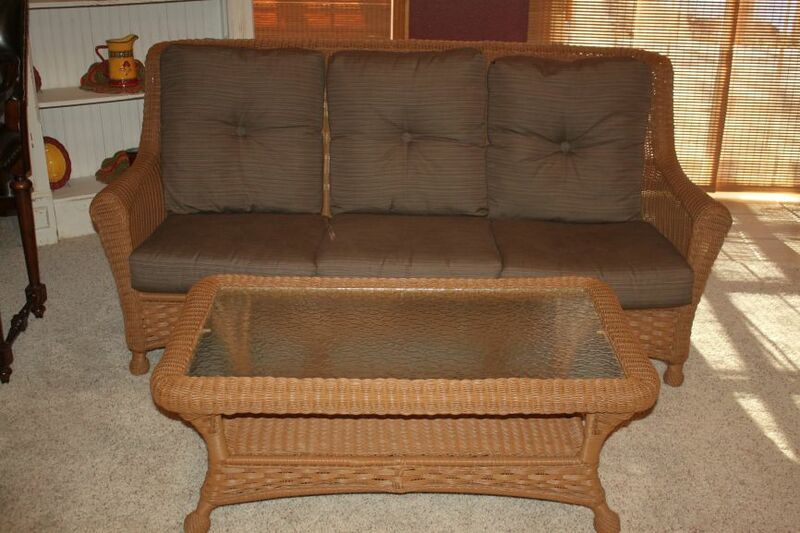 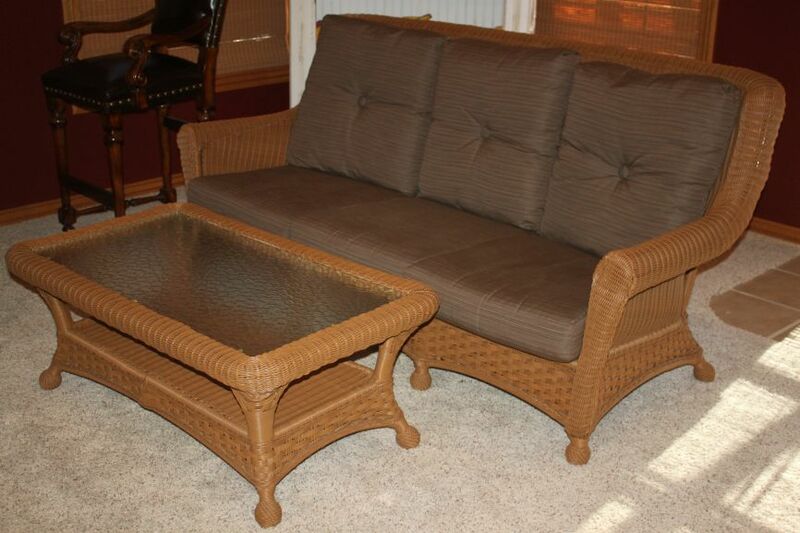 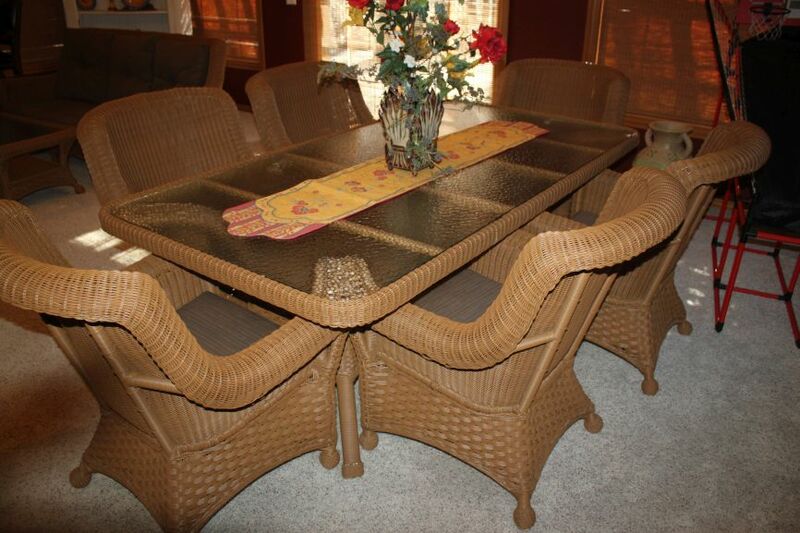 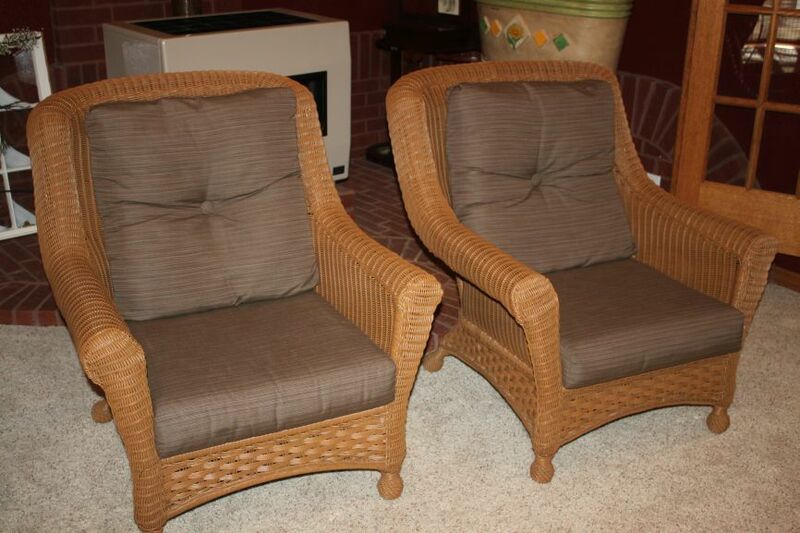 Maschino’s Vinyl Wicker Patio Furniture Set (Table W/ 6 Chairs, 2 Side Chairs, Outdoor Sofa & Coffee Table) – Very Nice! 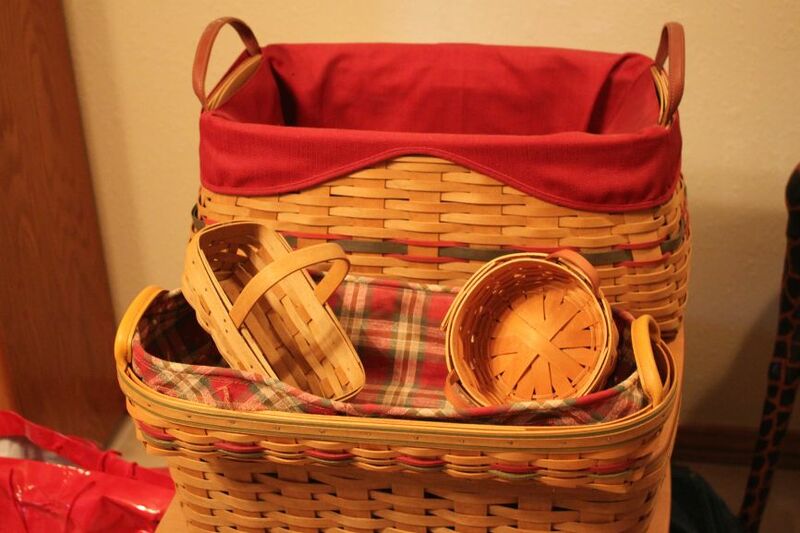 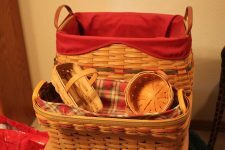 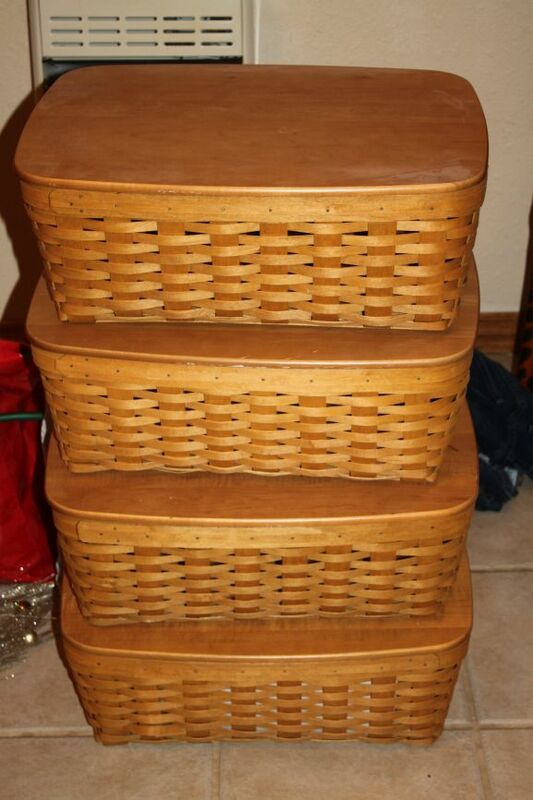 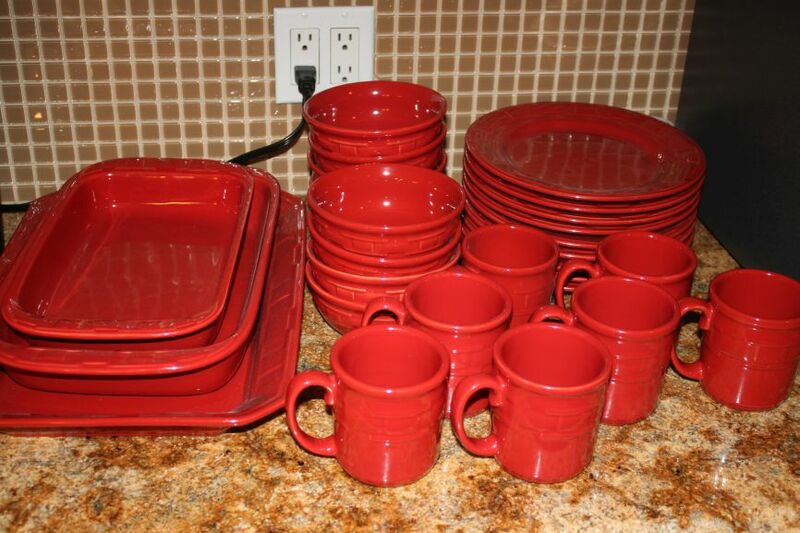 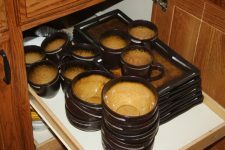 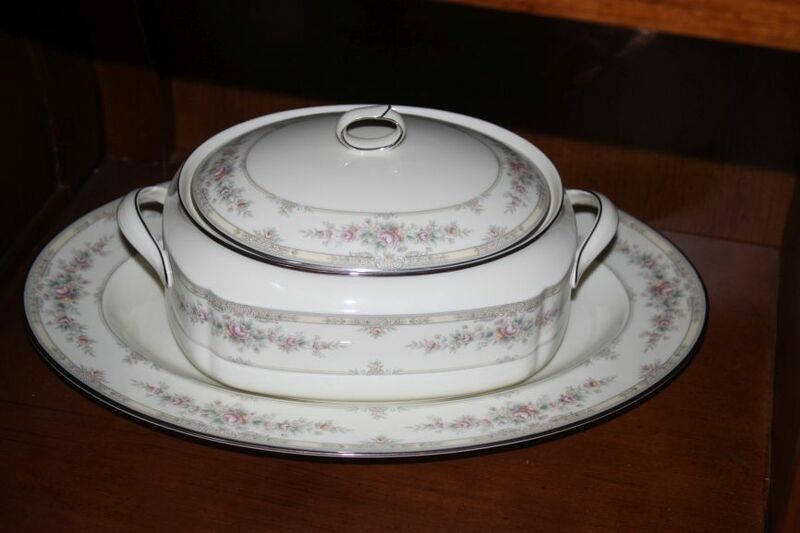 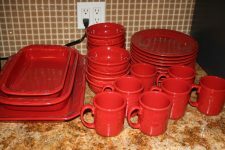 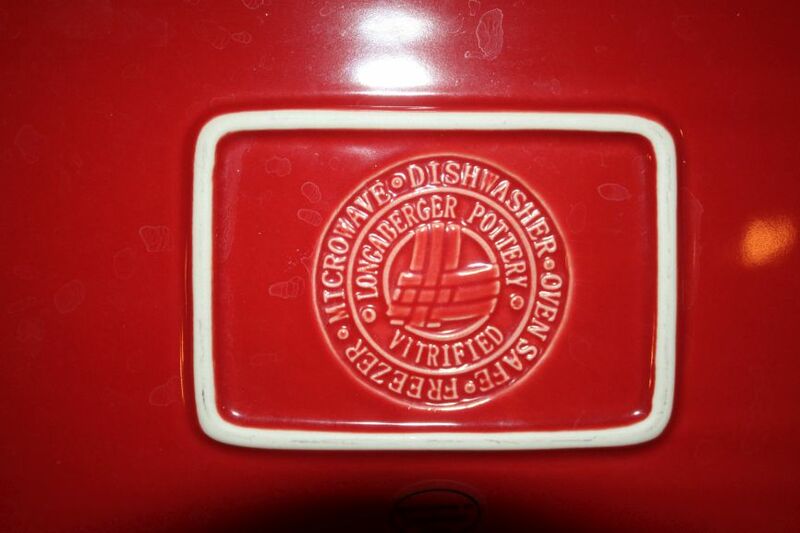 Set Of Red Longaberger Dinner Ware – Full Set Nice! 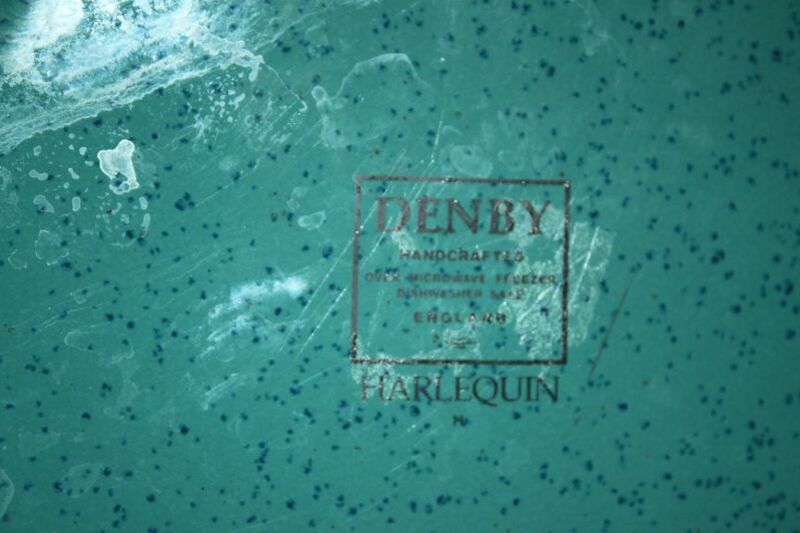 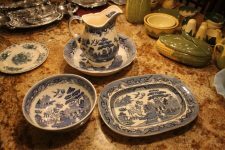 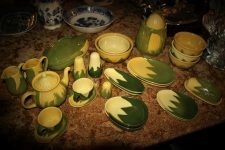 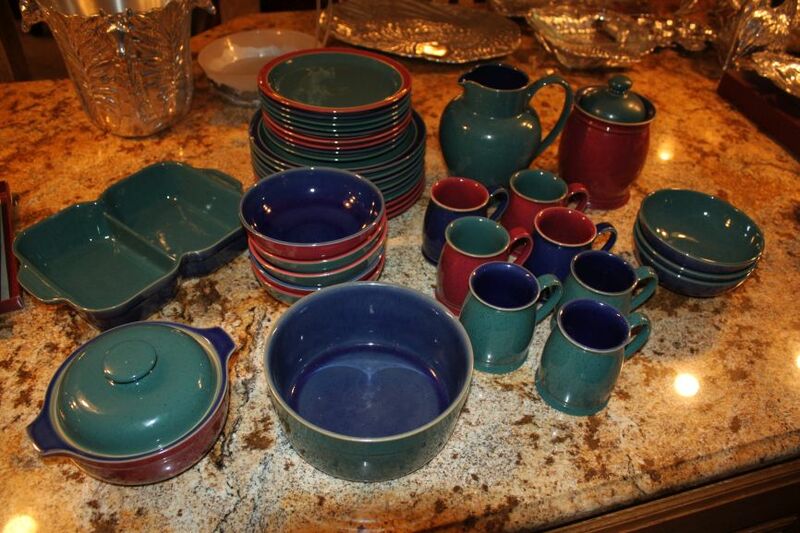 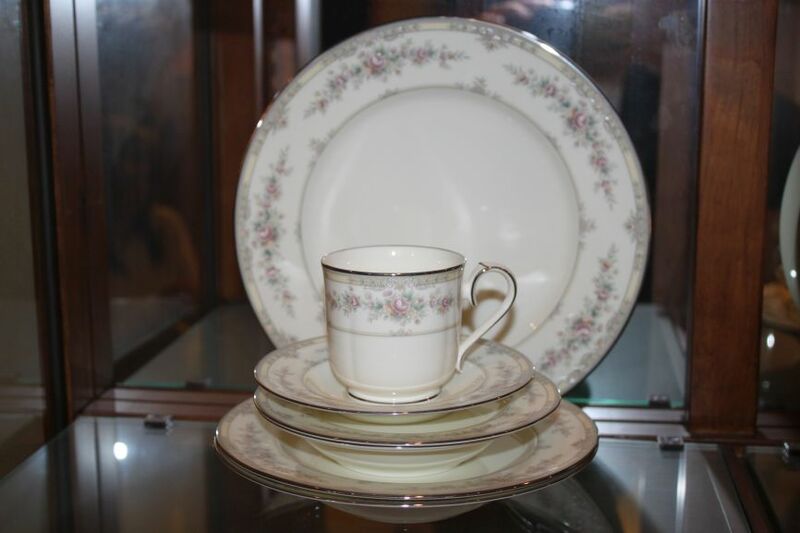 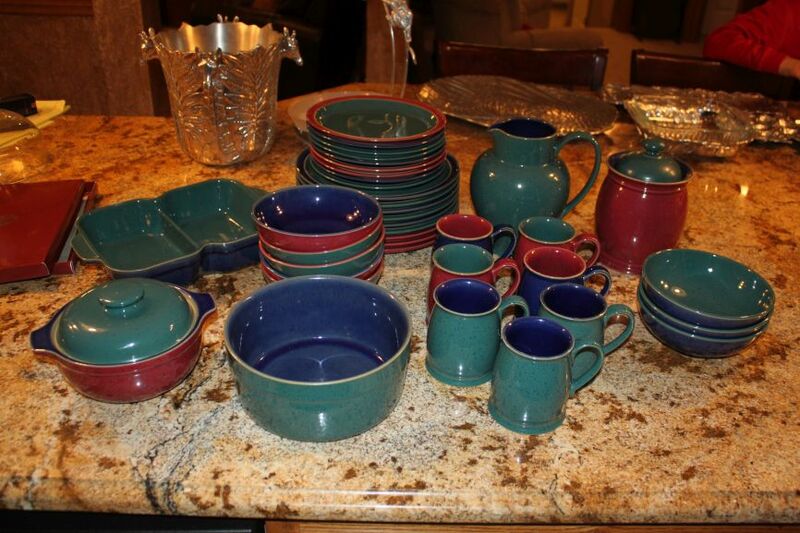 Set Of Denby Dinner Ware – Full Set Nice! 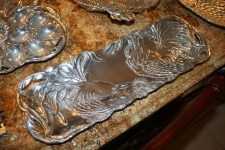 Celebrating Home Party Trays & Serving Pcs. 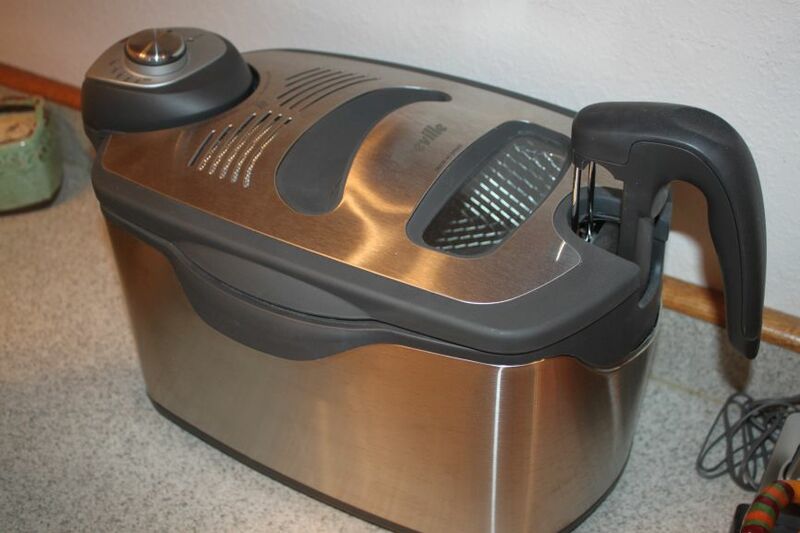 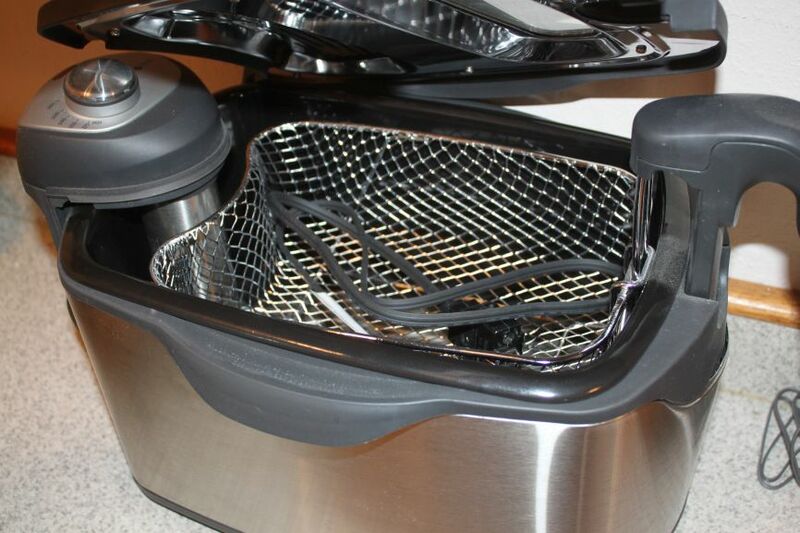 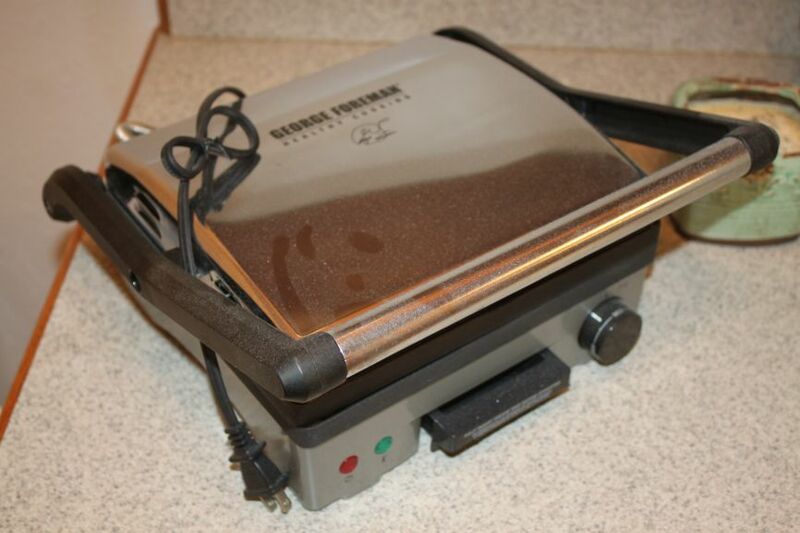 Breville Deep Fryer – Like New! 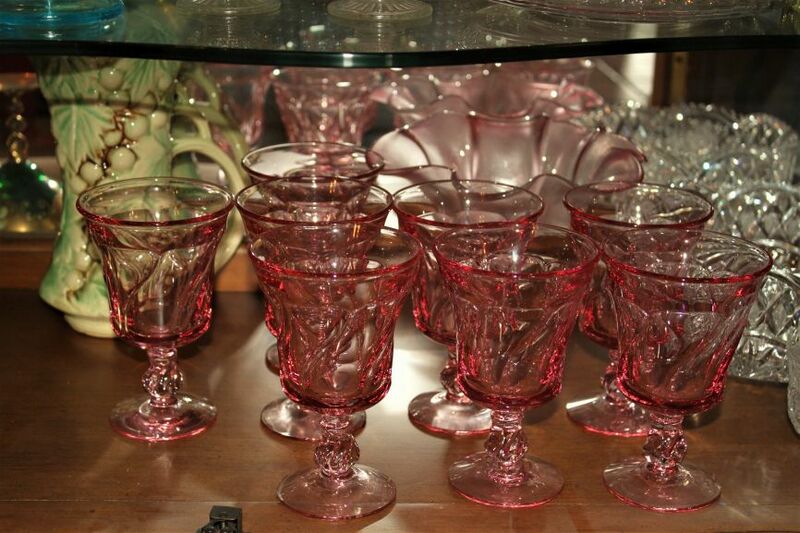 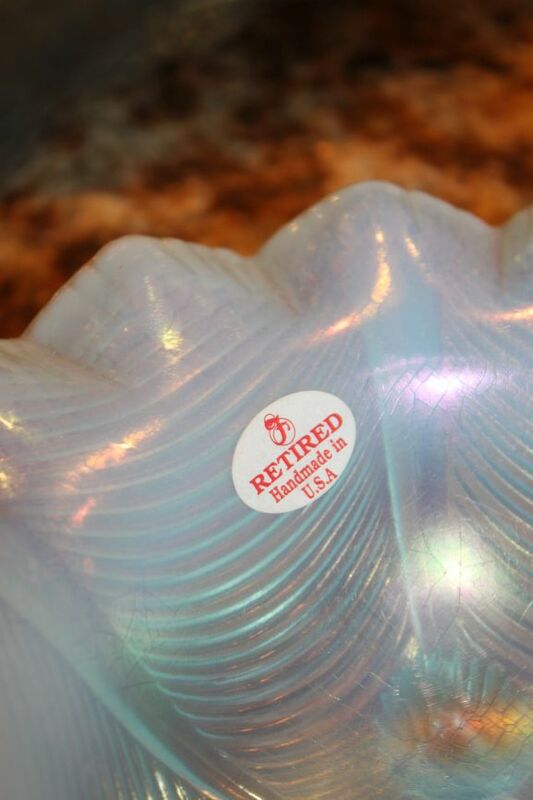 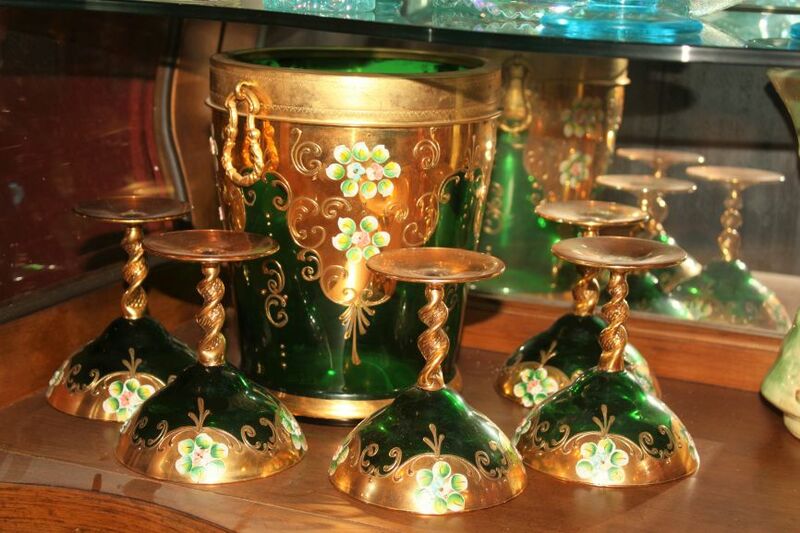 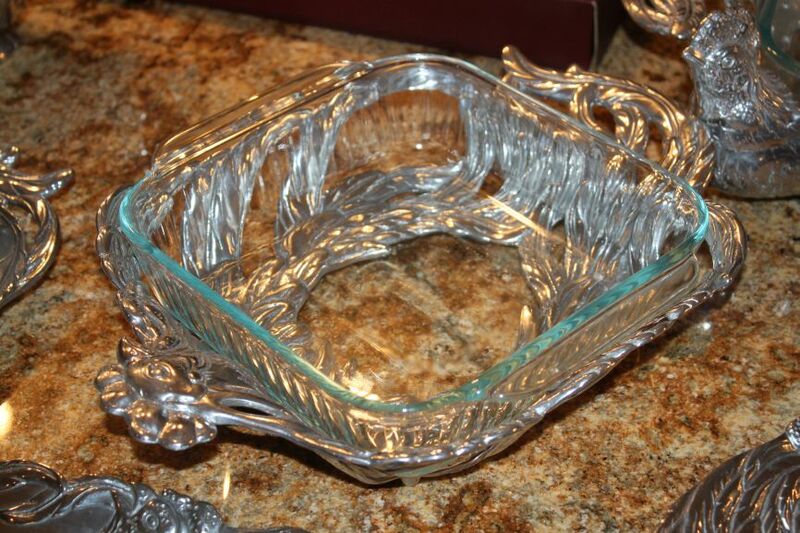 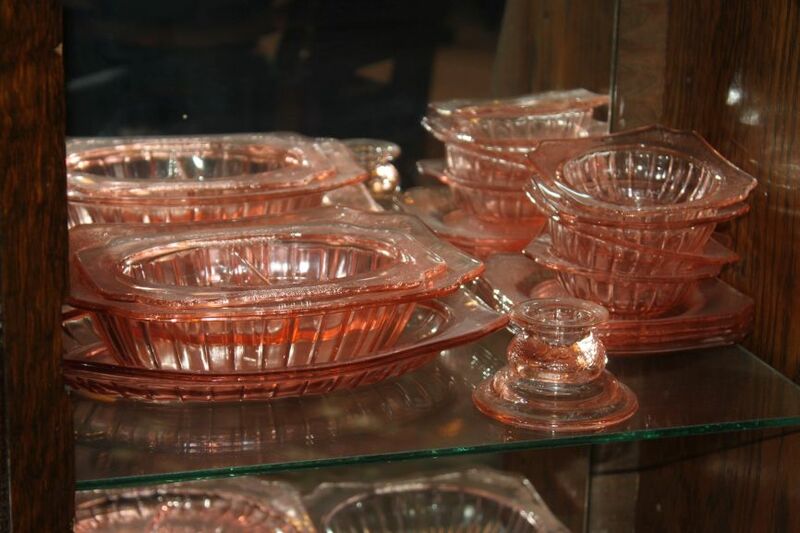 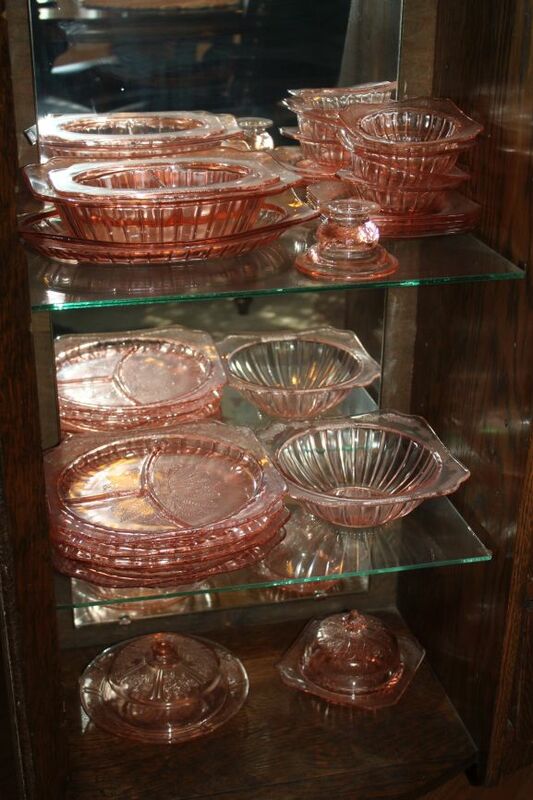 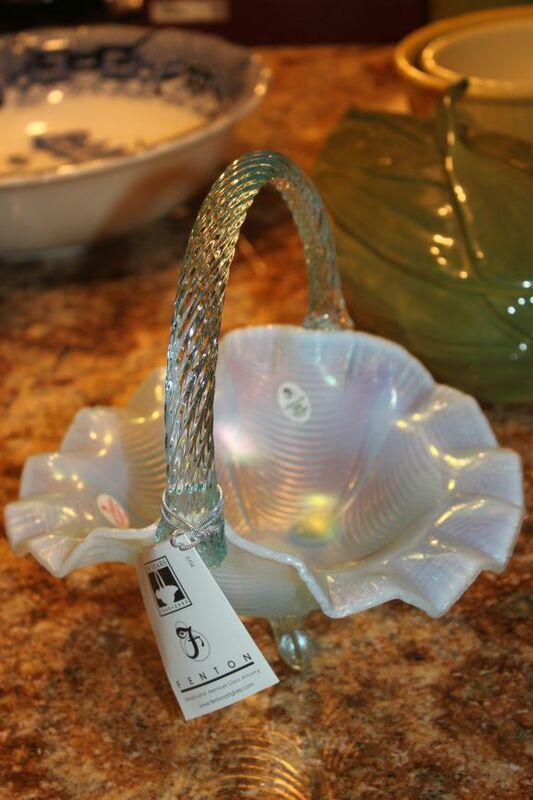 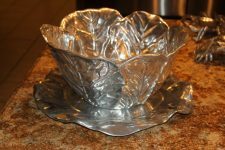 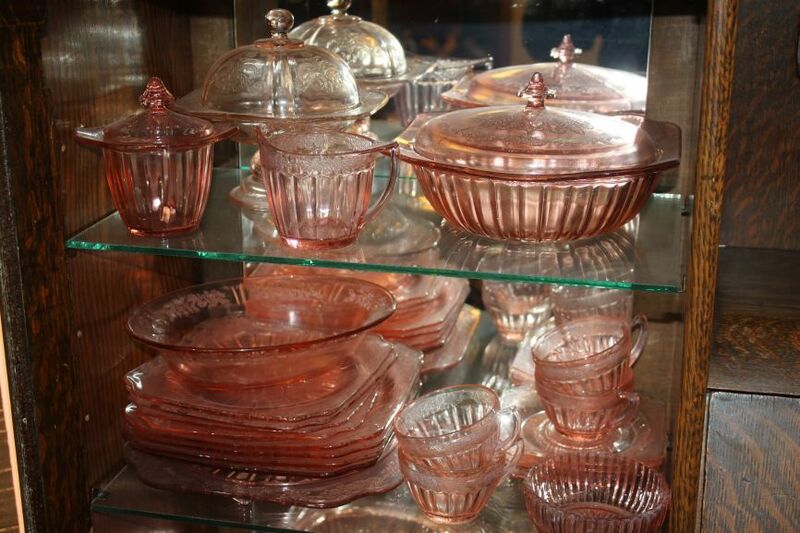 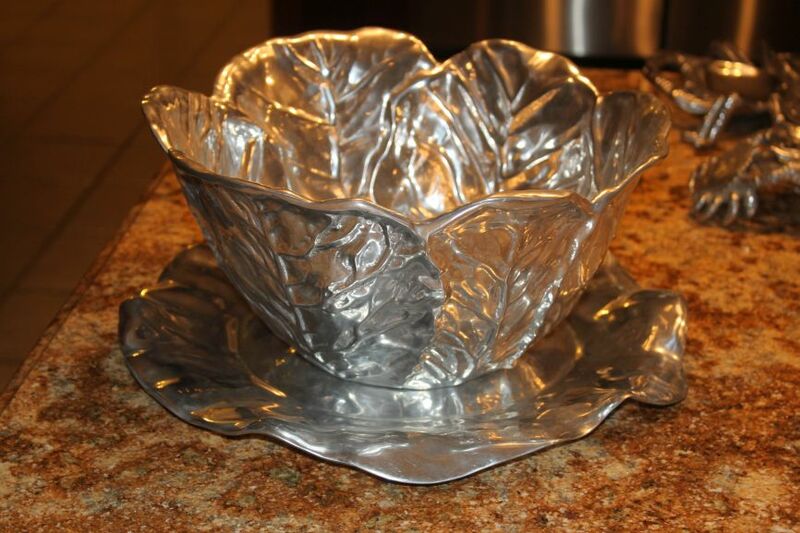 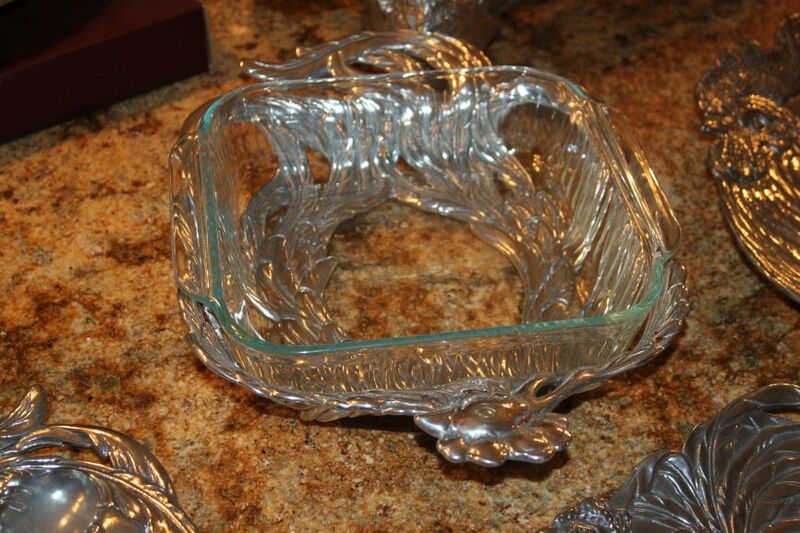 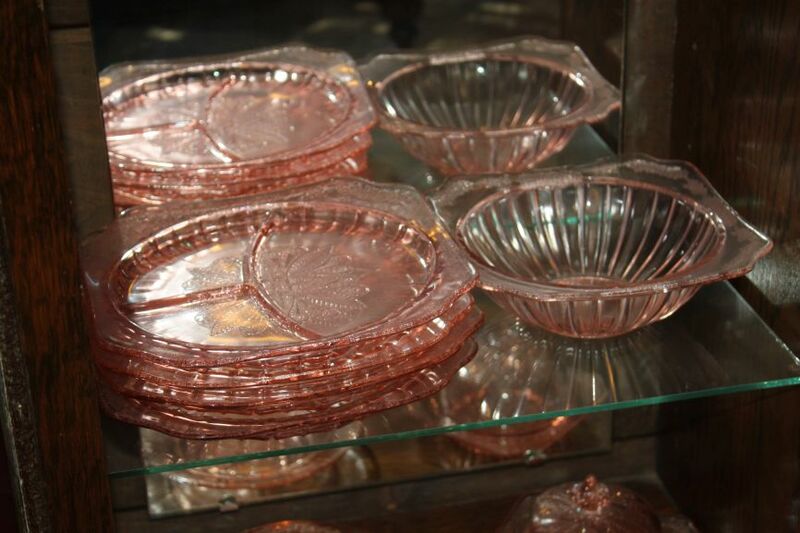 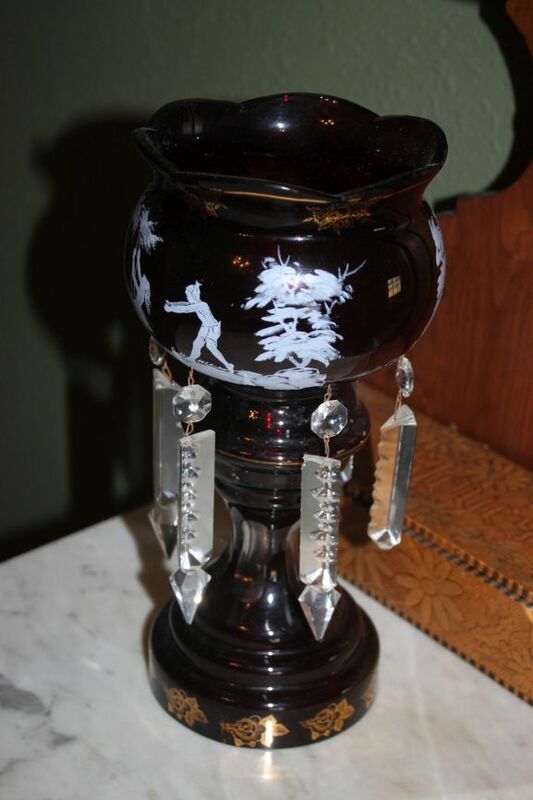 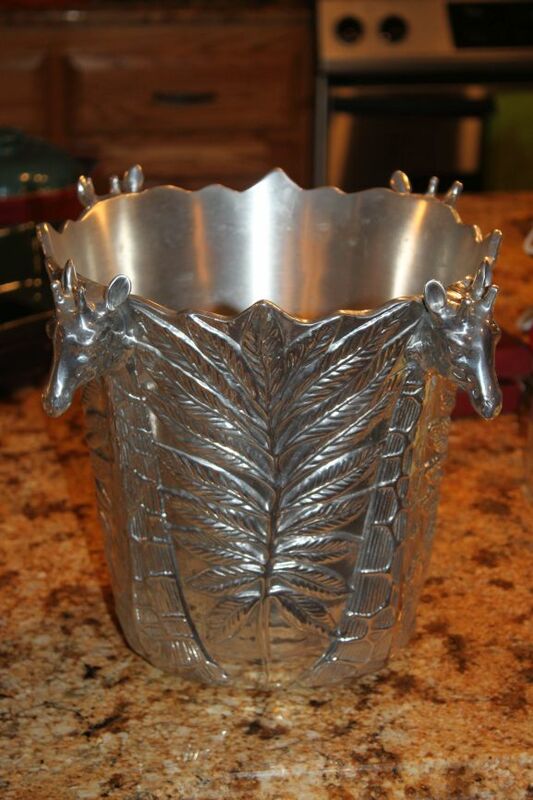 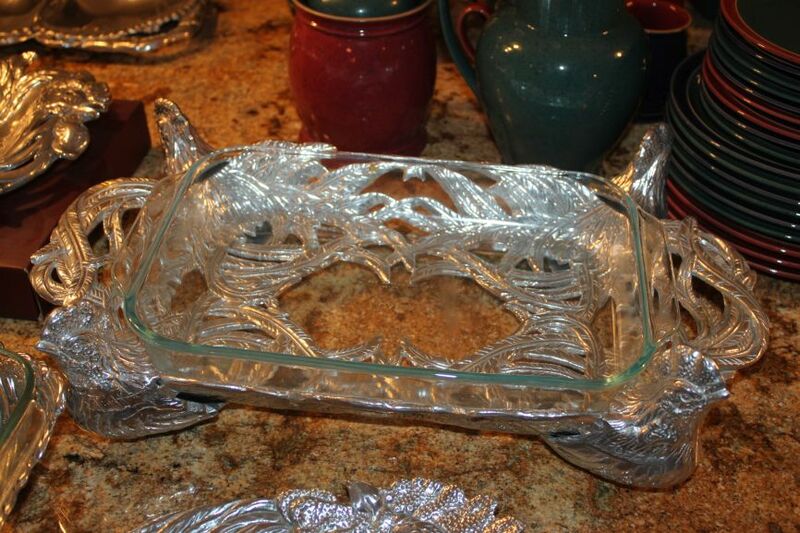 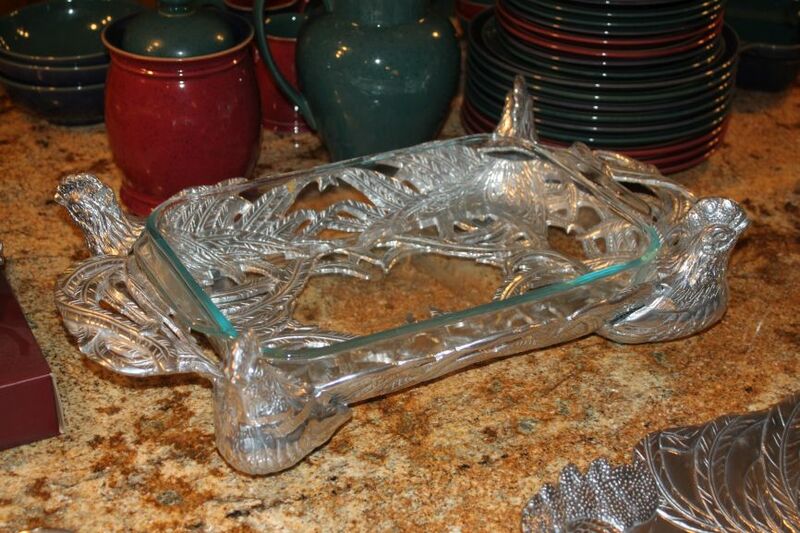 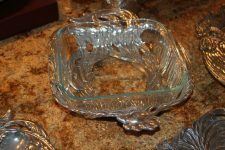 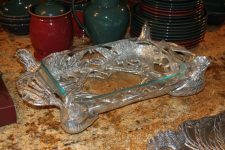 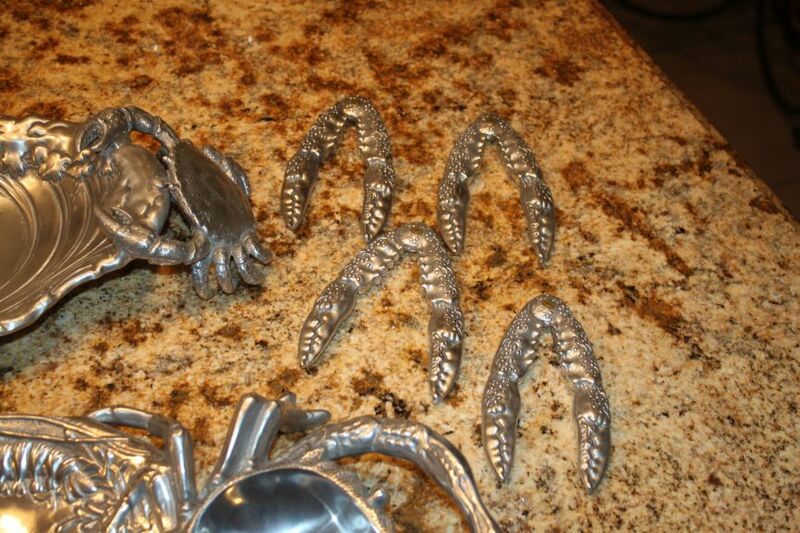 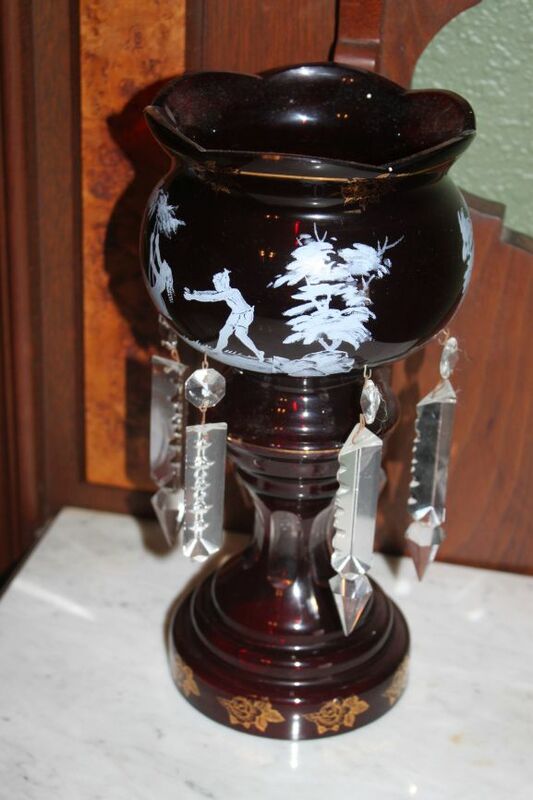 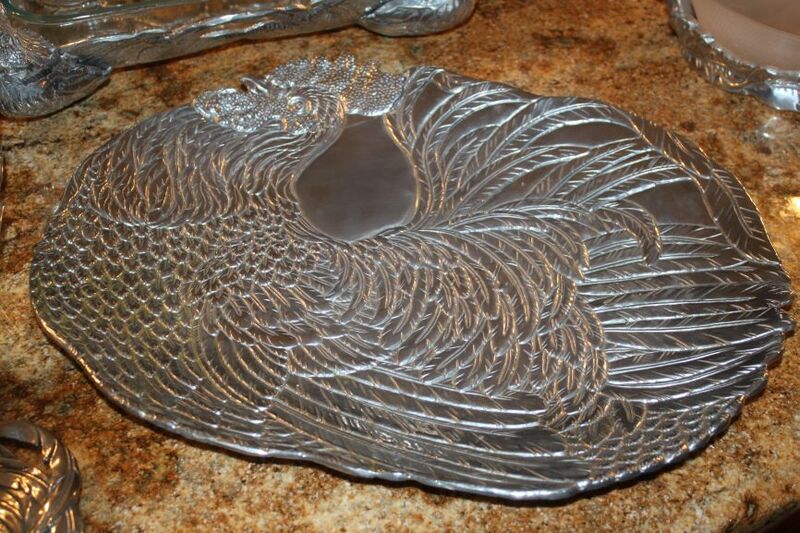 Lead Crystal Vases, Bowls, Decanters, Punch Bowl Set & Other Art Glass Pcs. 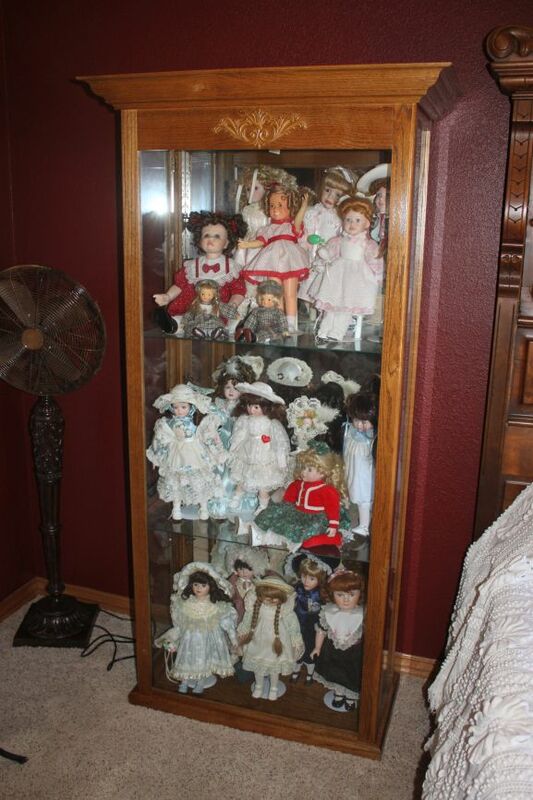 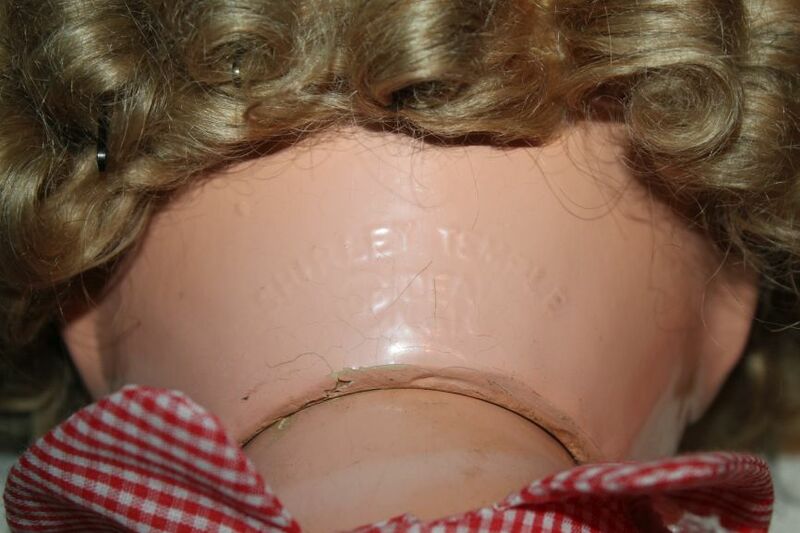 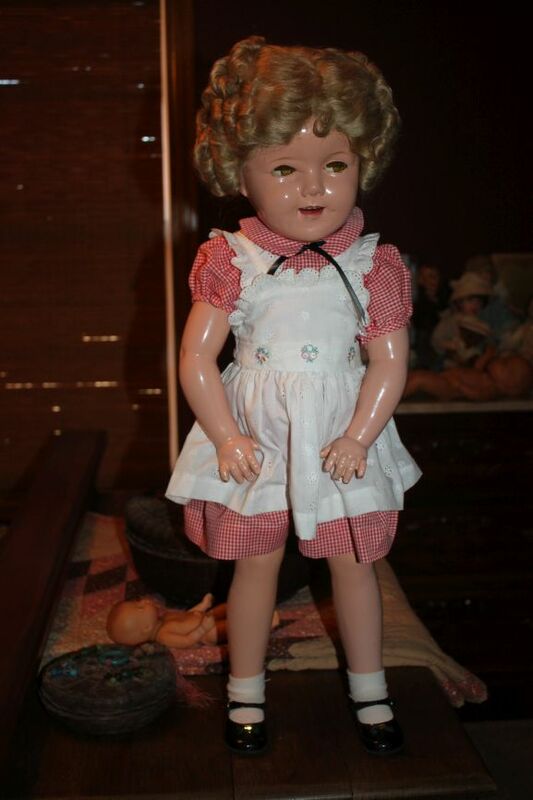 Shirley Temple Doll – Ex.Cond! 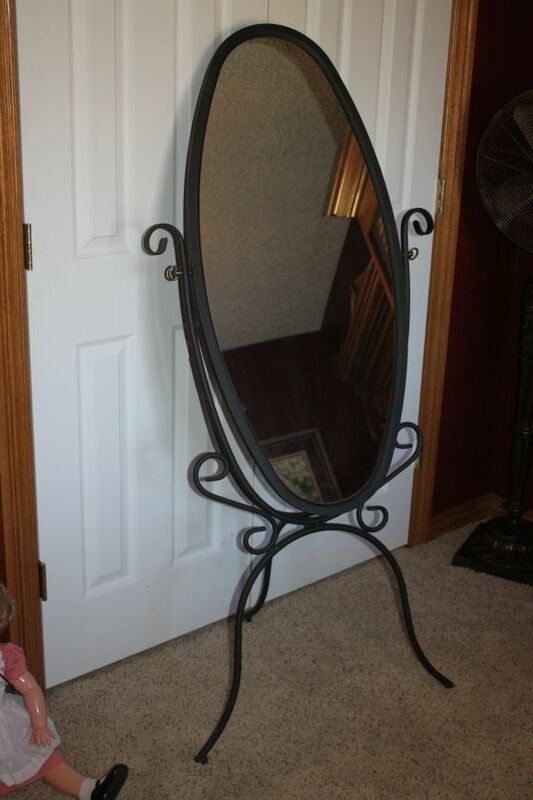 Ant. 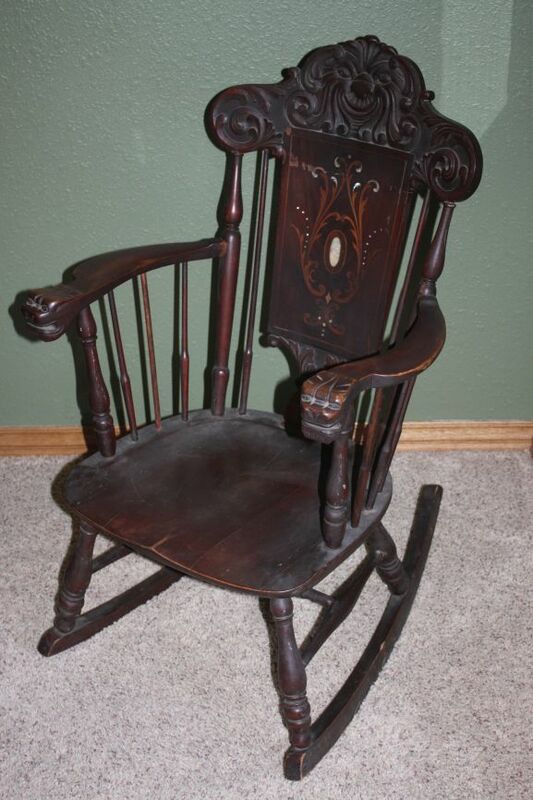 Baby Buggy – Rough Cond. 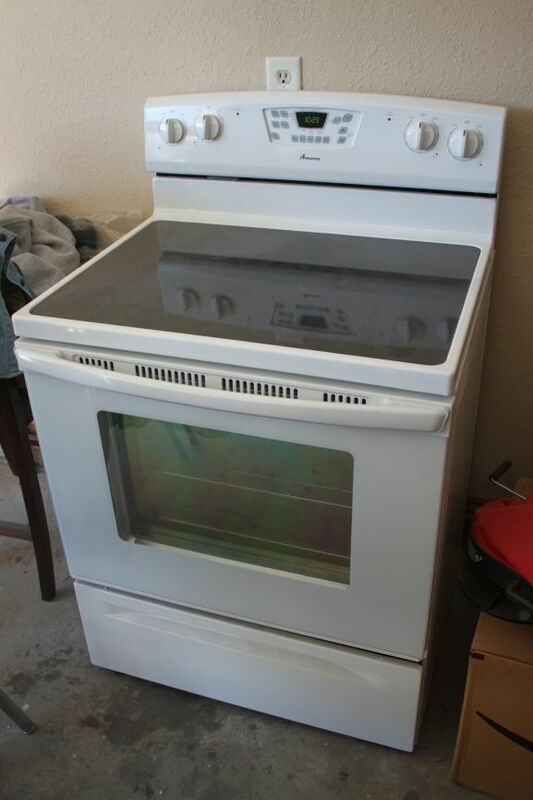 Lg. 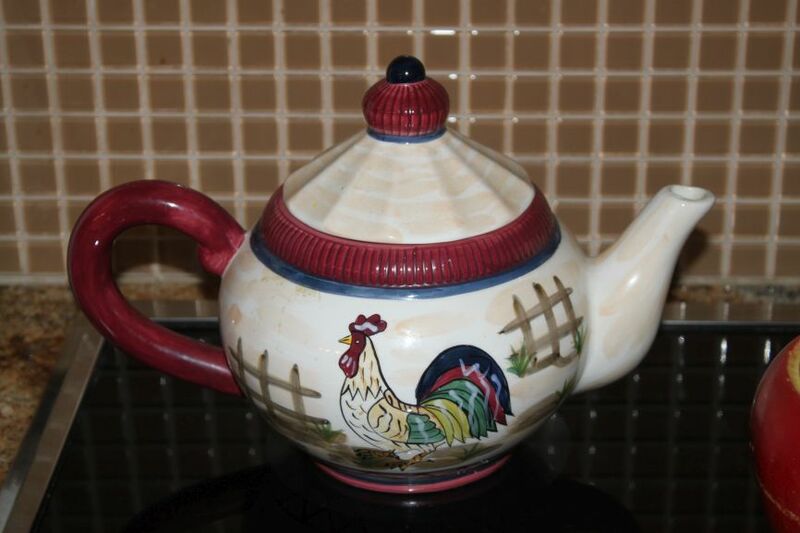 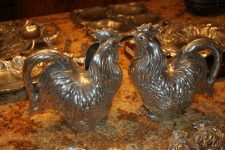 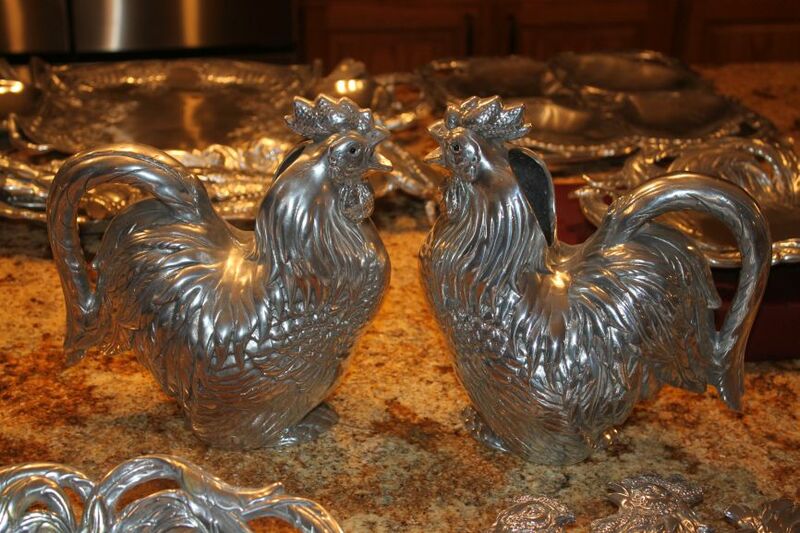 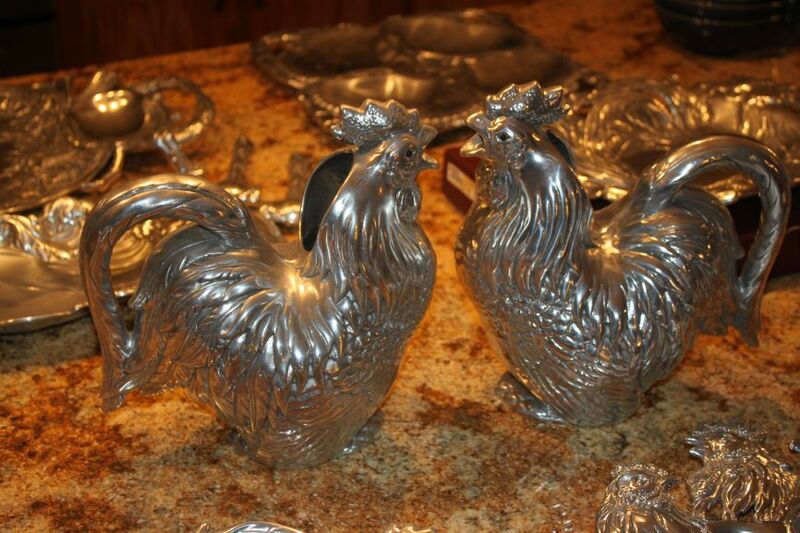 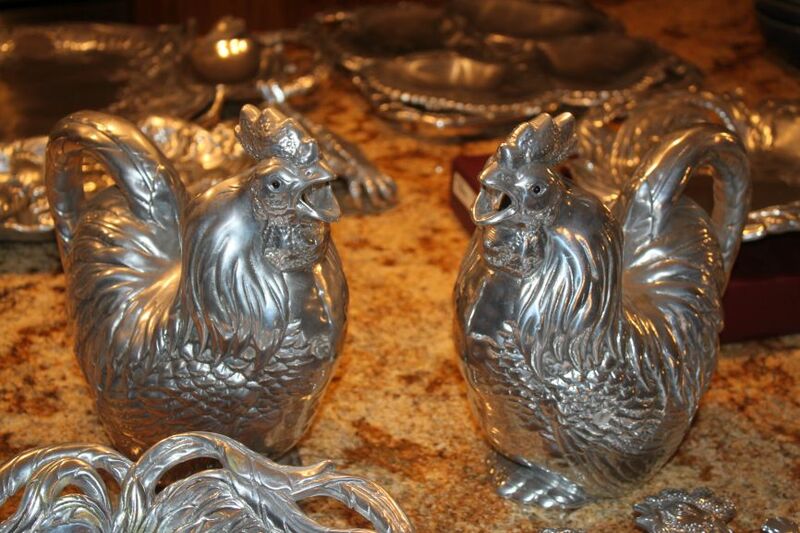 Rooster Statue & Chicken Motif Decor Pcs.